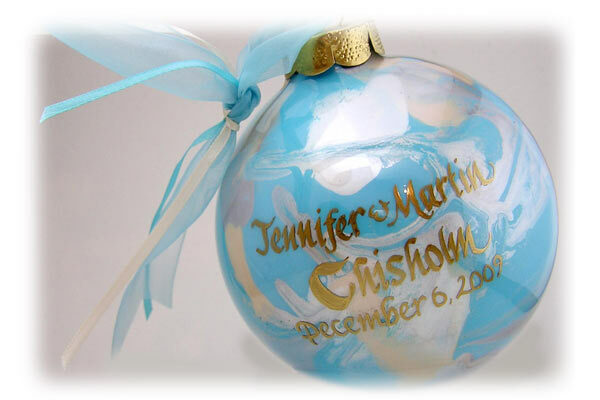 We create lasting memories for exceptional clients donors, families, newborns, new home owners, fundraisers, anniversaries and other momentous occasions. 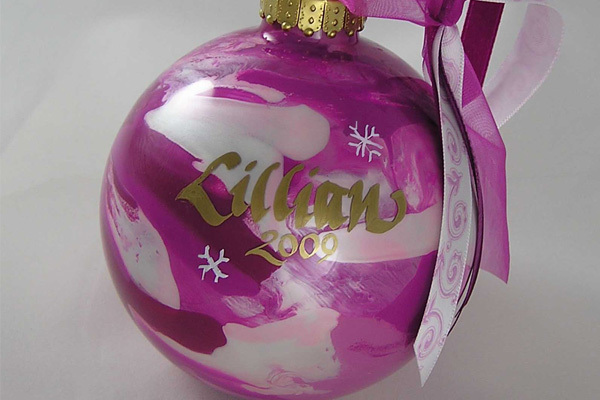 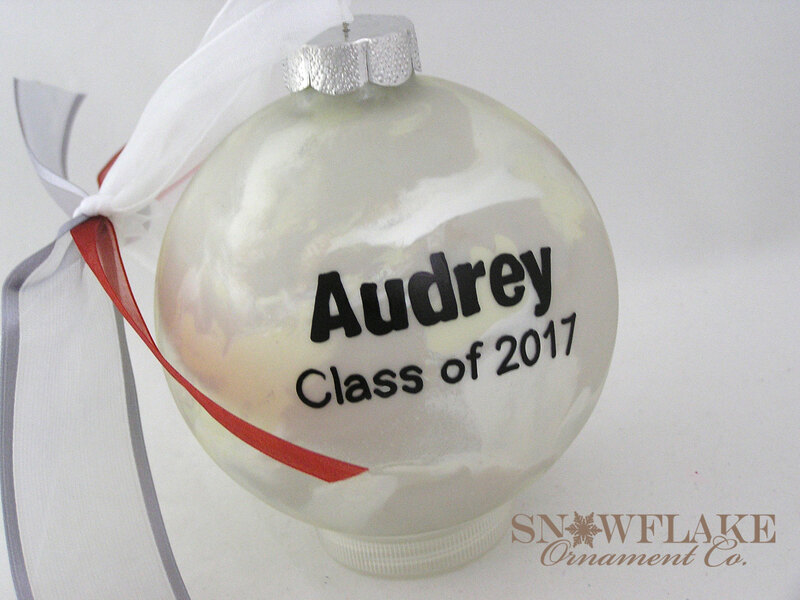 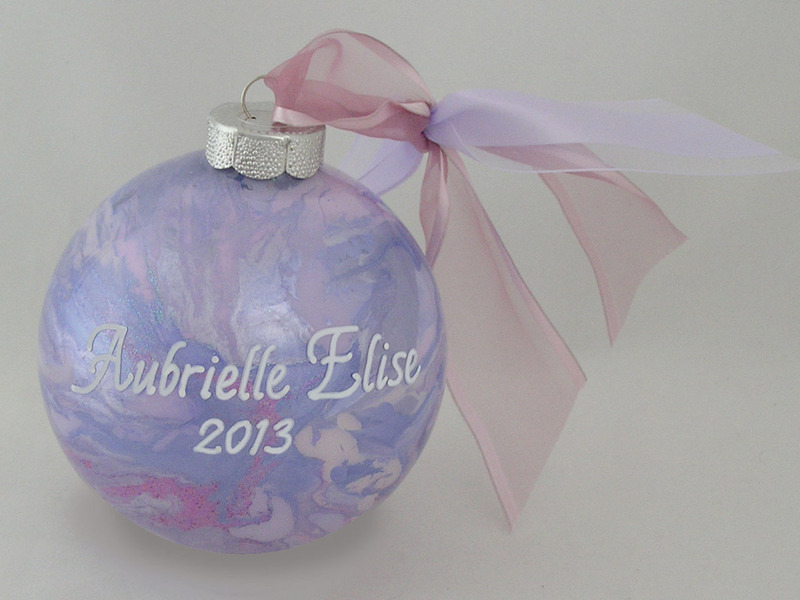 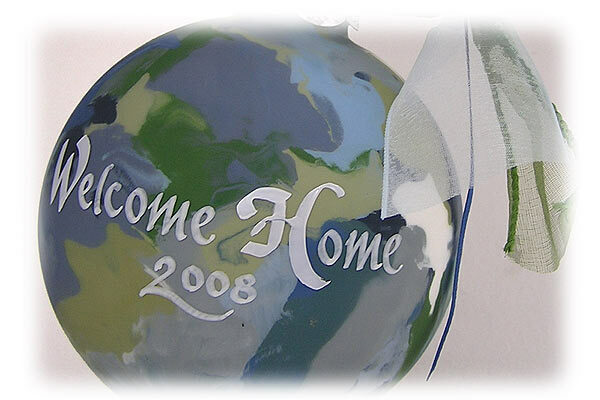 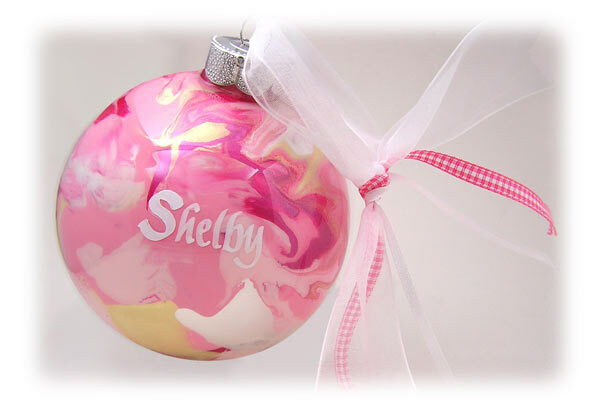 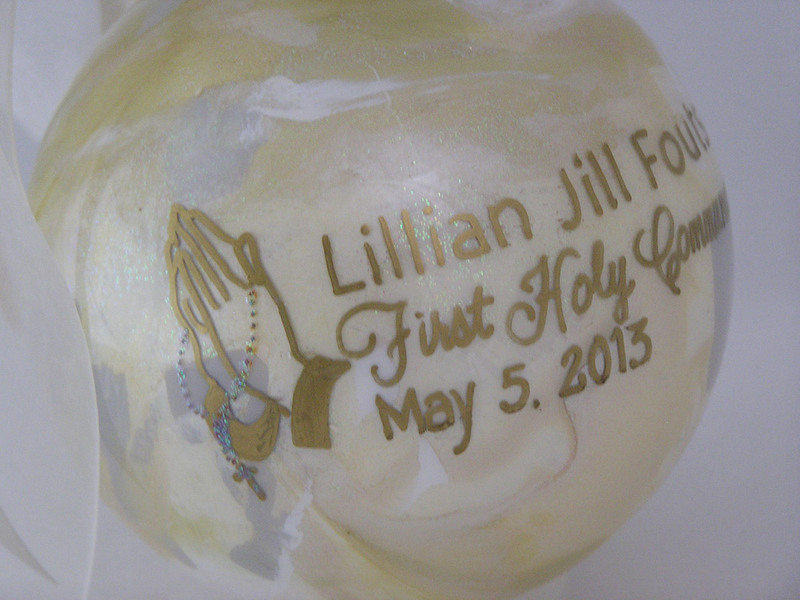 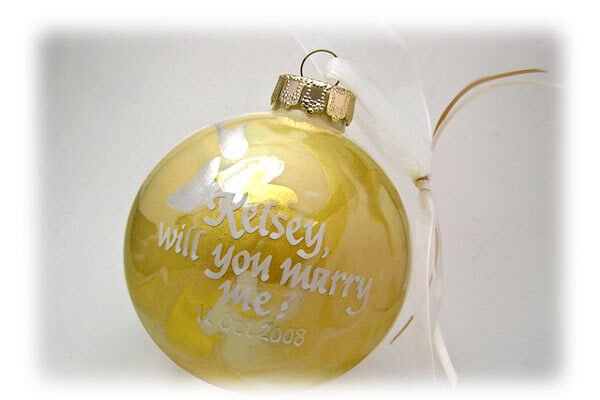 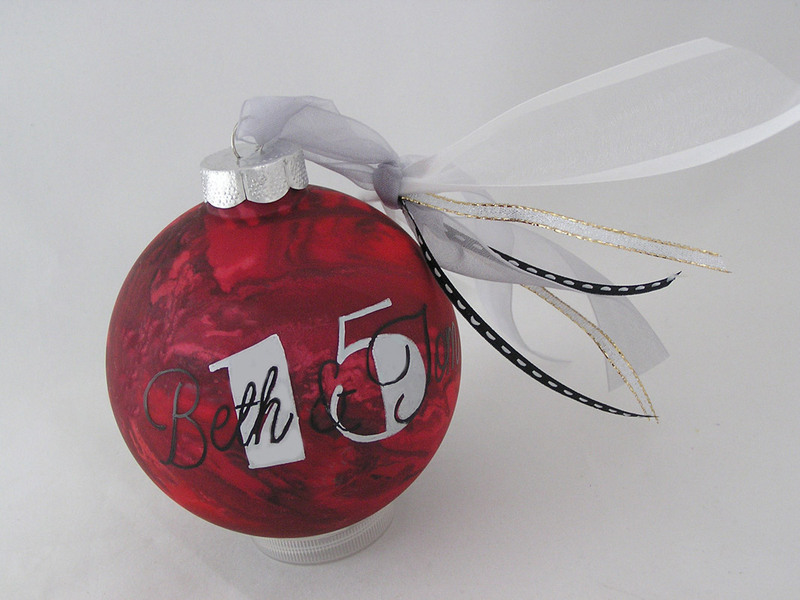 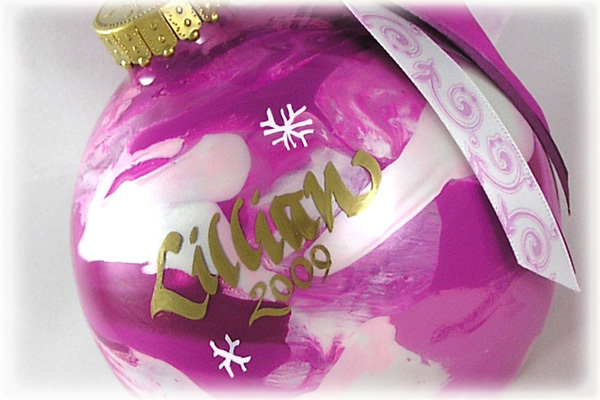 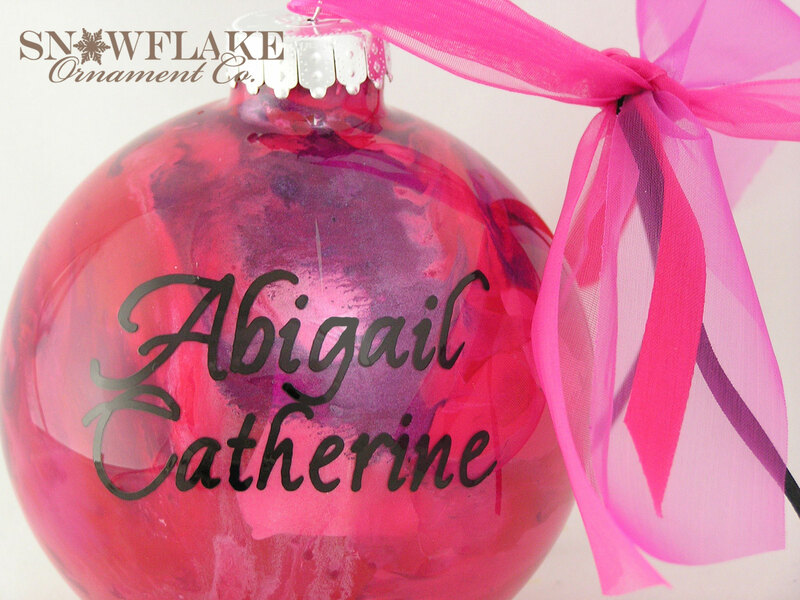 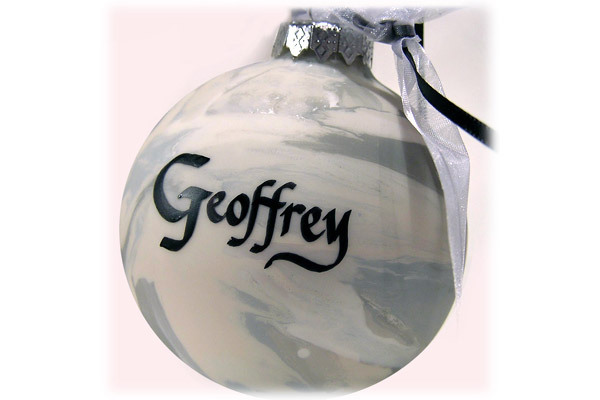 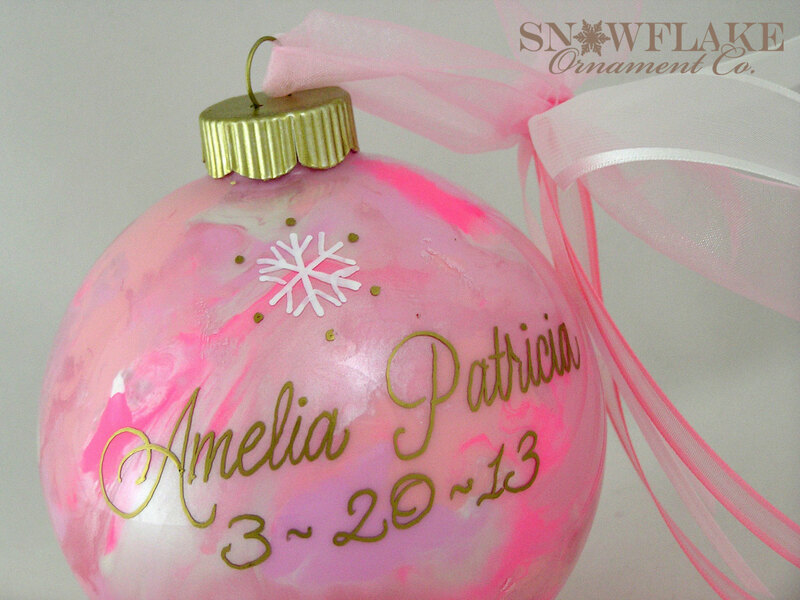 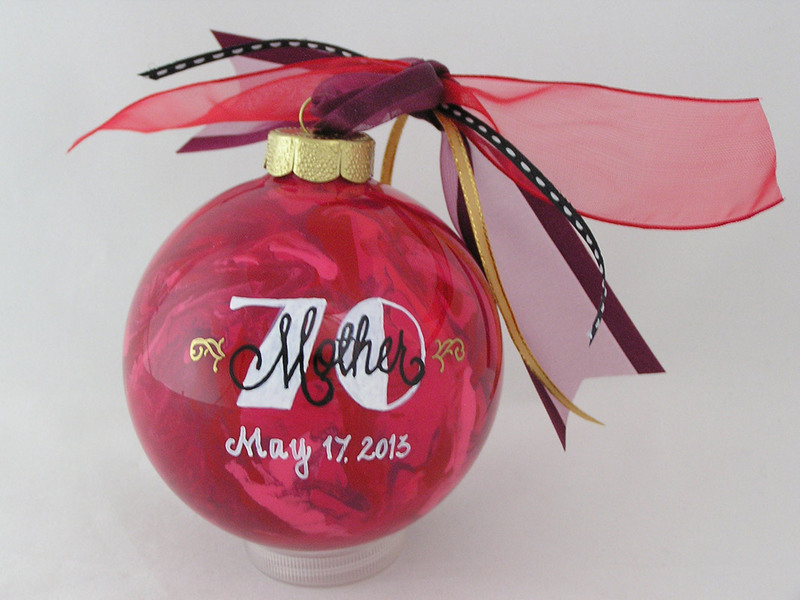 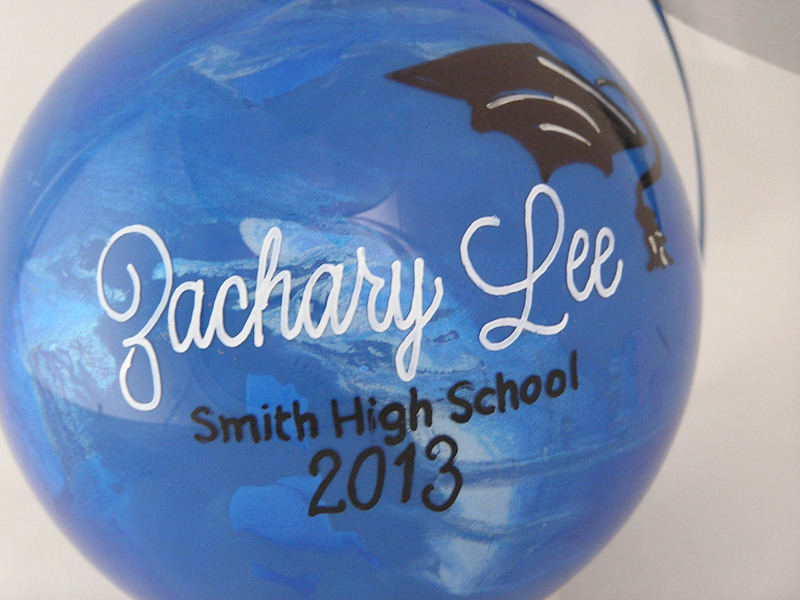 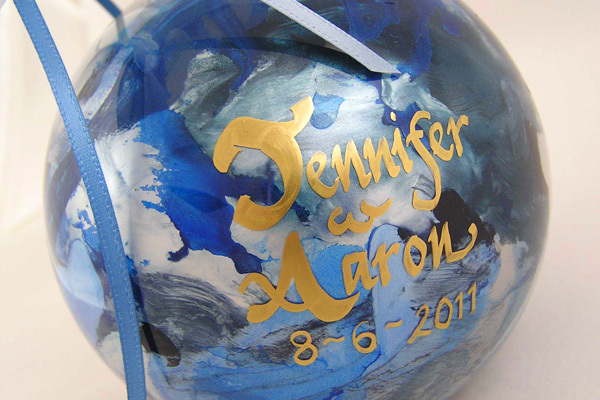 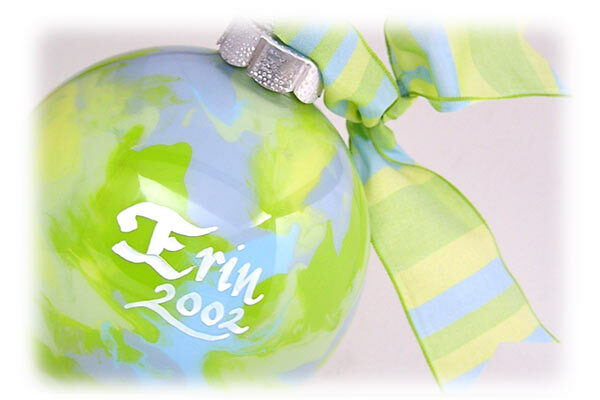 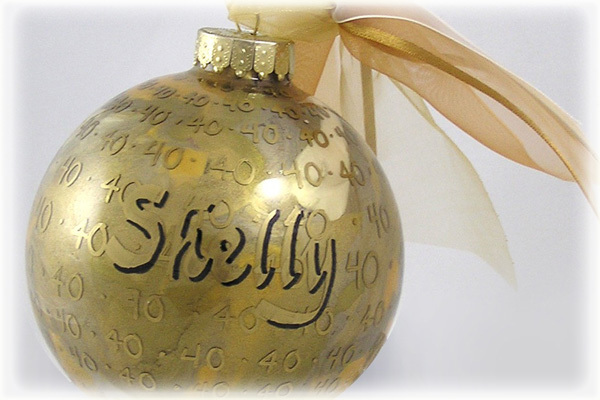 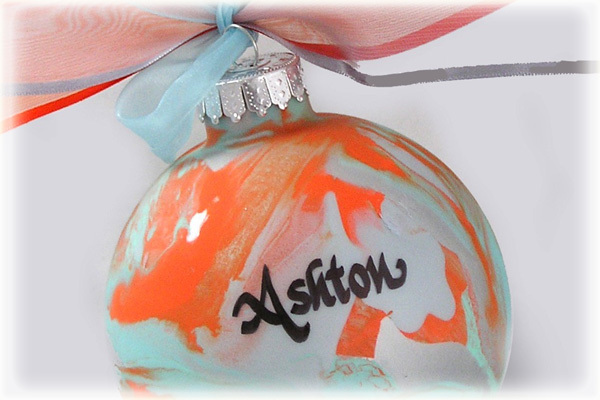 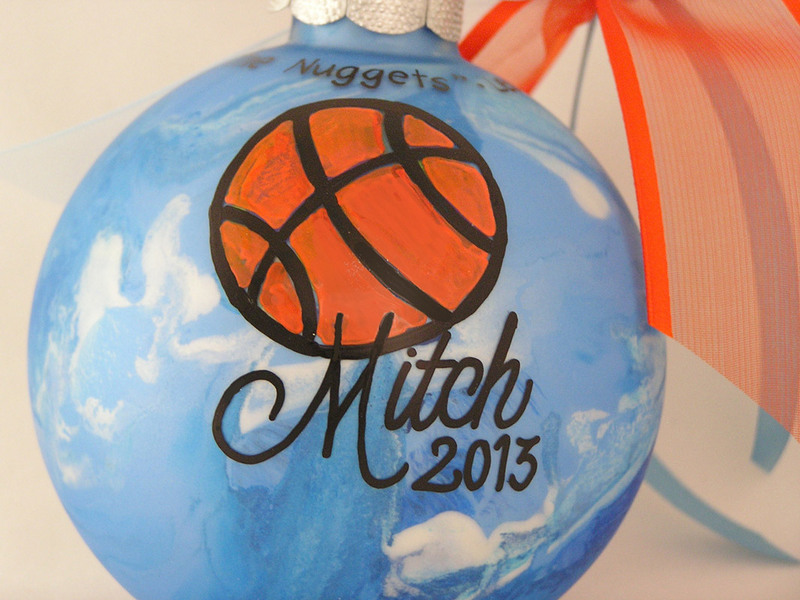 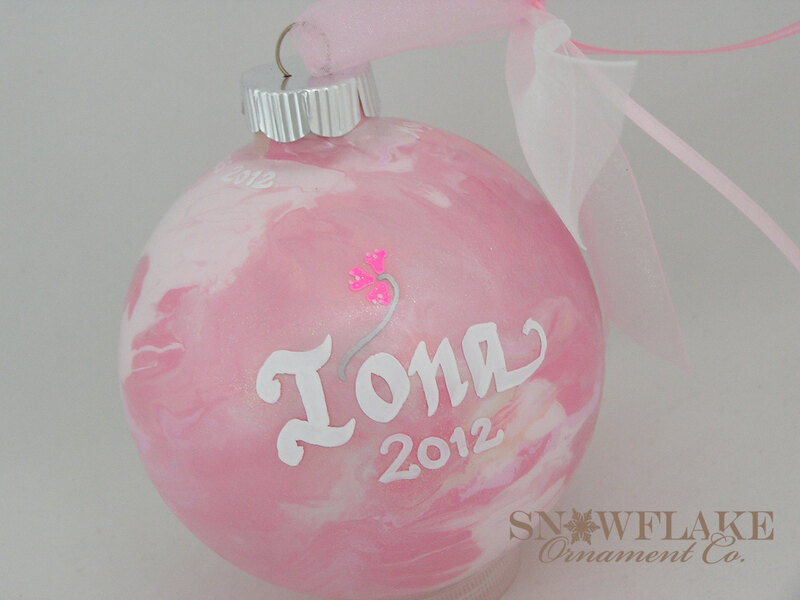 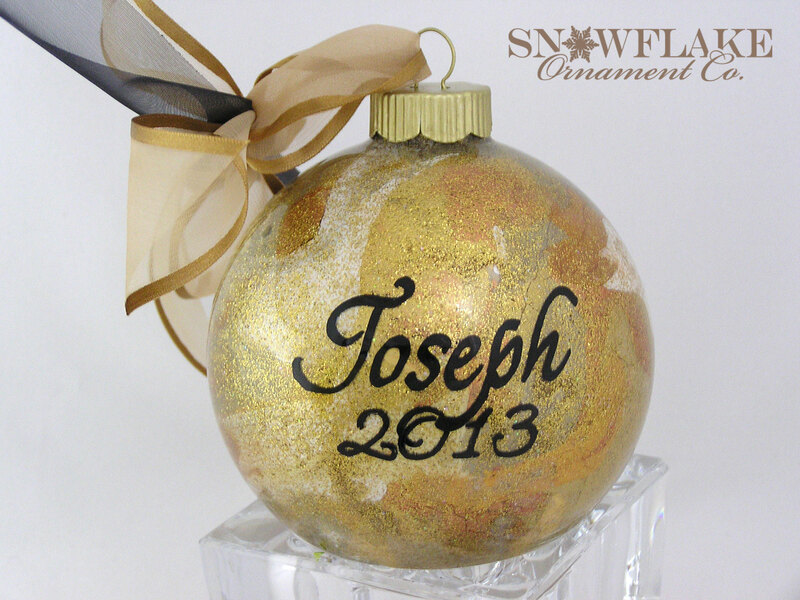 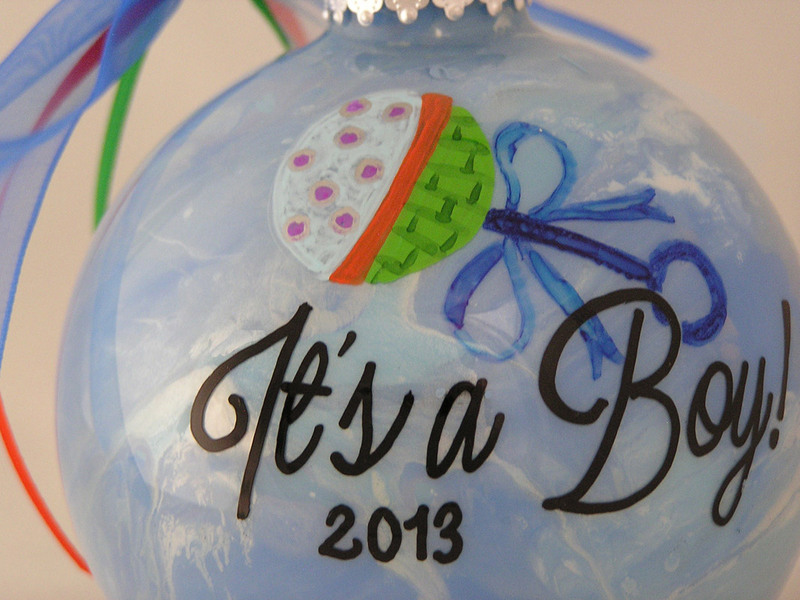 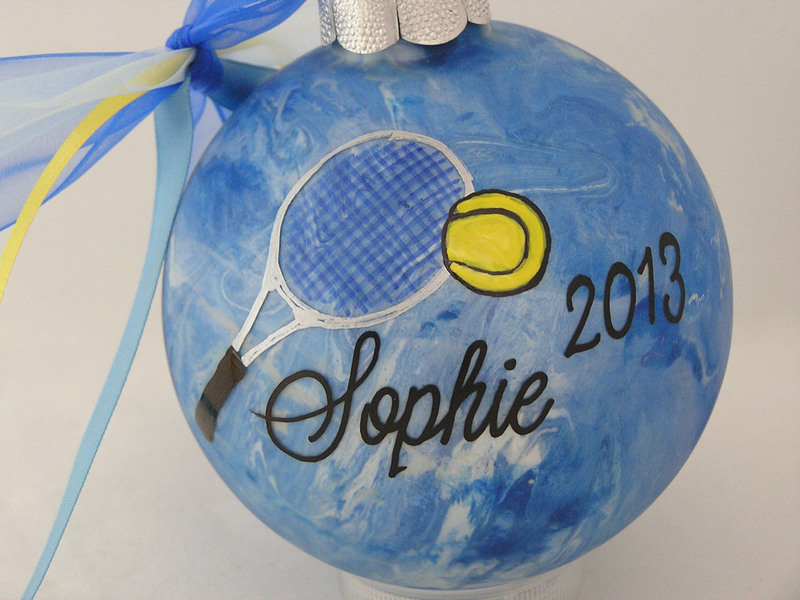 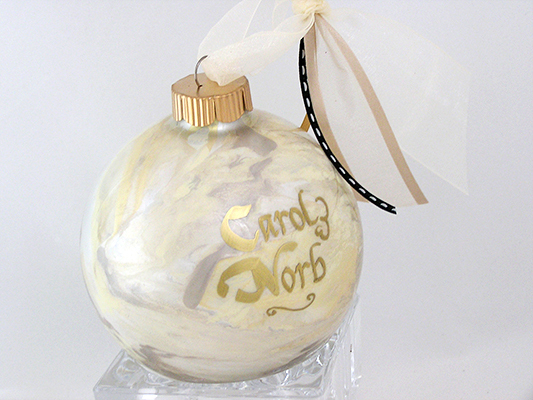 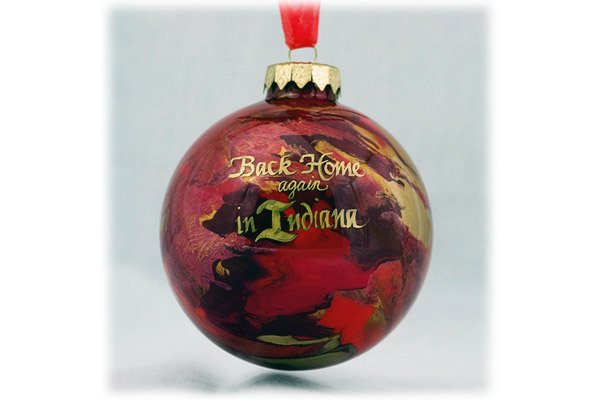 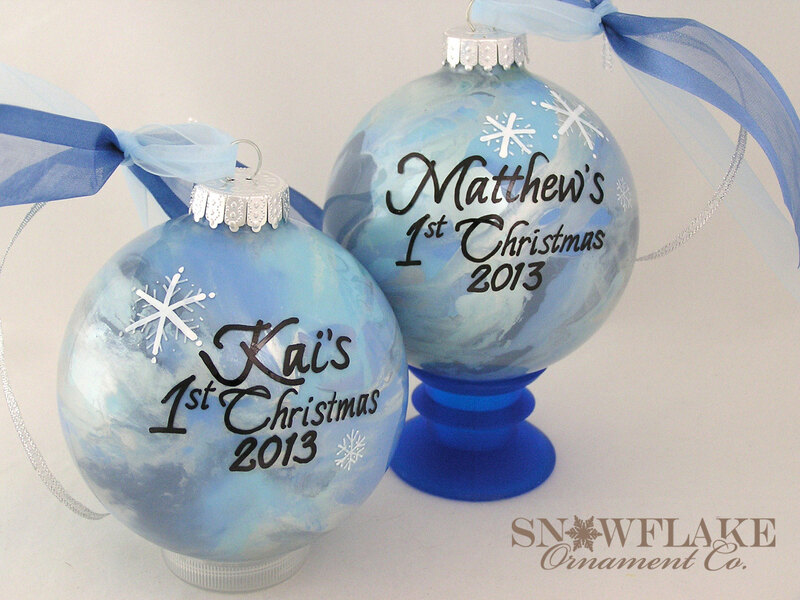 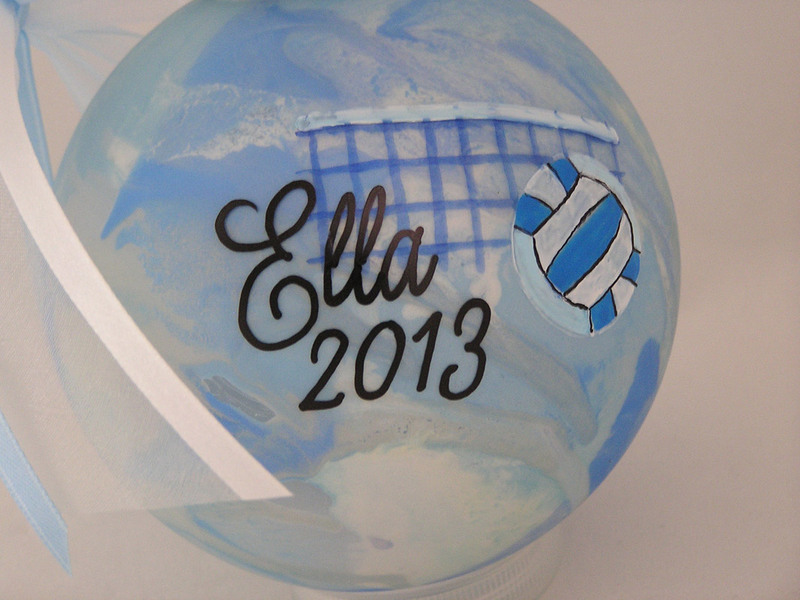 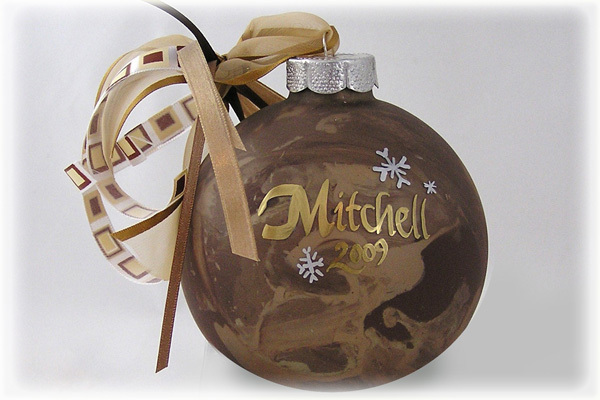 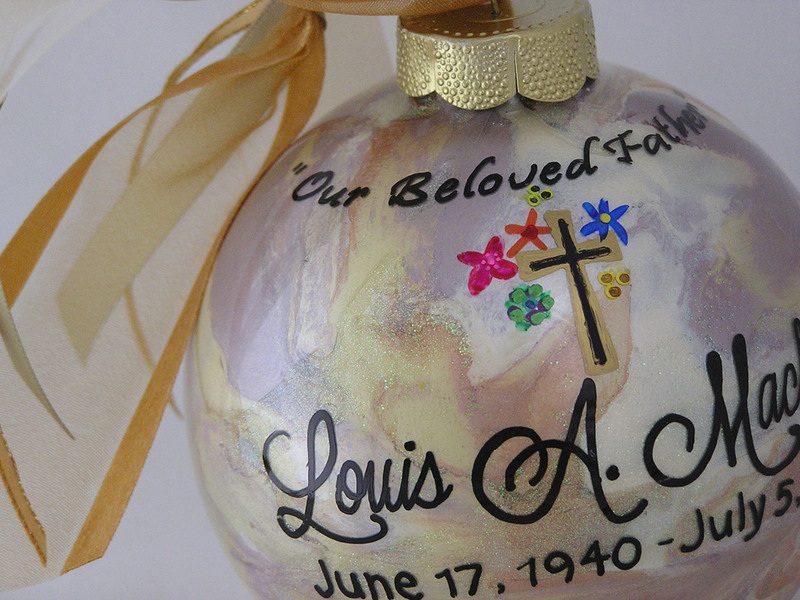 Personalizing an ornament with a name, the year or even a momentous event chronicles the lives of those around us. 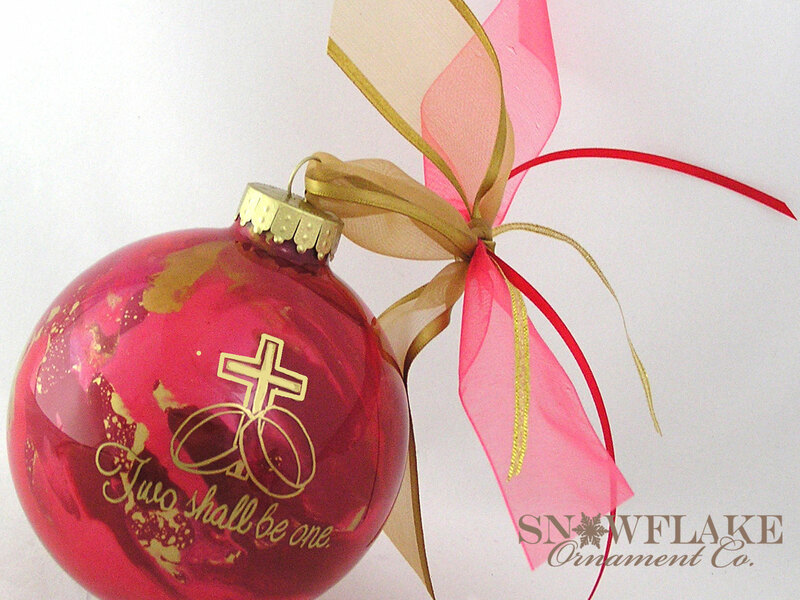 Order one or 1000 - no order is too small or large. 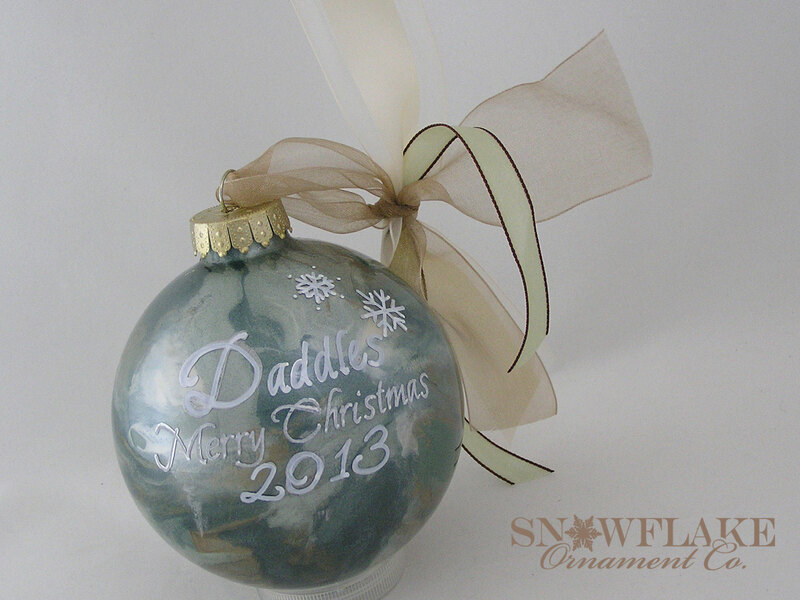 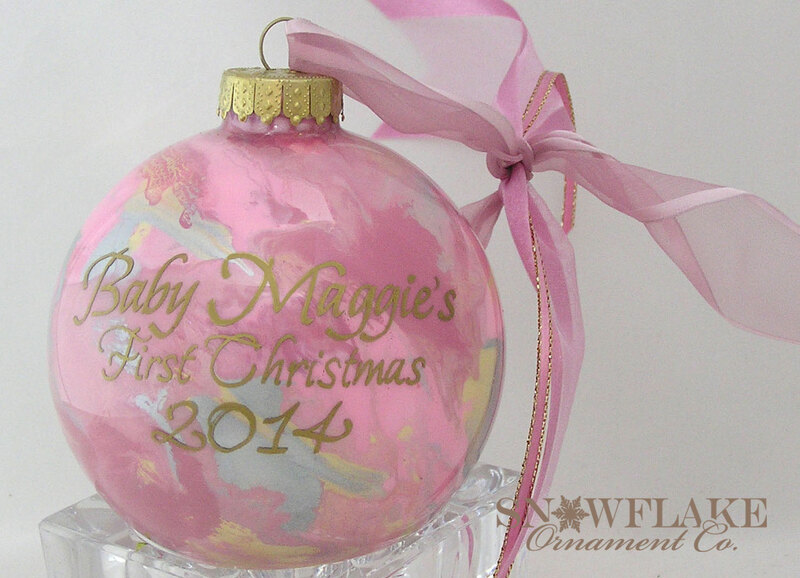 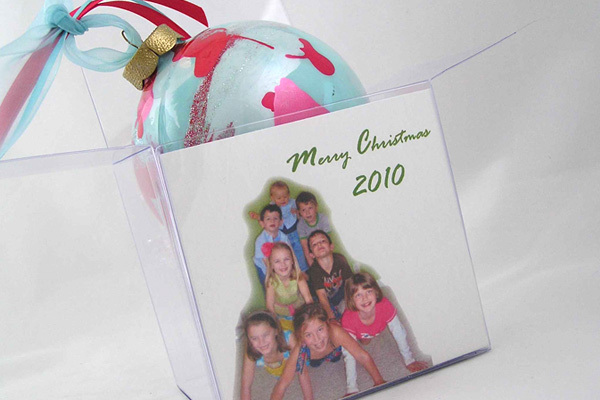 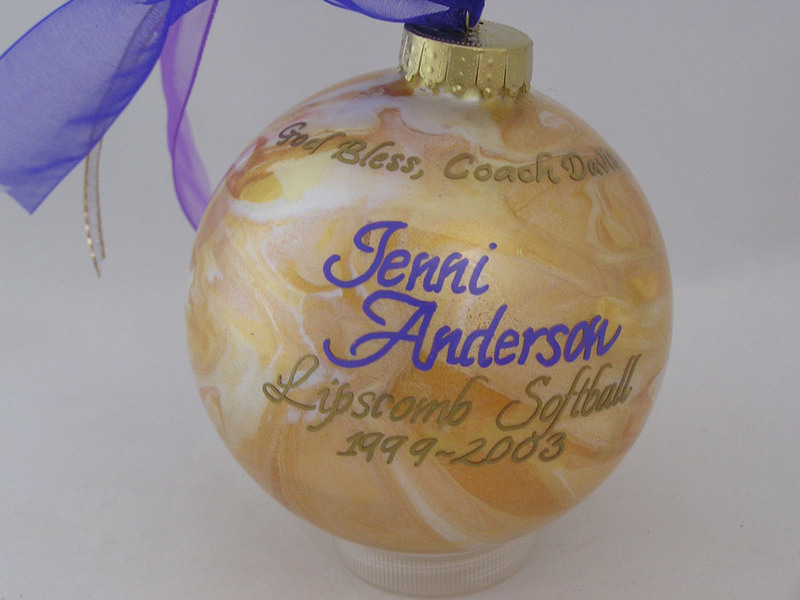 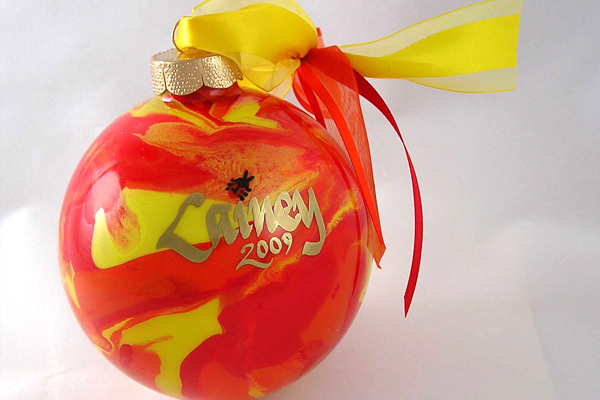 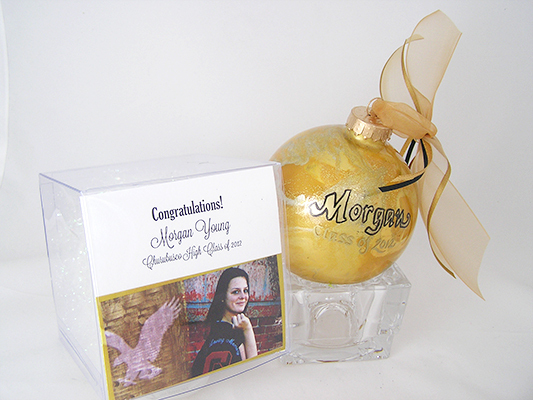 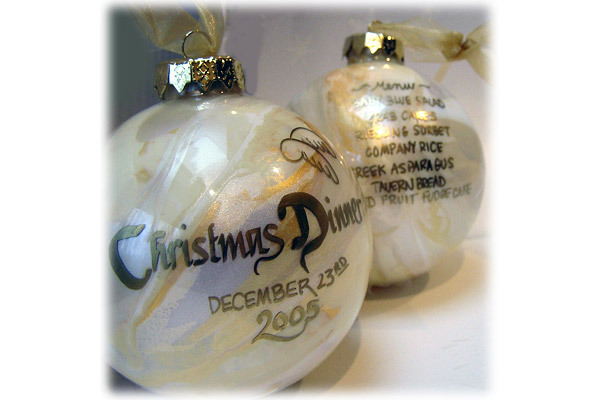 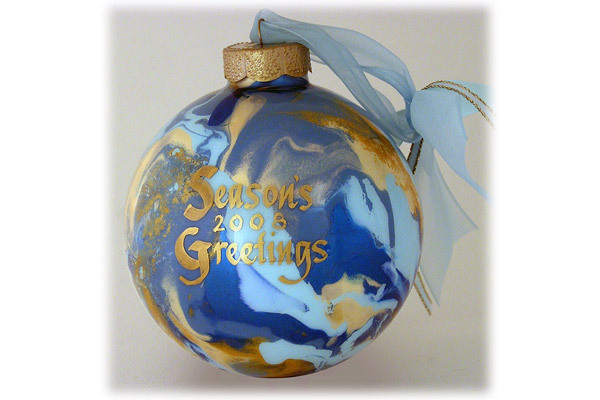 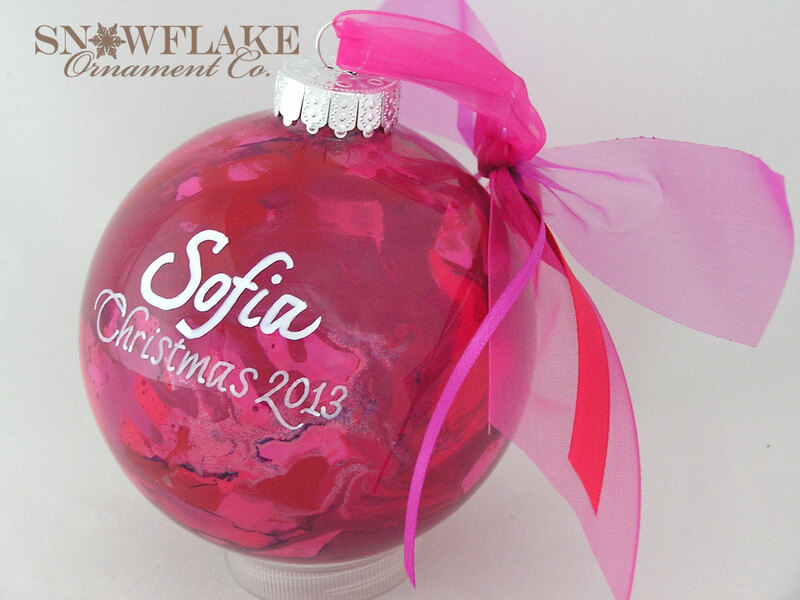 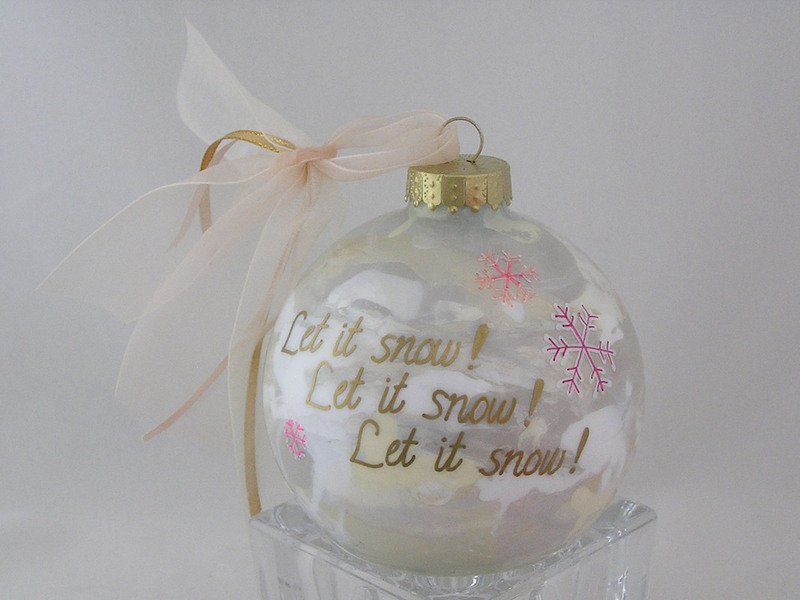 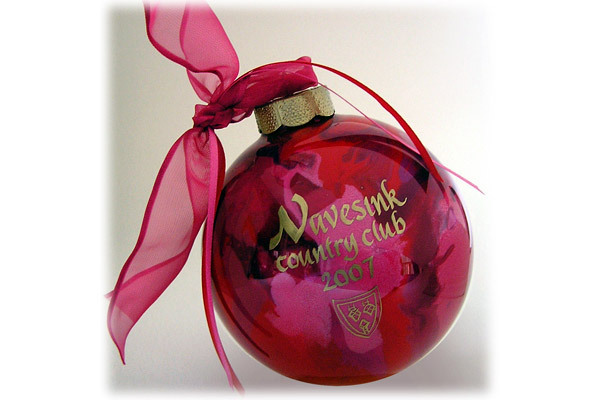 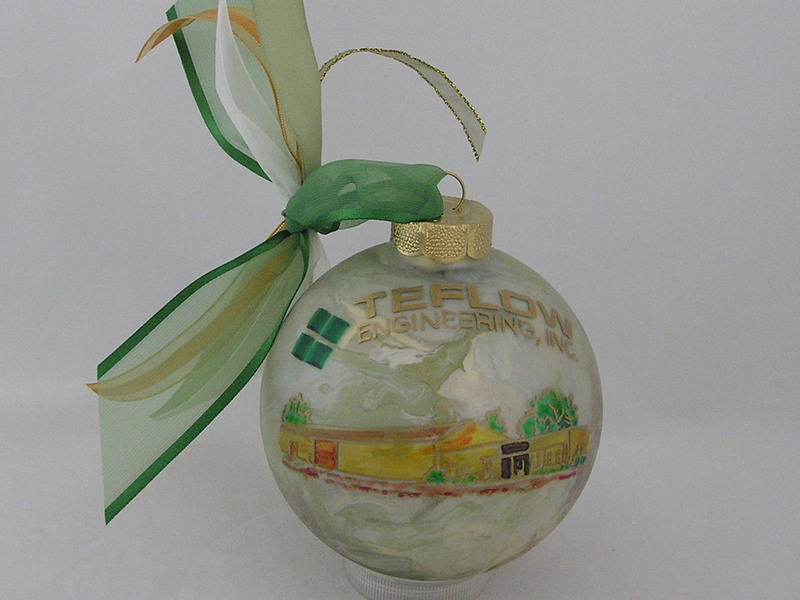 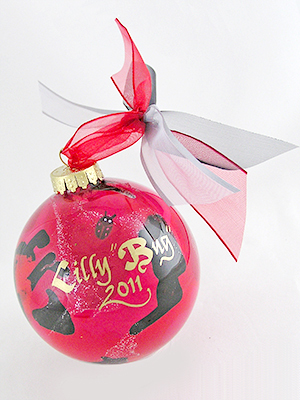 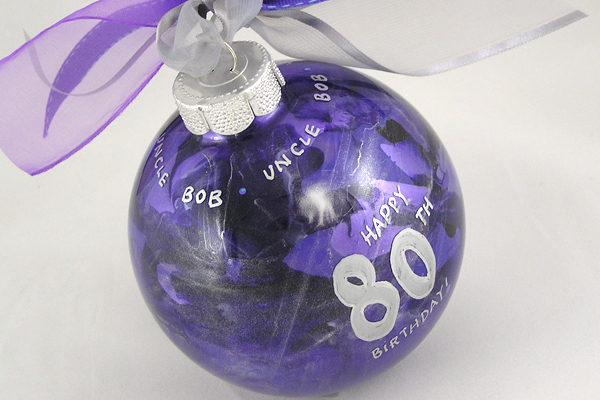 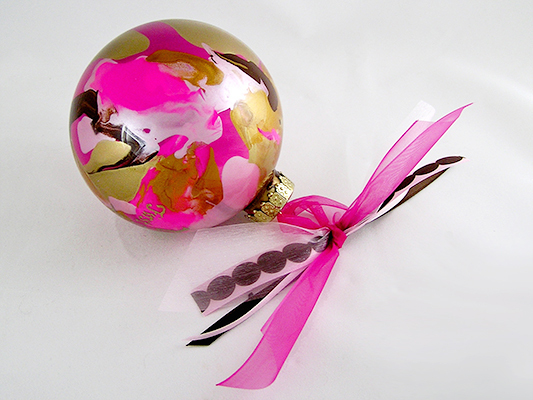 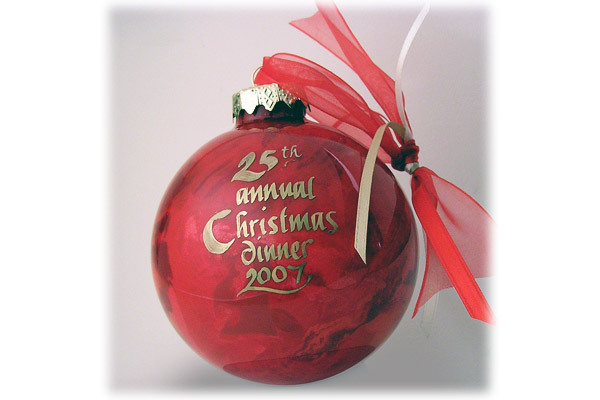 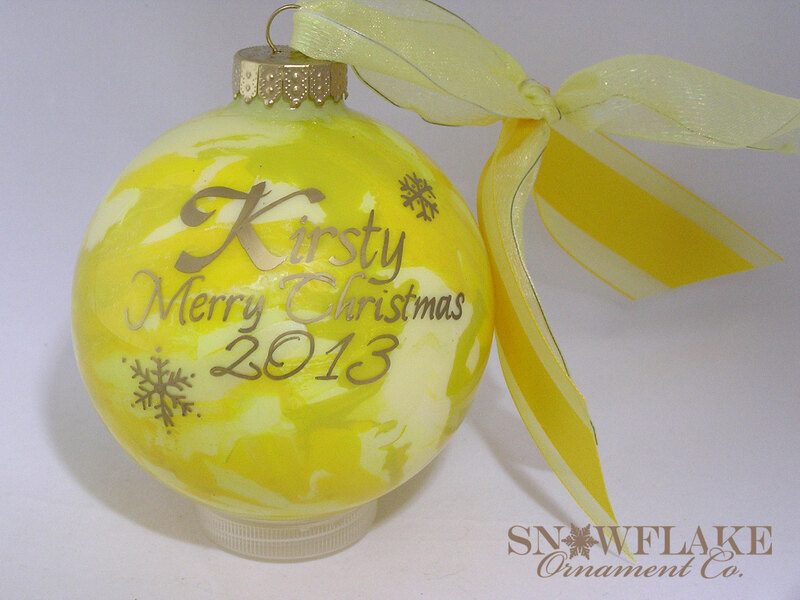 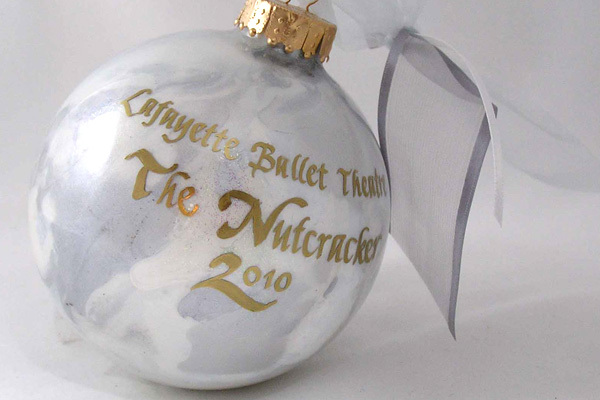 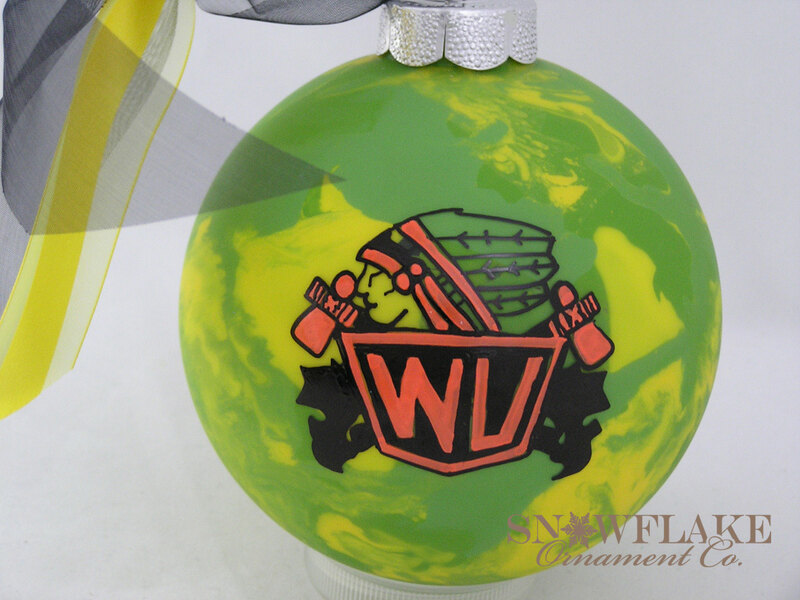 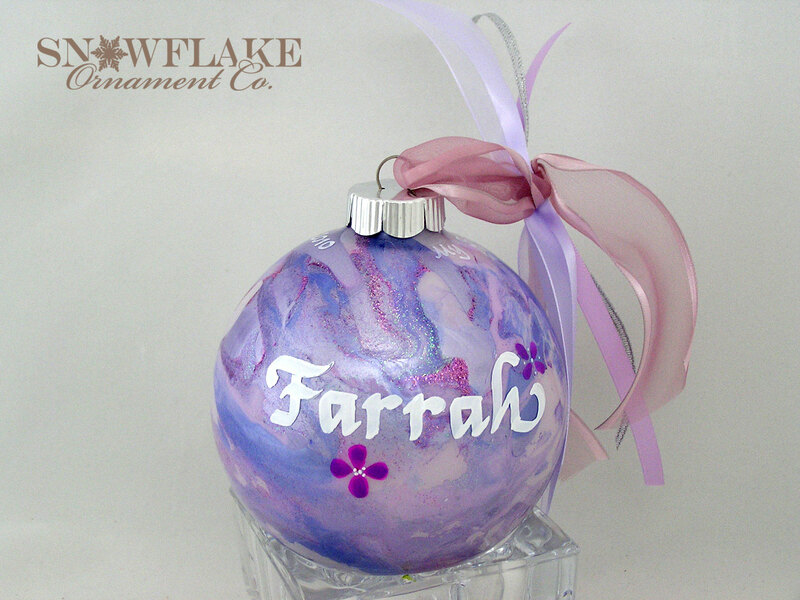 Ornaments are made to your specifications with attention to quality and detail. 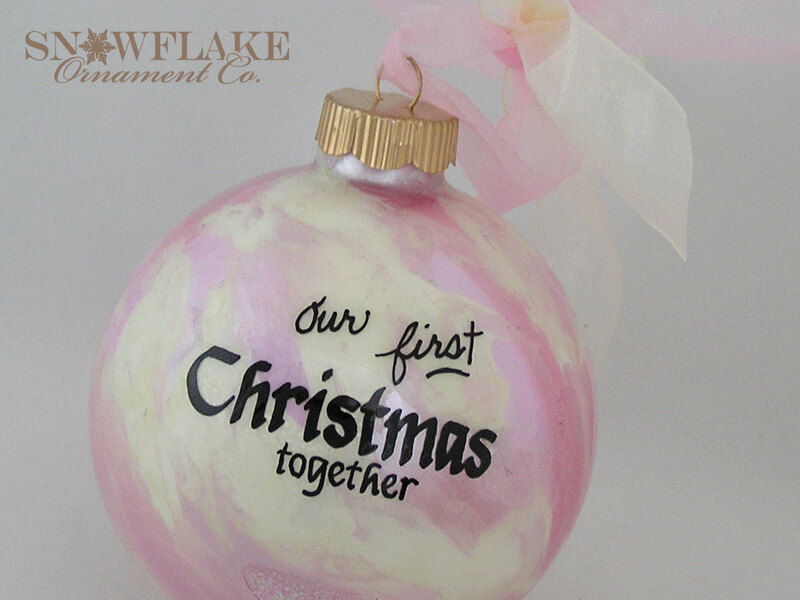 Celebrate a couple's first Christmas together. 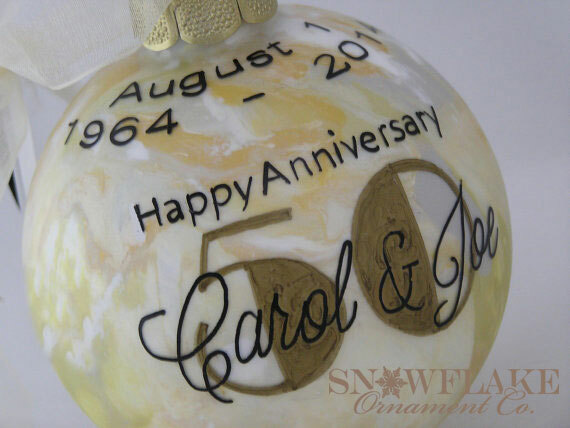 We suggest adding the couple's last name and the year with the message "Our First Christmas", "Happy Anniversary", "Our First Christmas Together", and the like. 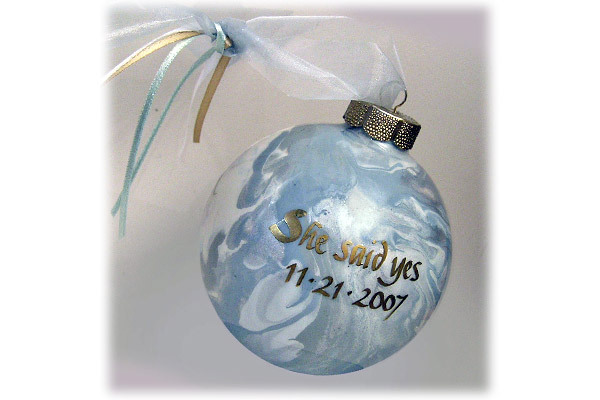 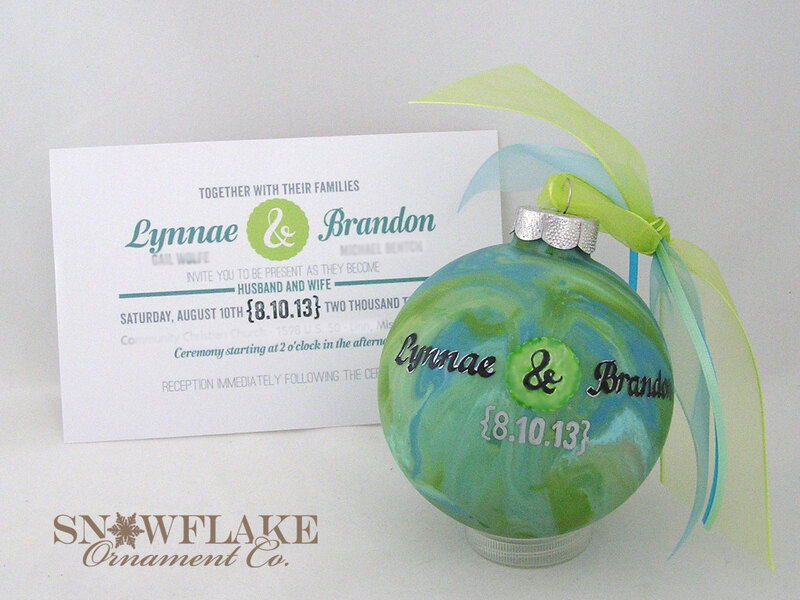 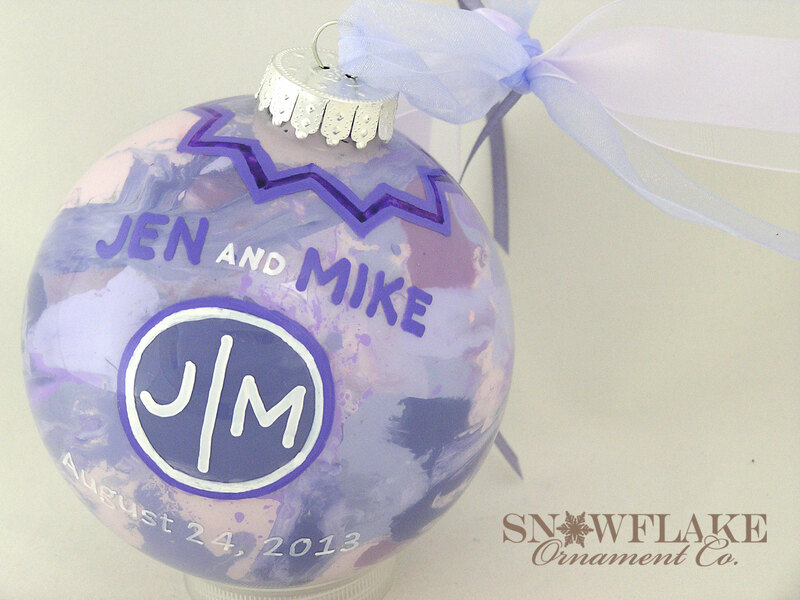 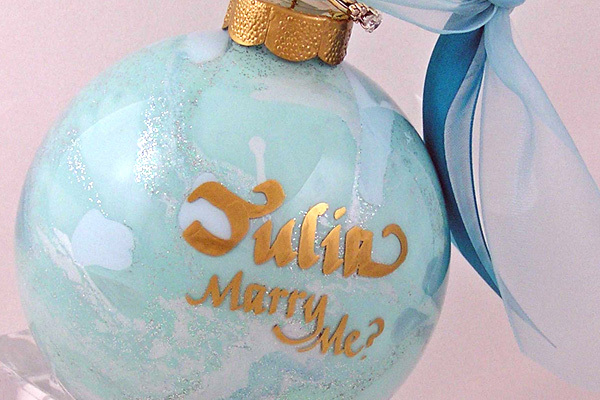 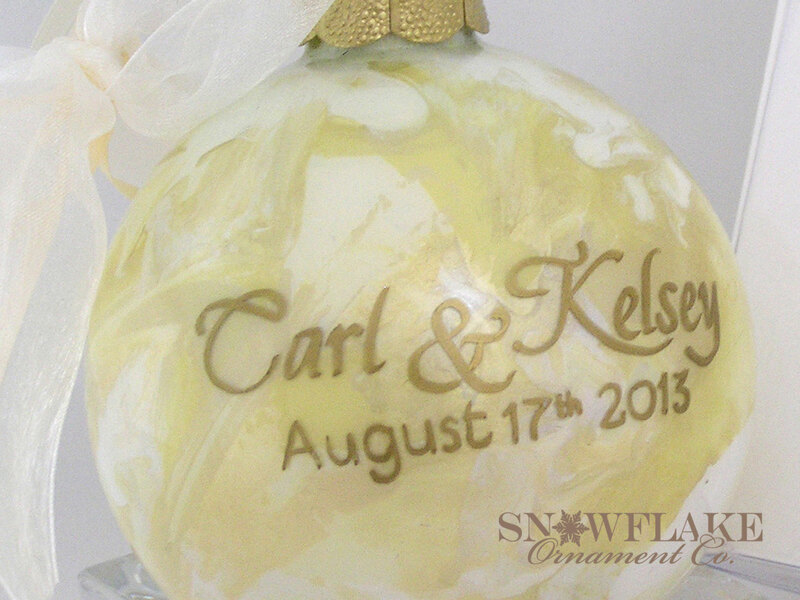 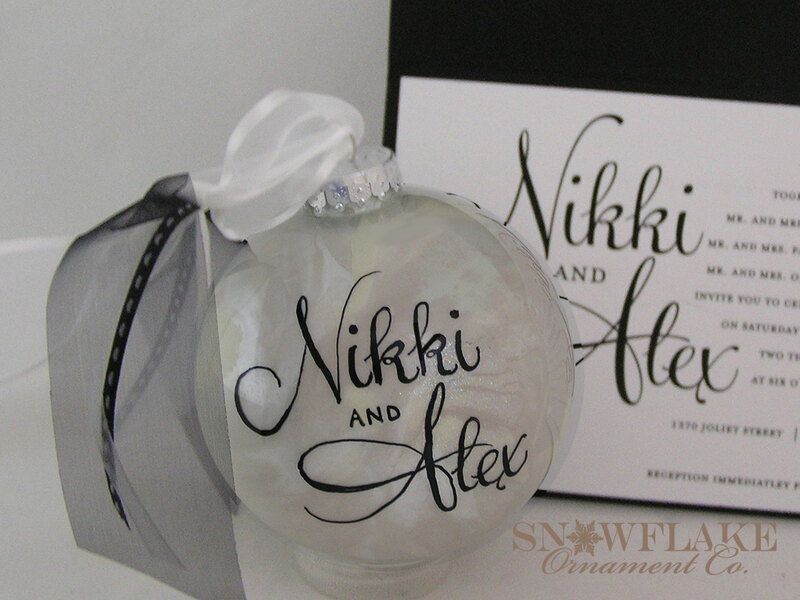 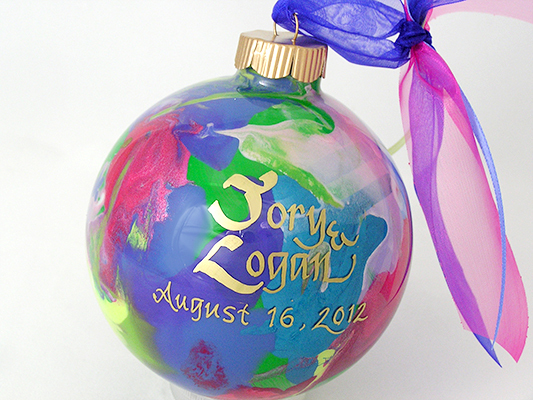 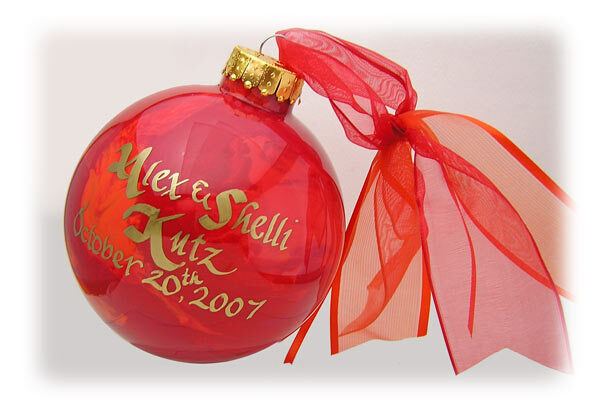 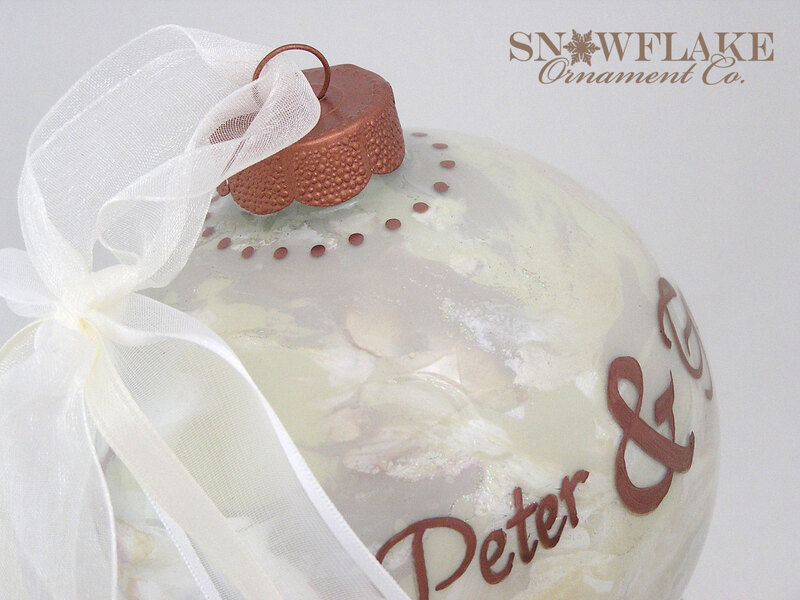 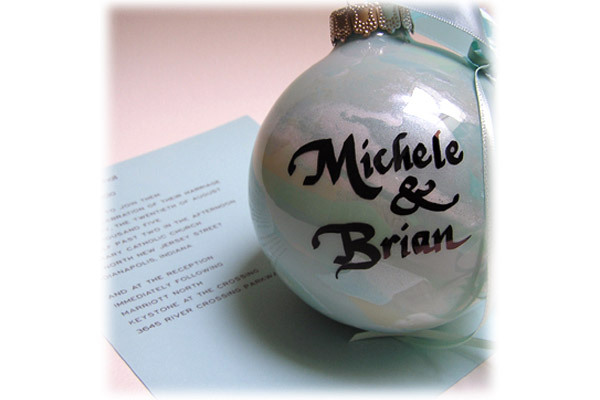 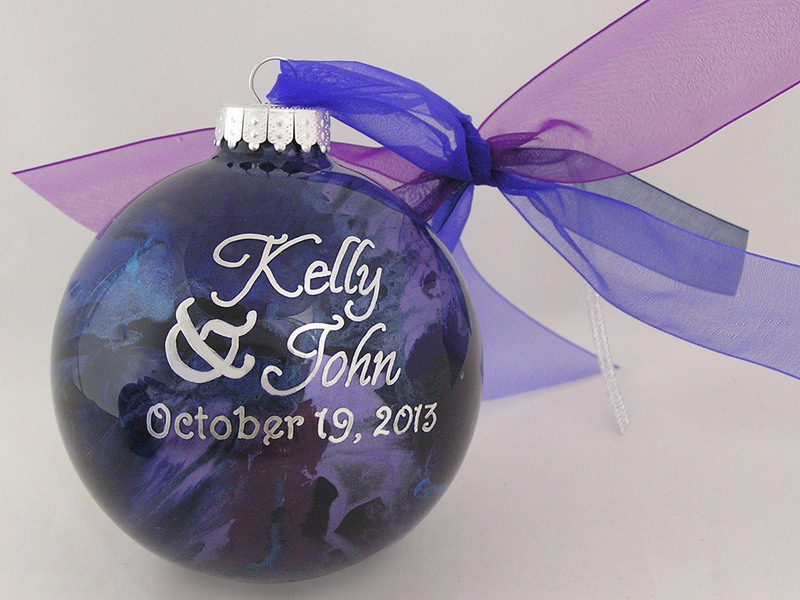 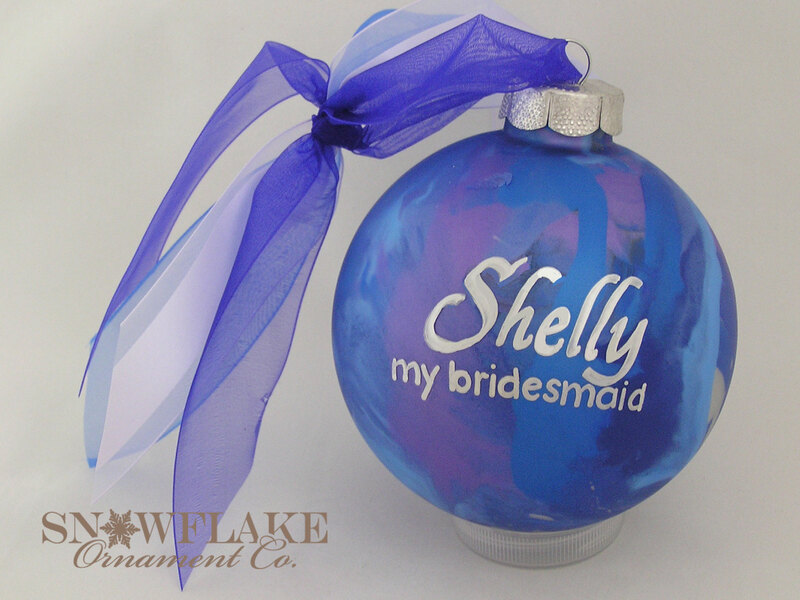 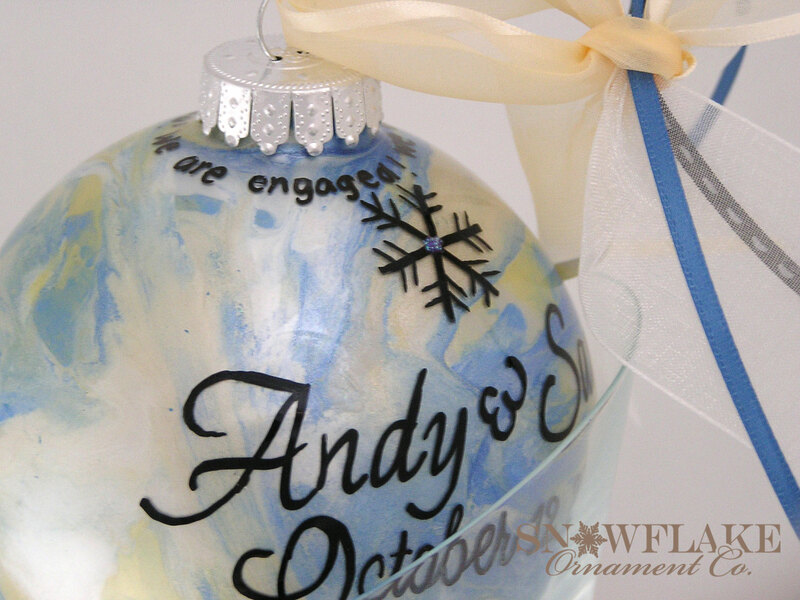 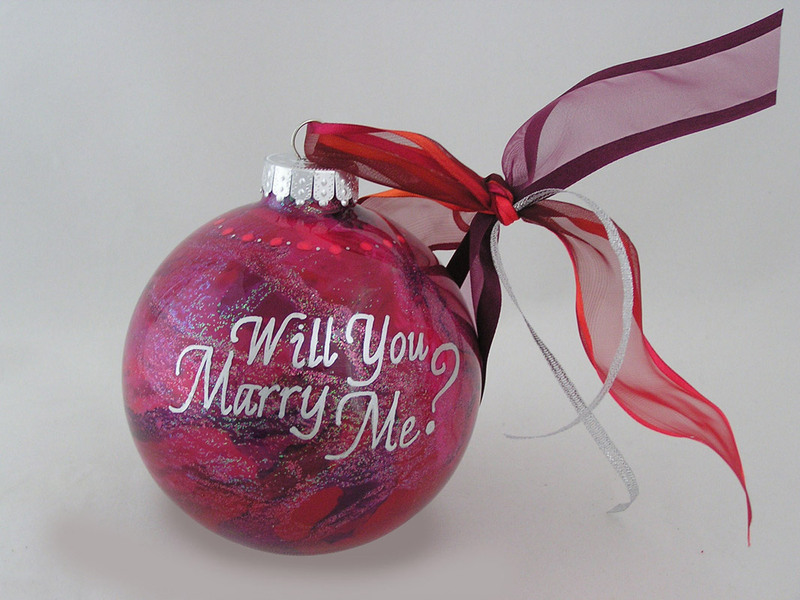 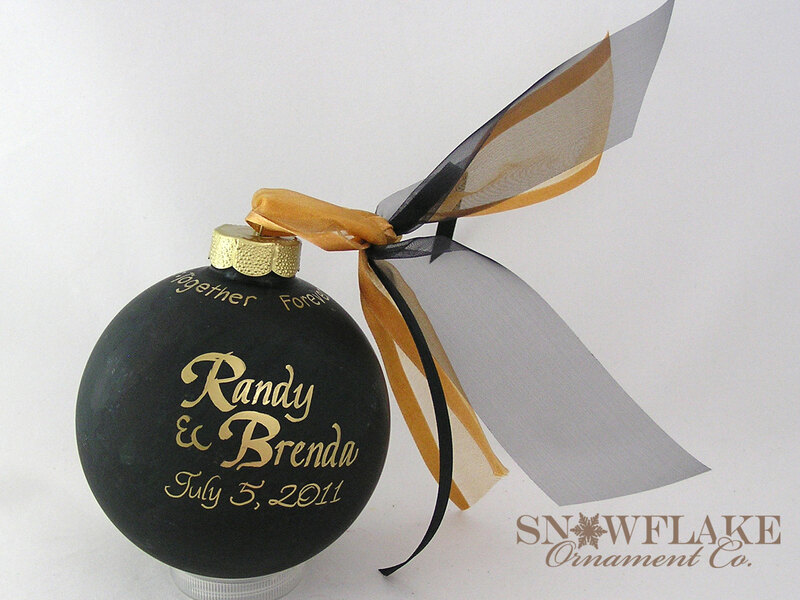 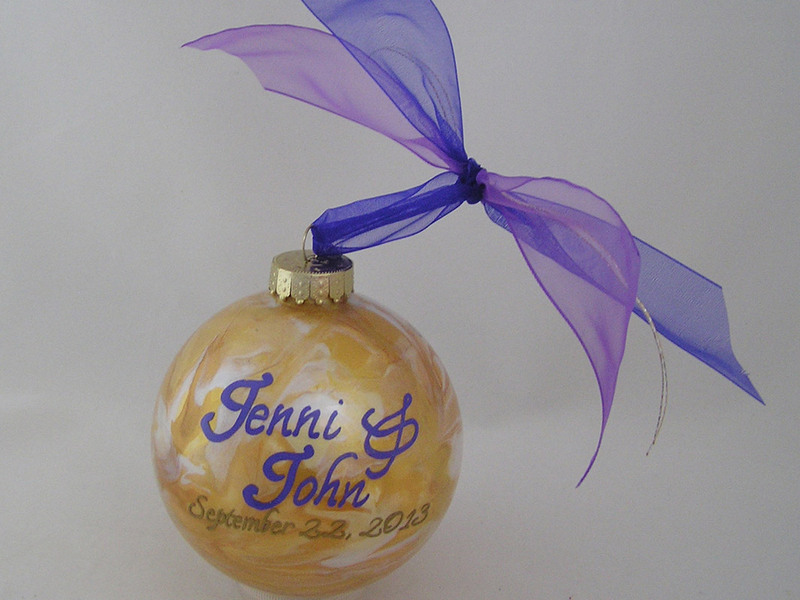 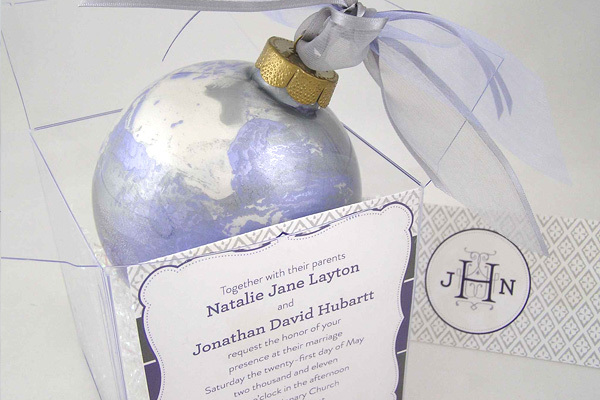 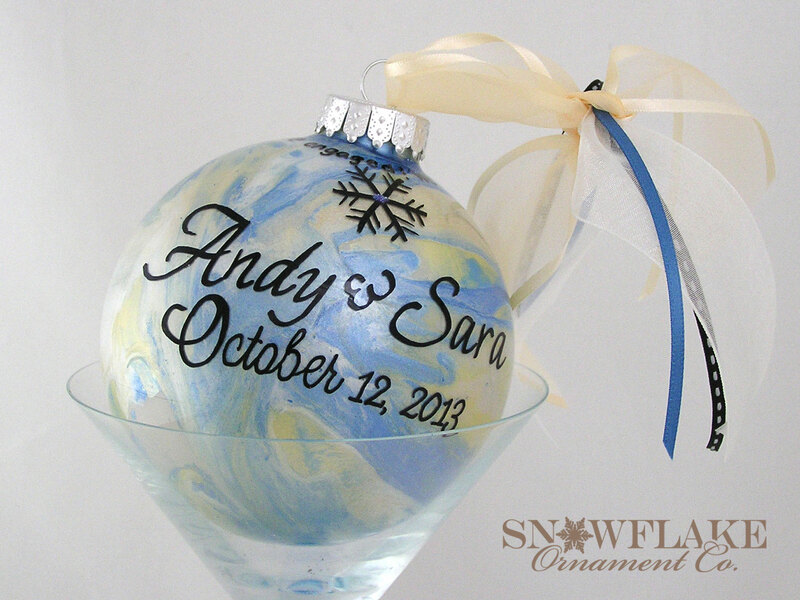 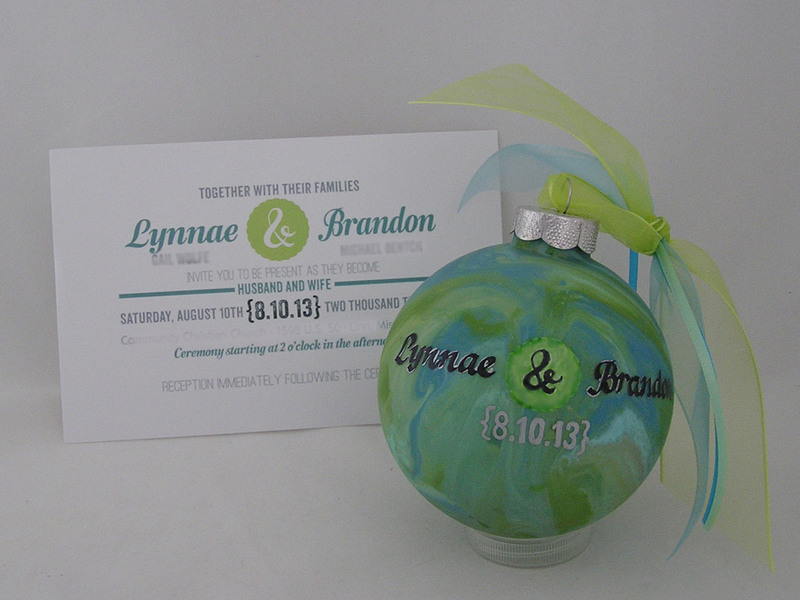 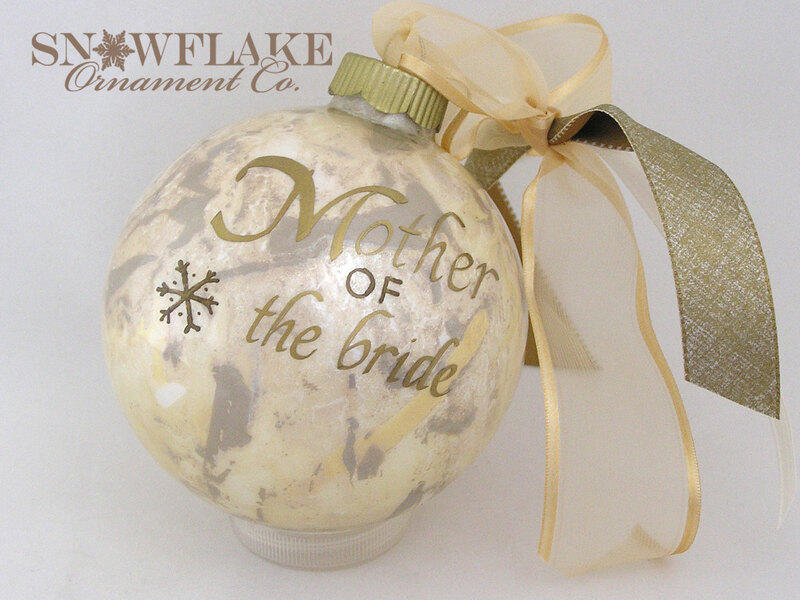 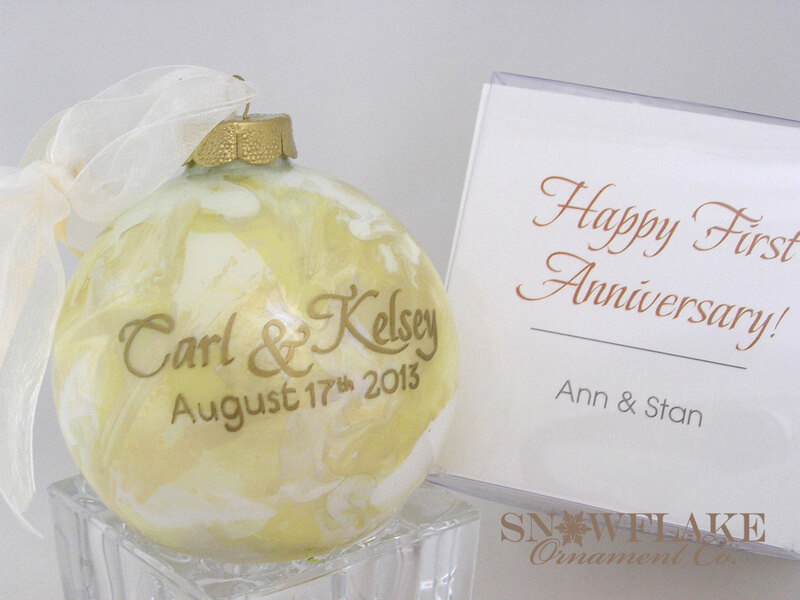 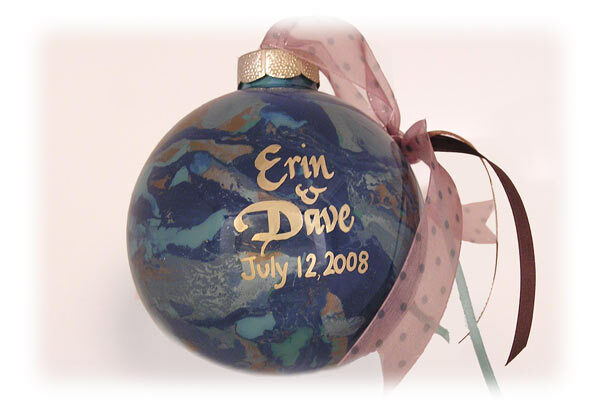 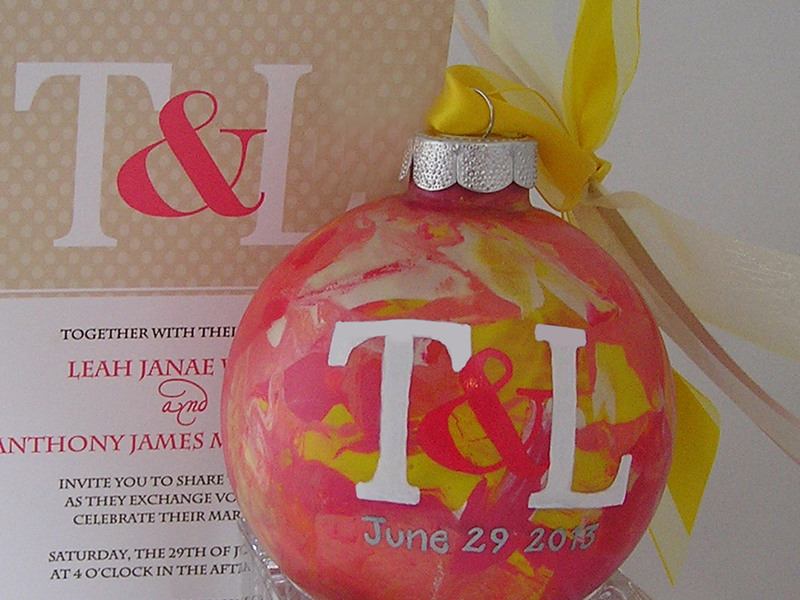 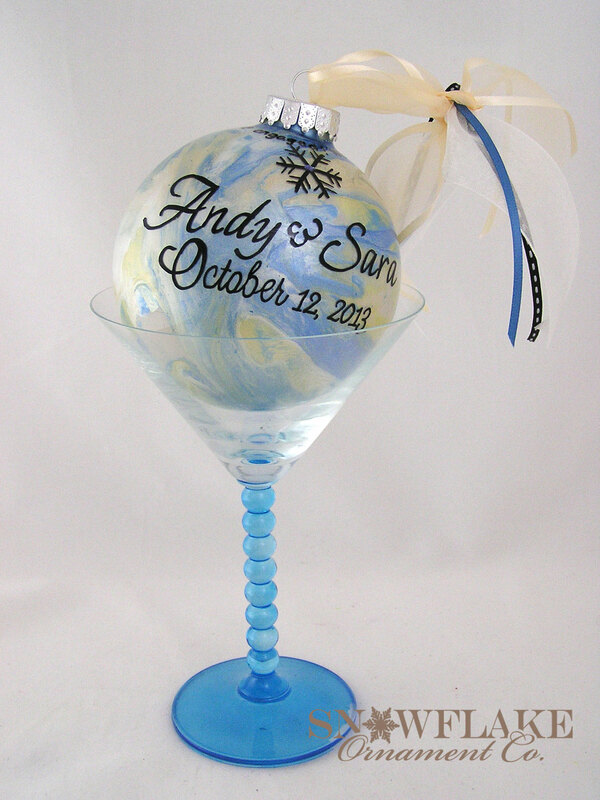 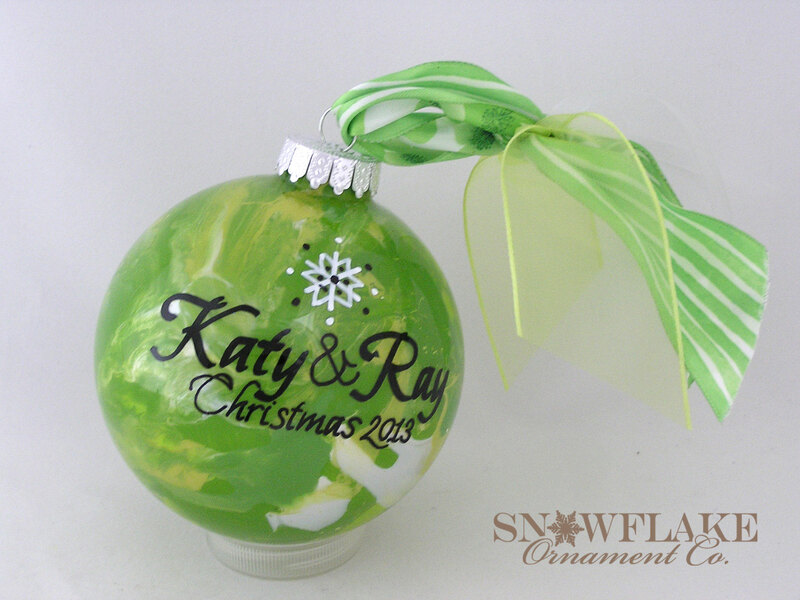 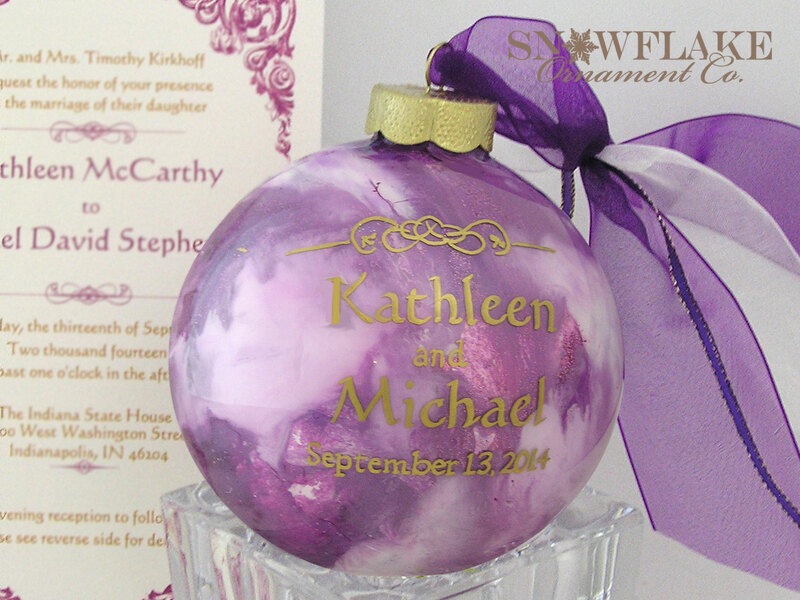 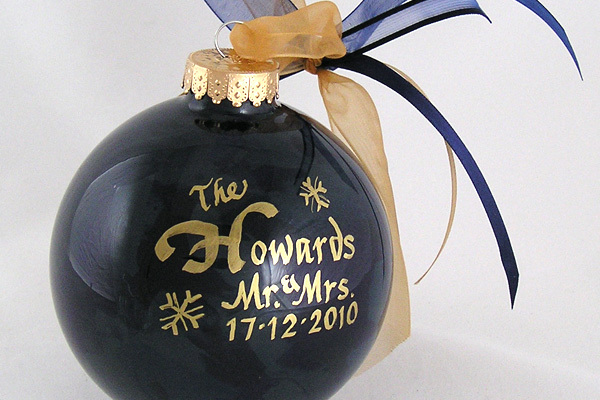 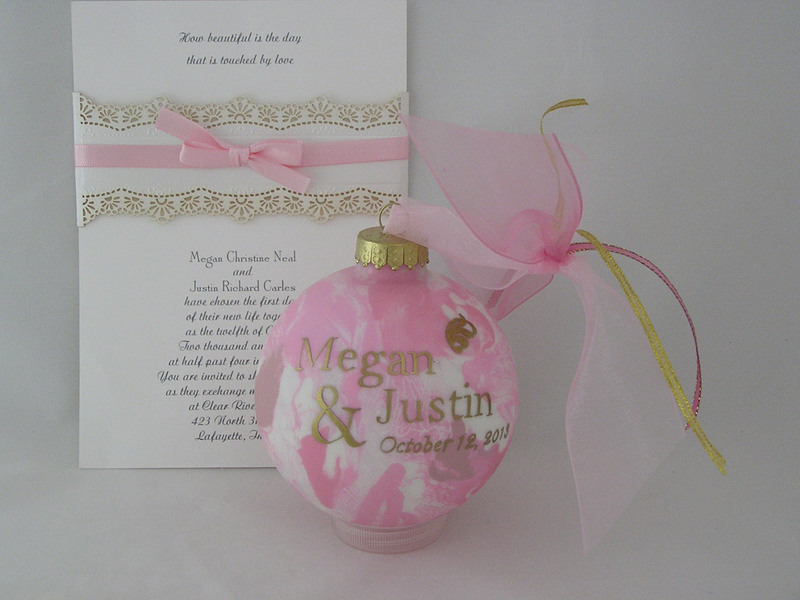 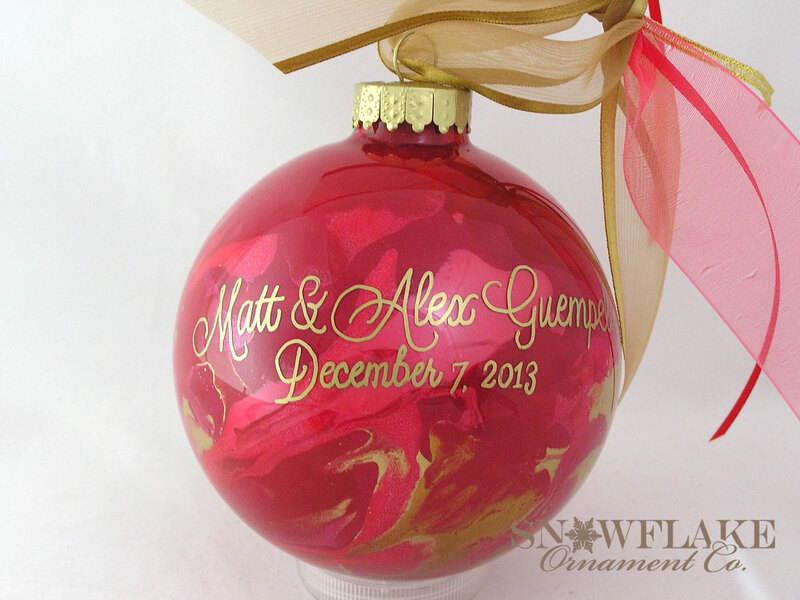 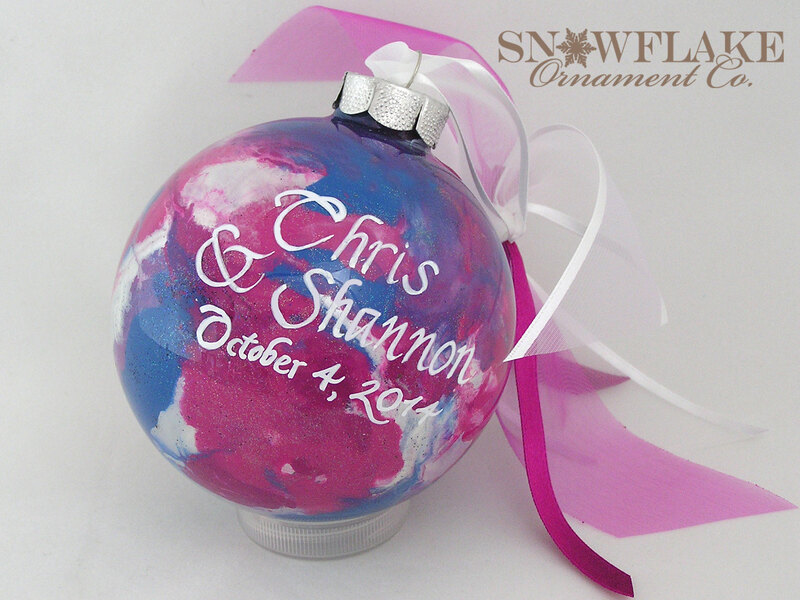 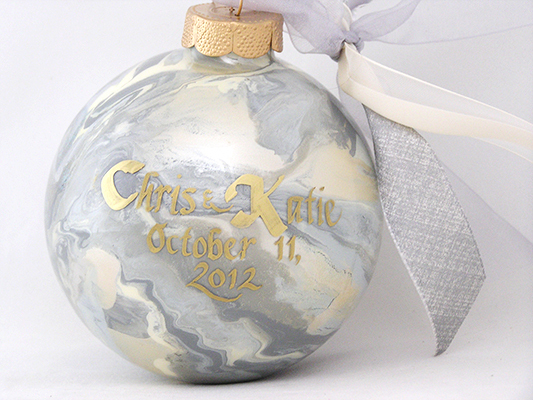 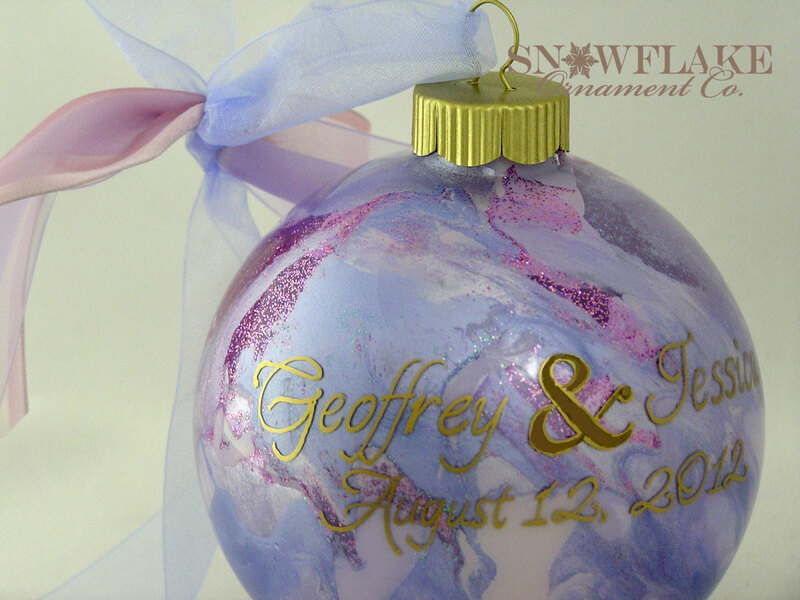 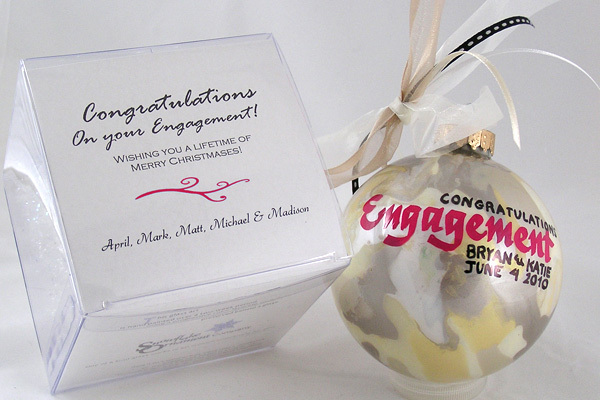 For an extra special touch, choose an ornament in their wedding colors. 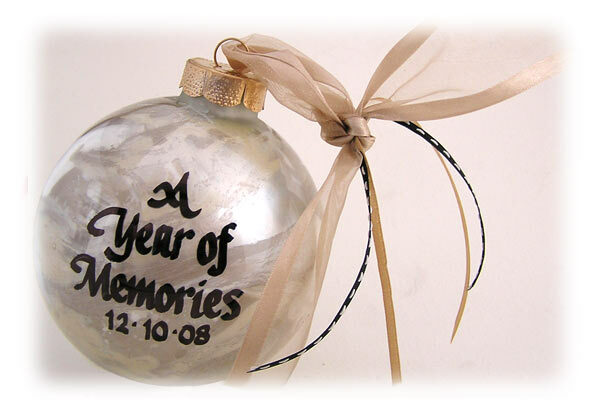 Create holiday memories for family and friends. 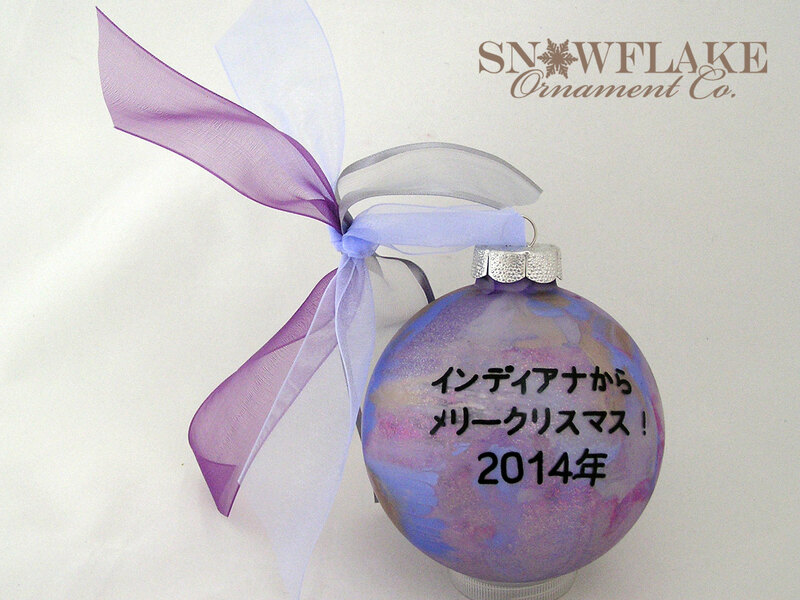 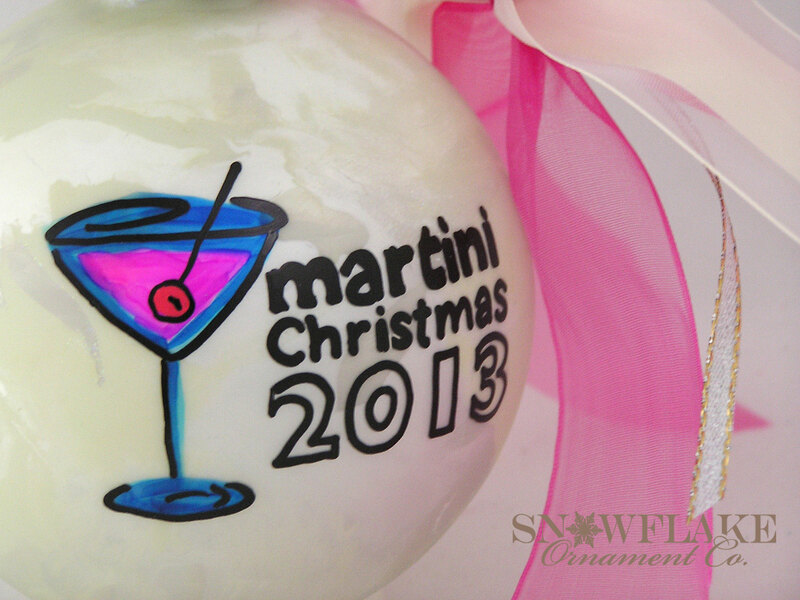 Let us write a name, the year or a holiday greeting on the ornament. 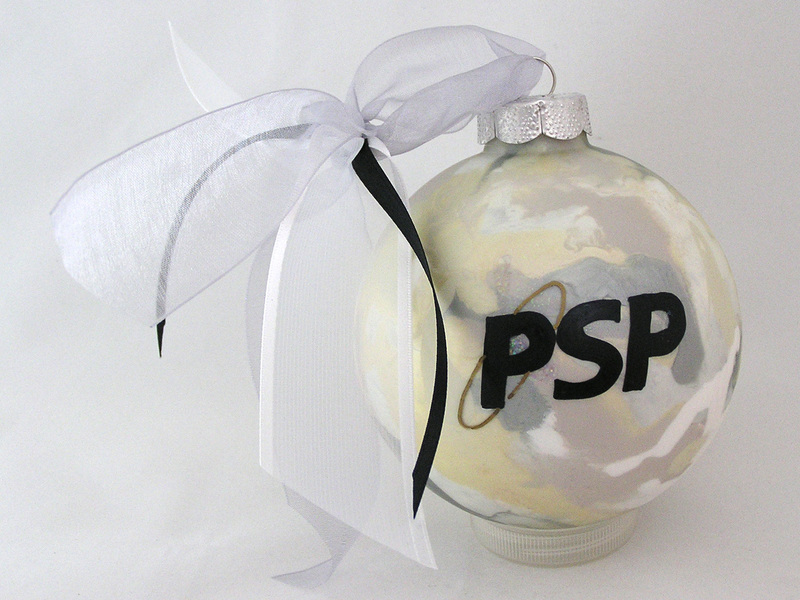 Guaranteed to be a big hit at office gift exchanges! 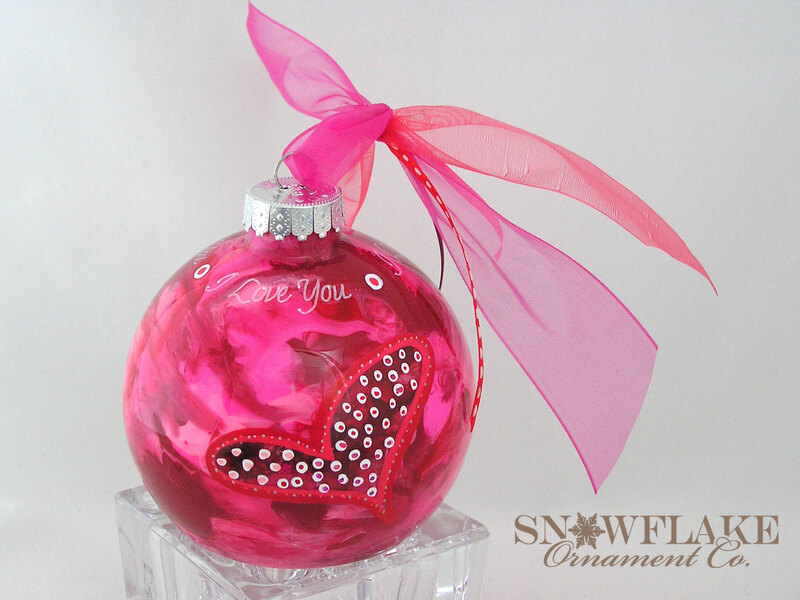 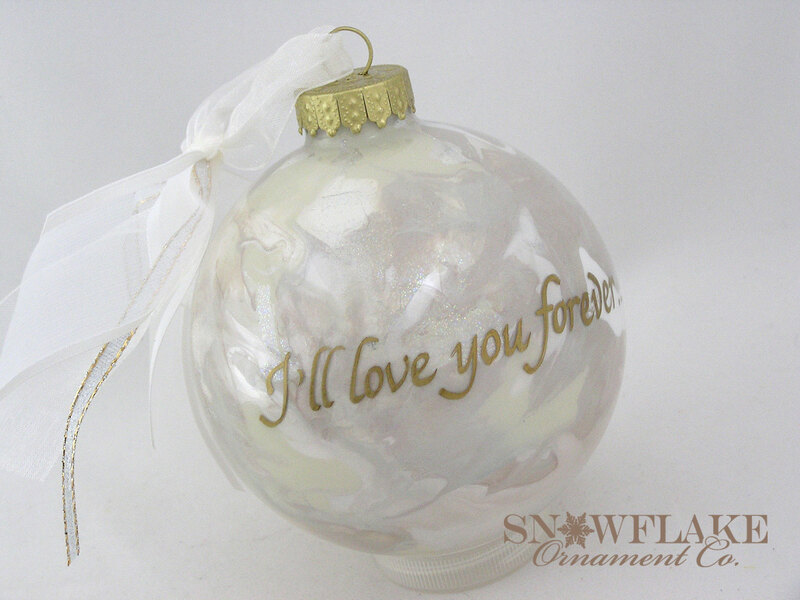 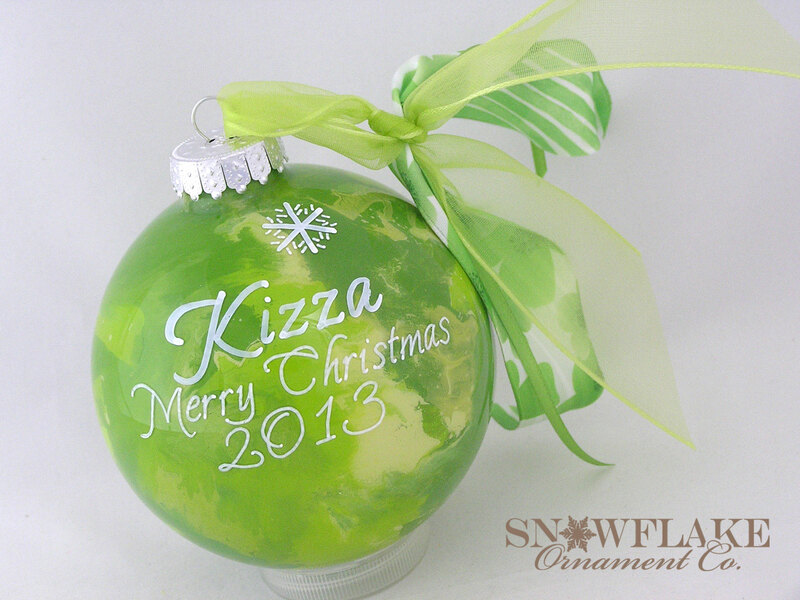 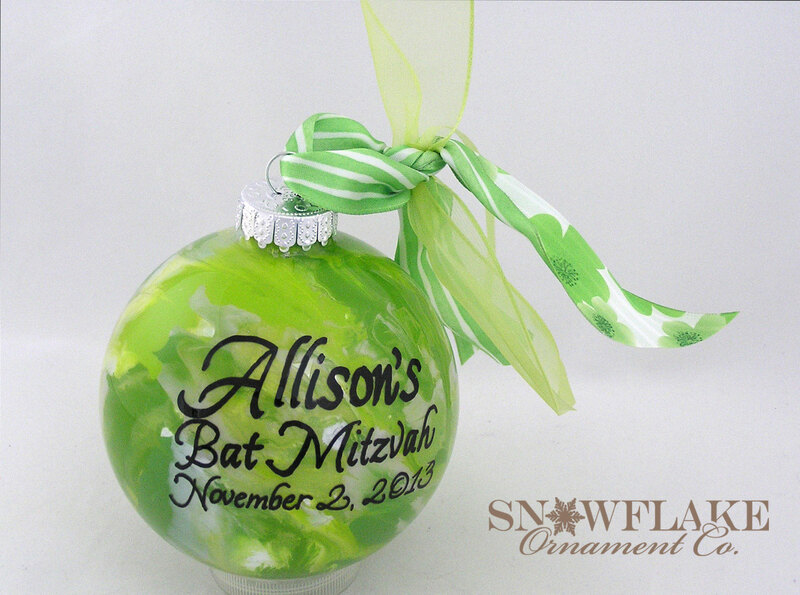 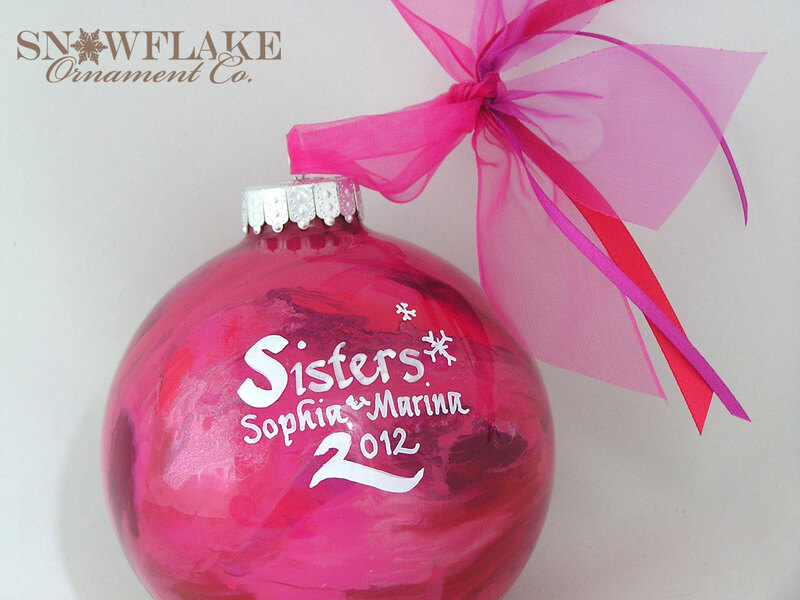 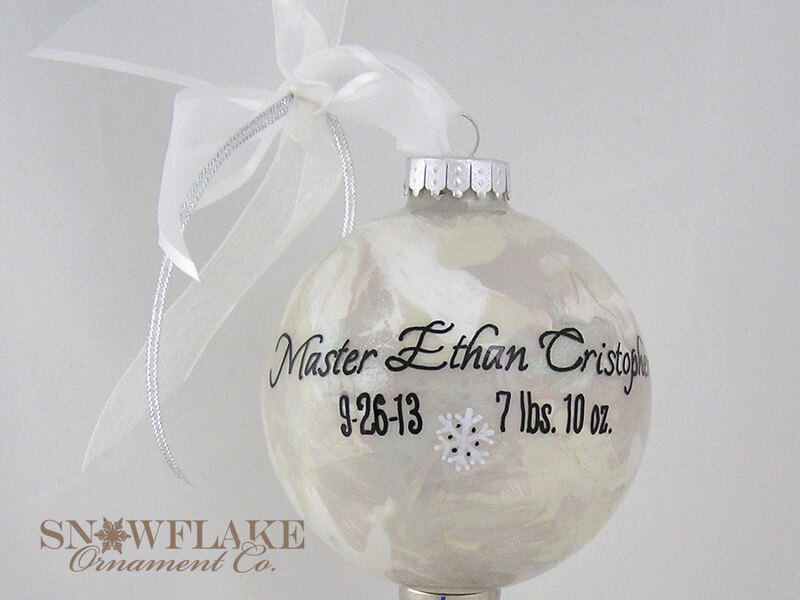 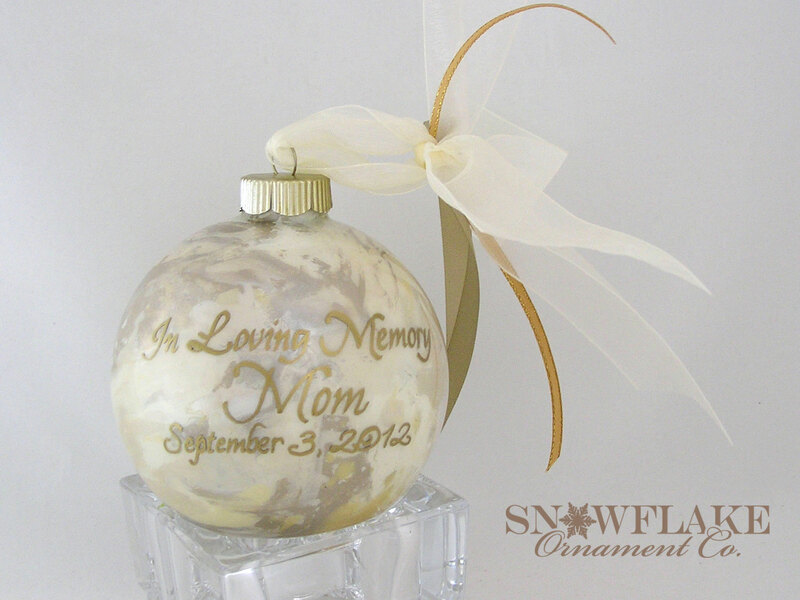 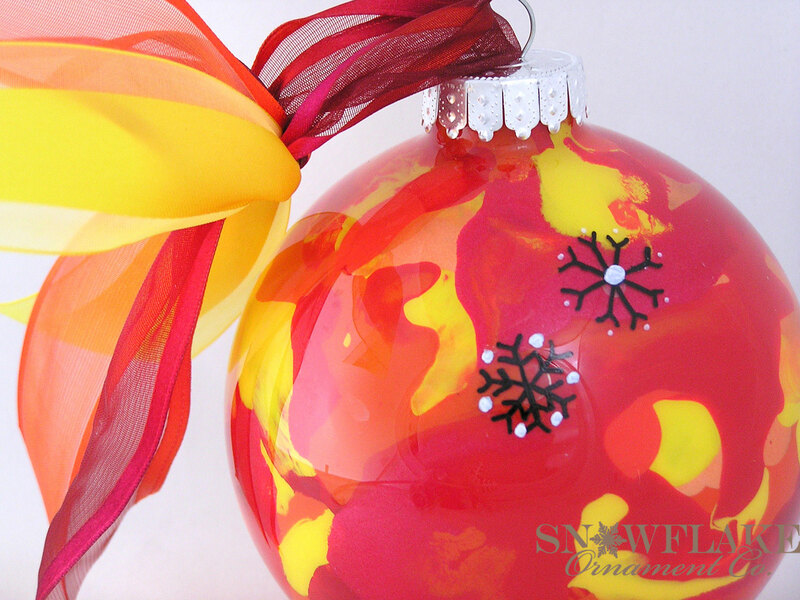 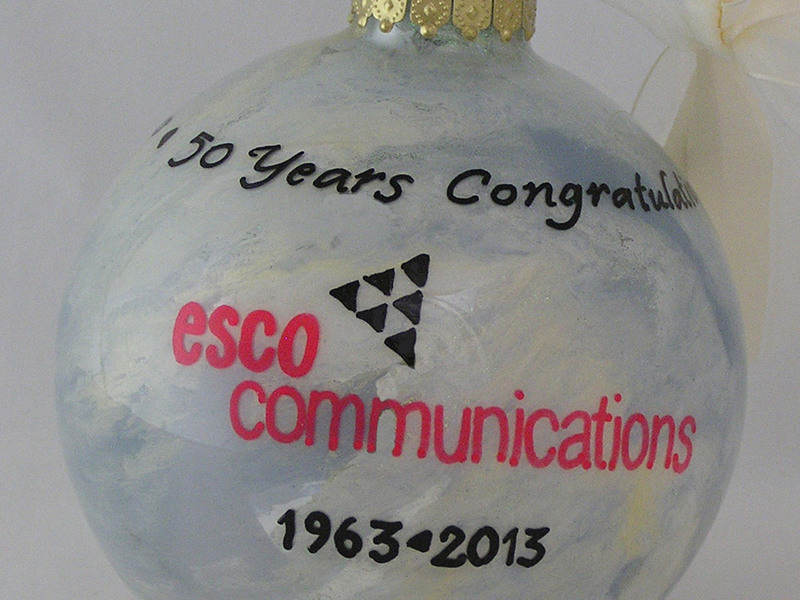 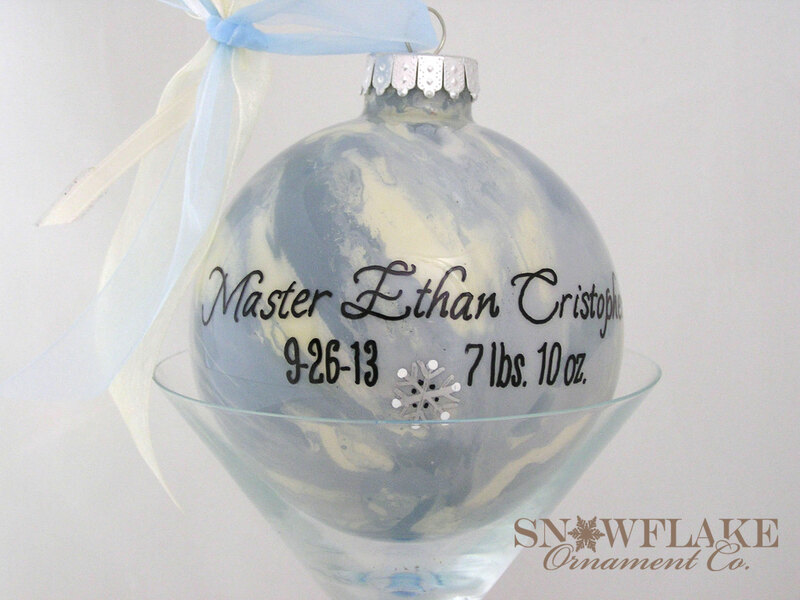 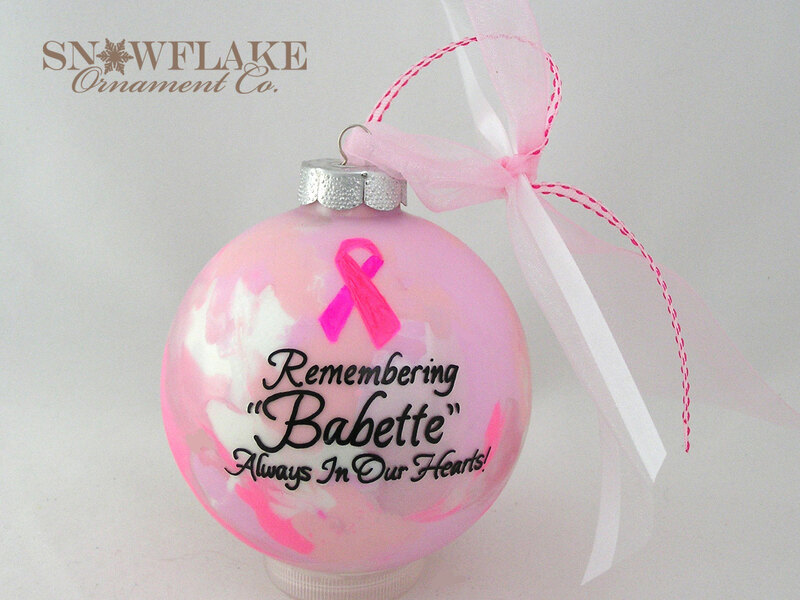 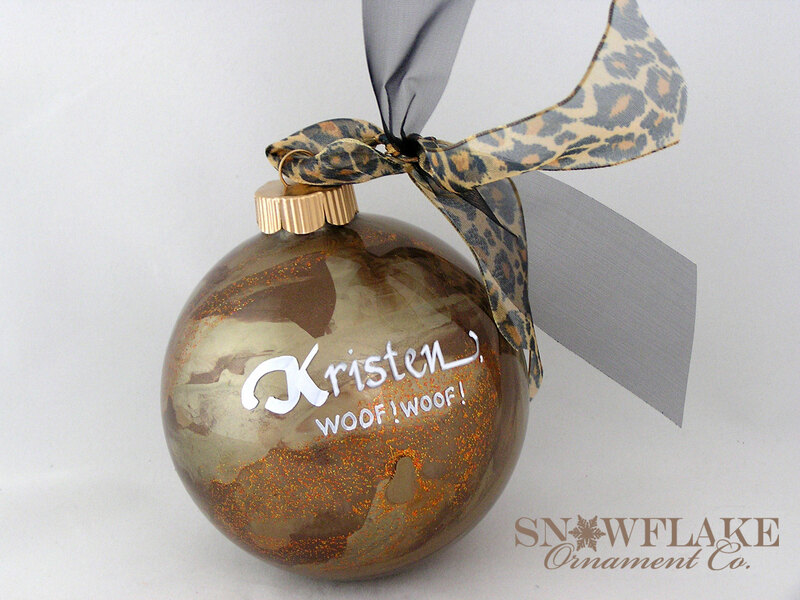 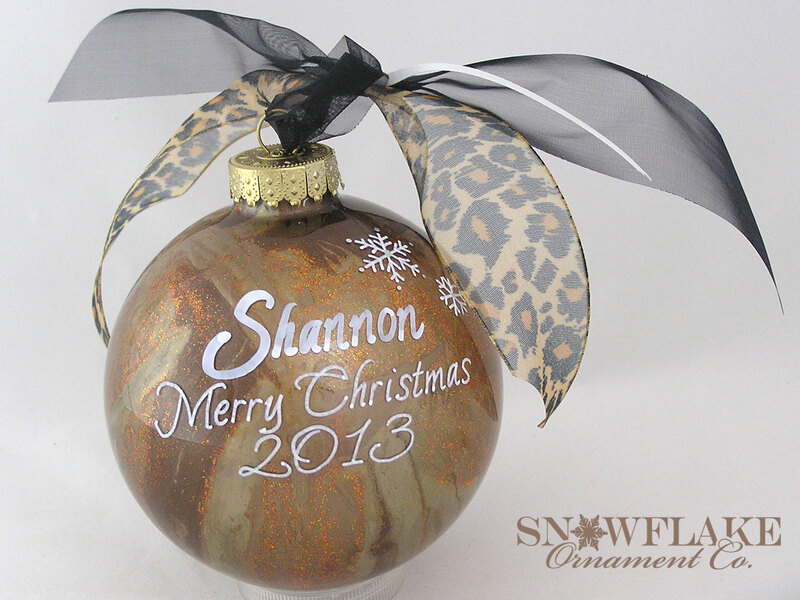 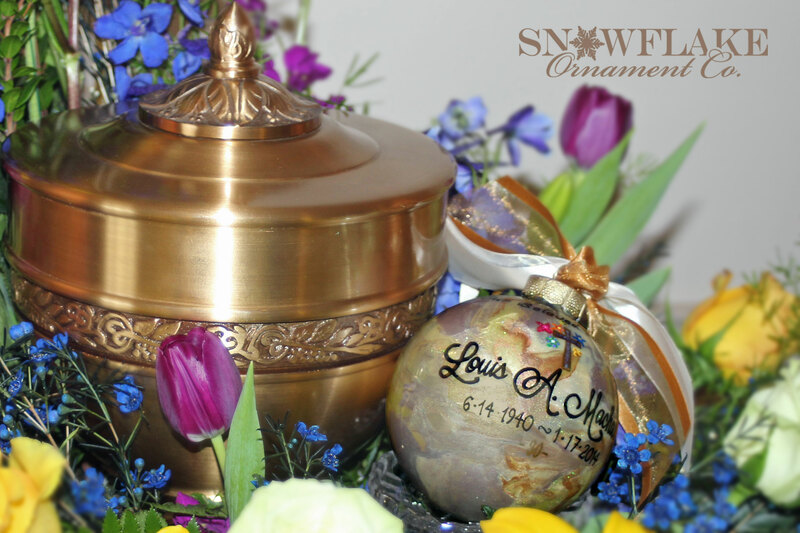 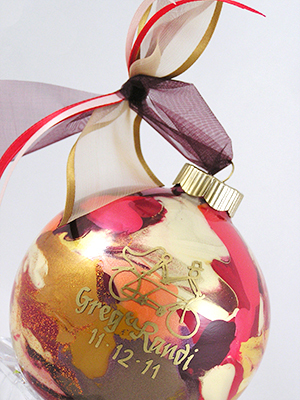 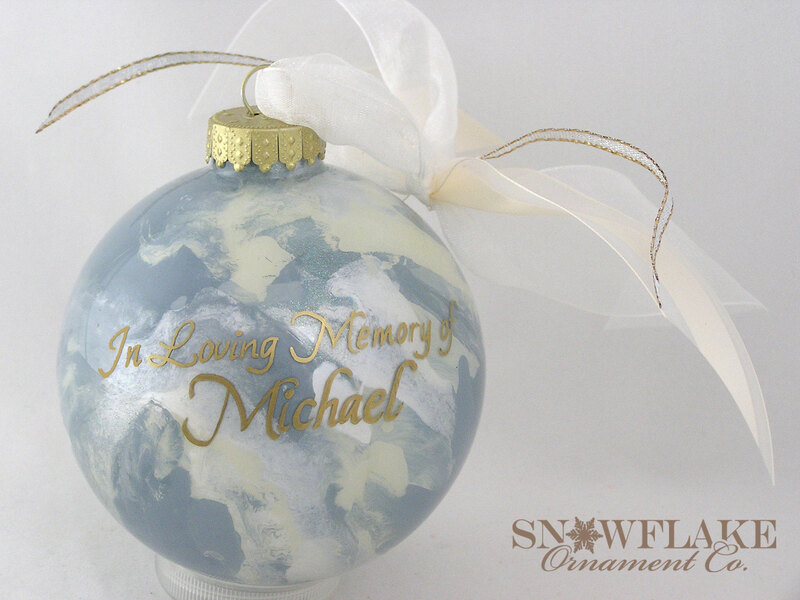 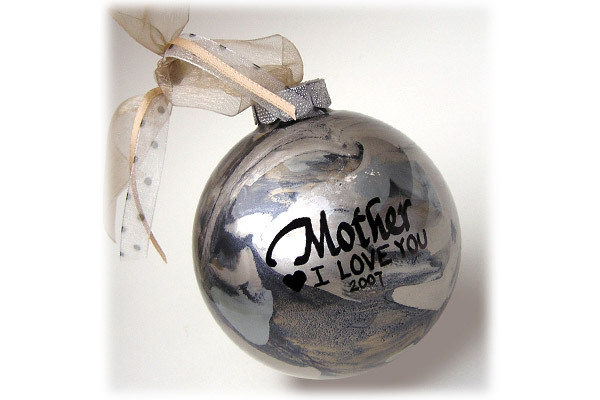 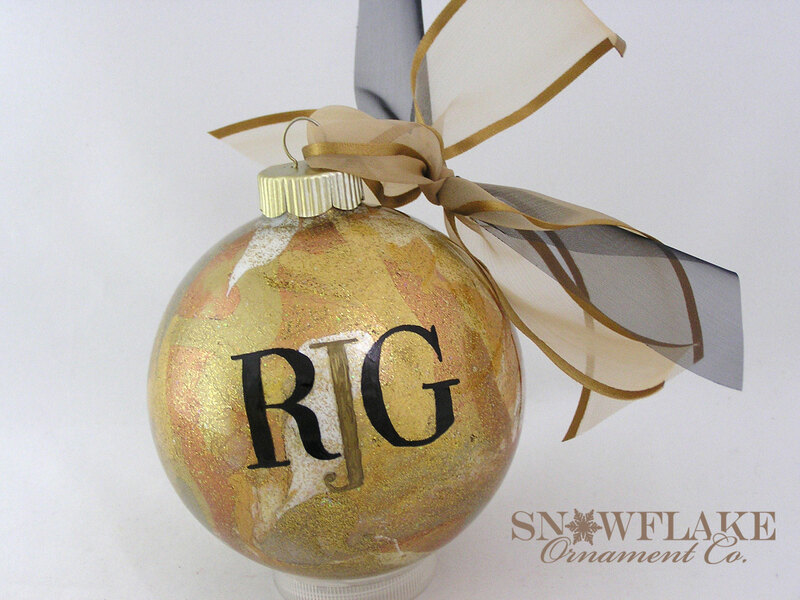 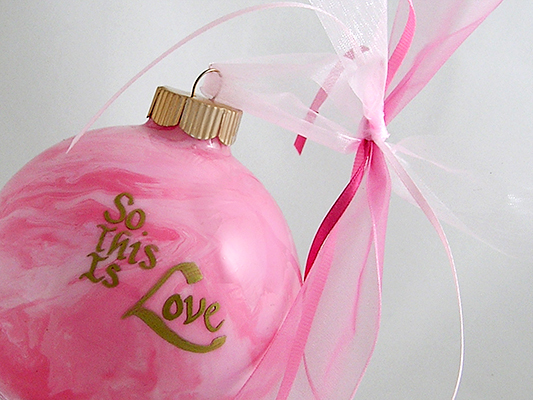 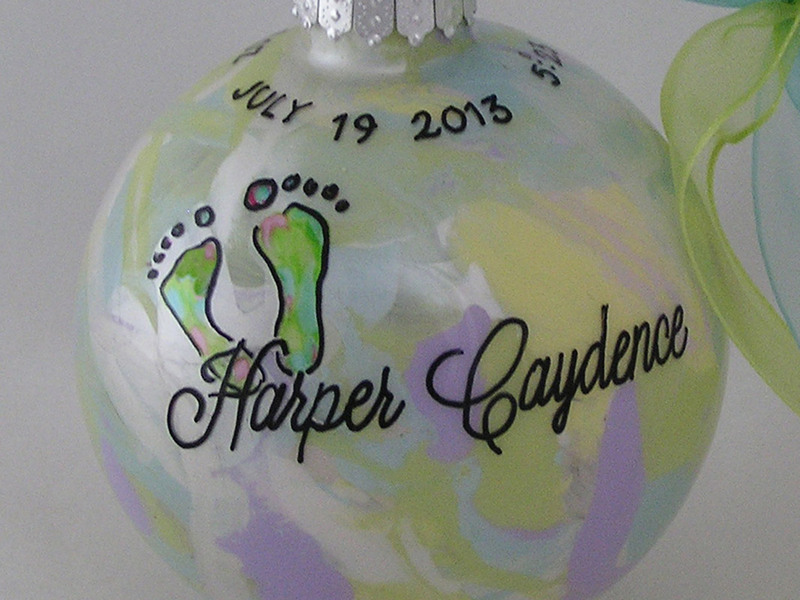 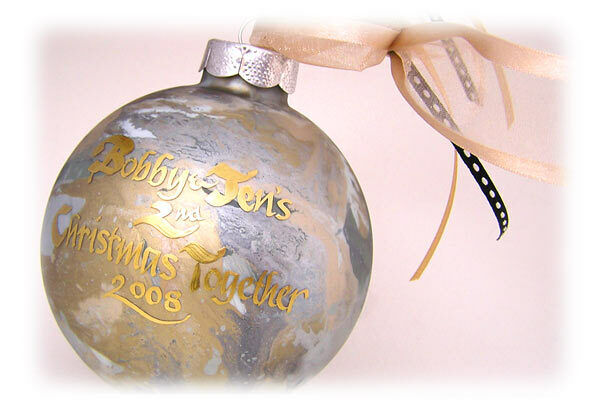 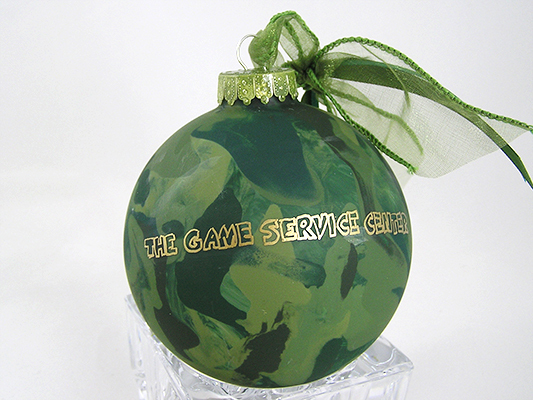 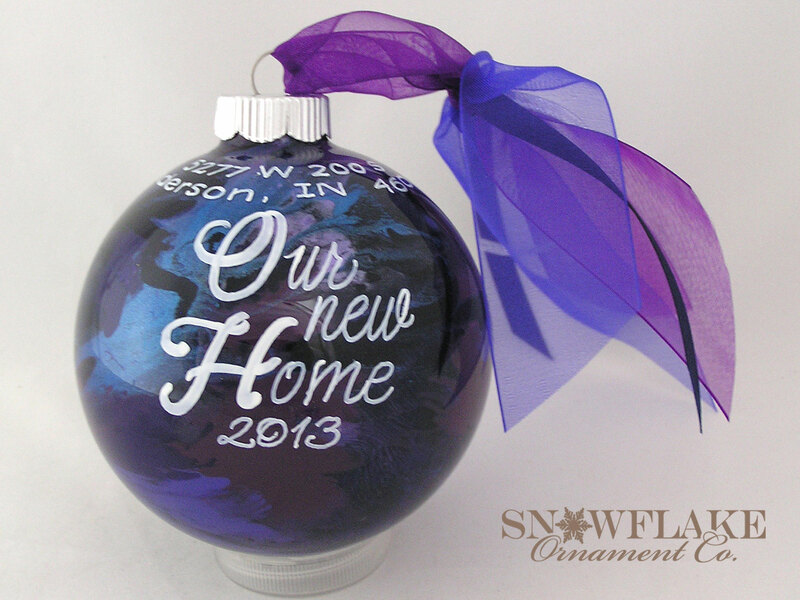 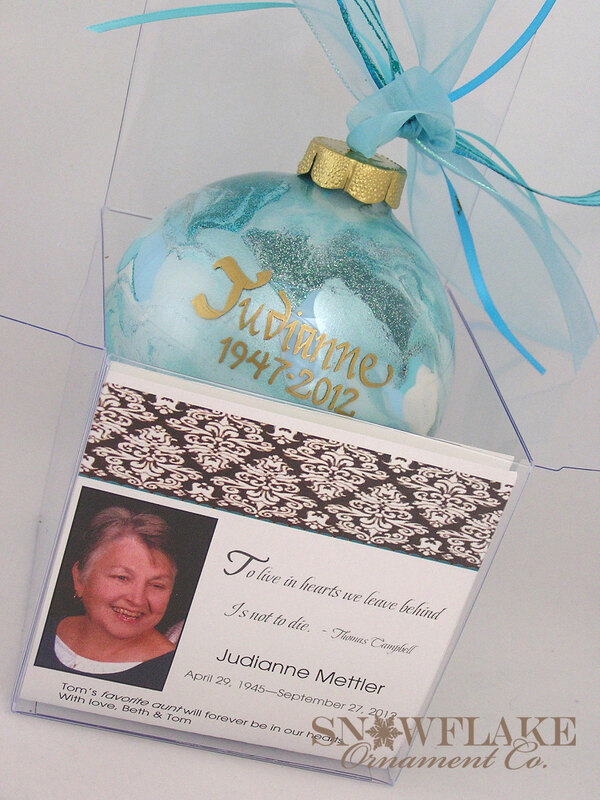 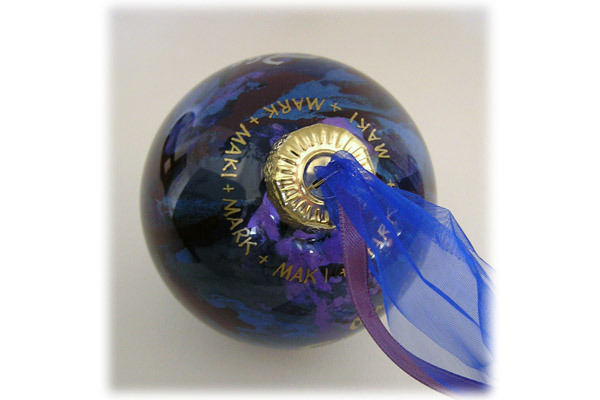 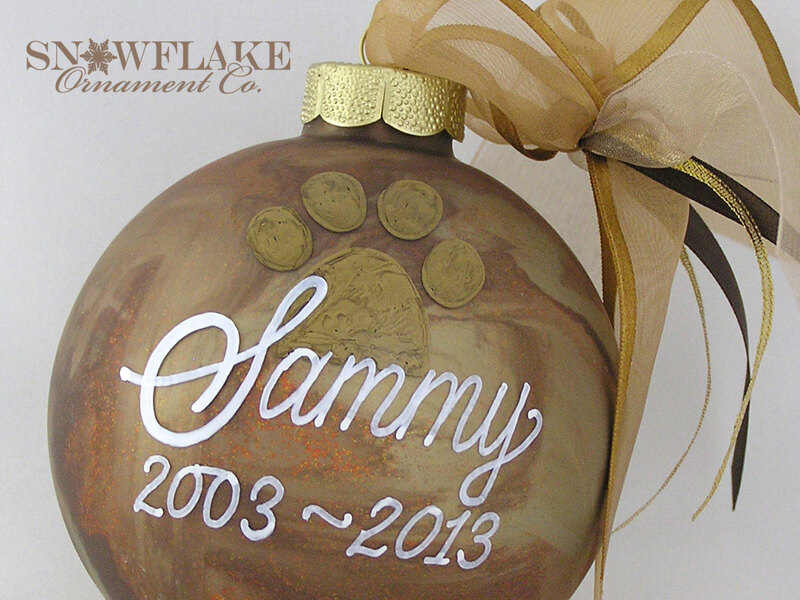 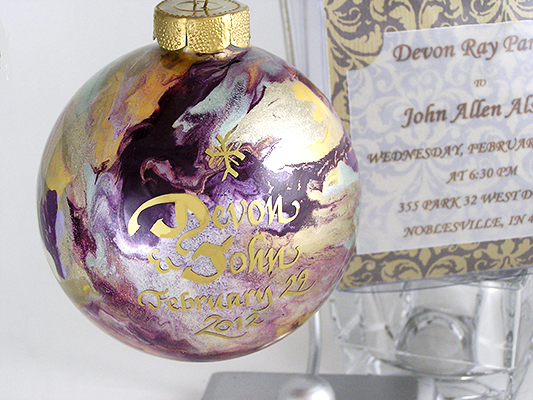 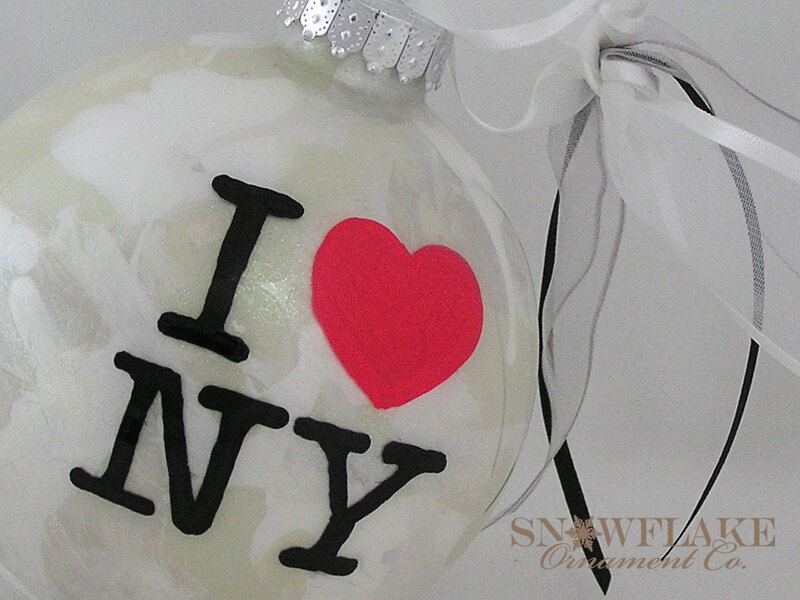 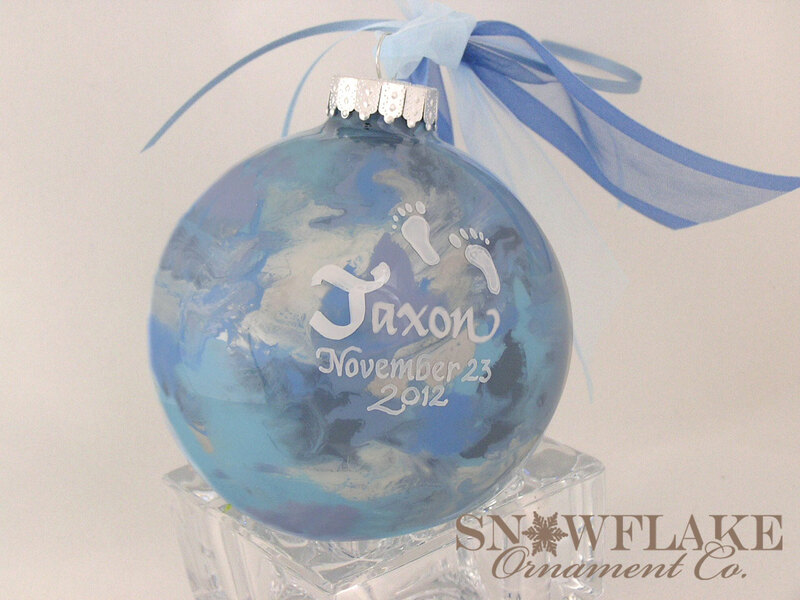 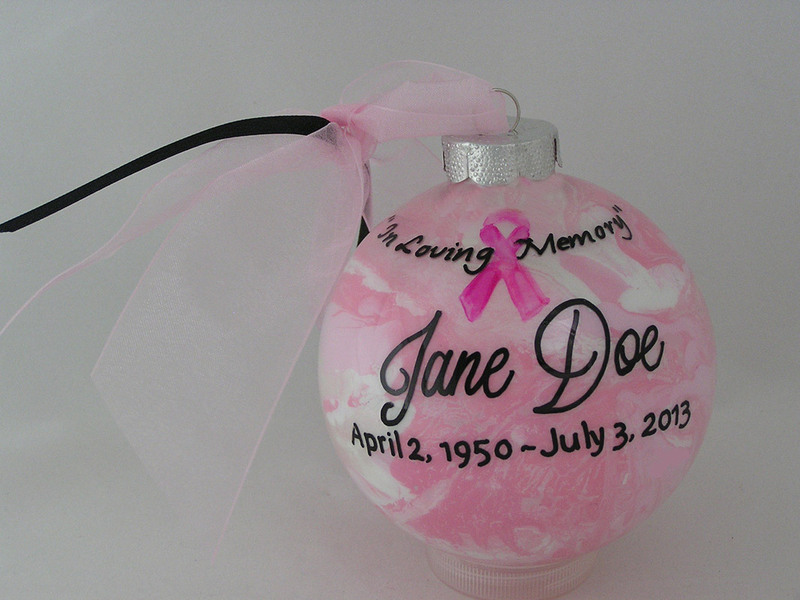 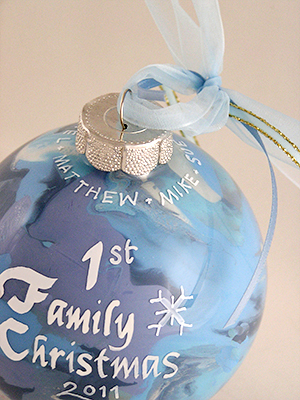 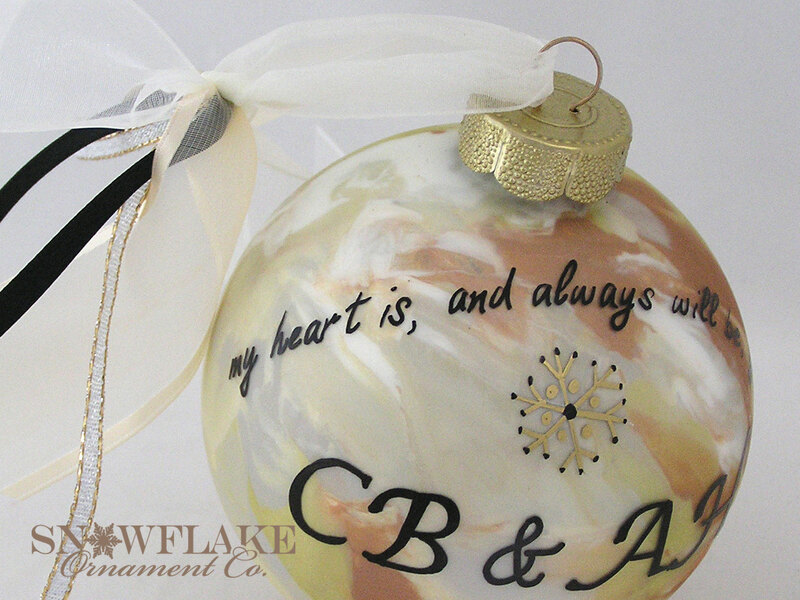 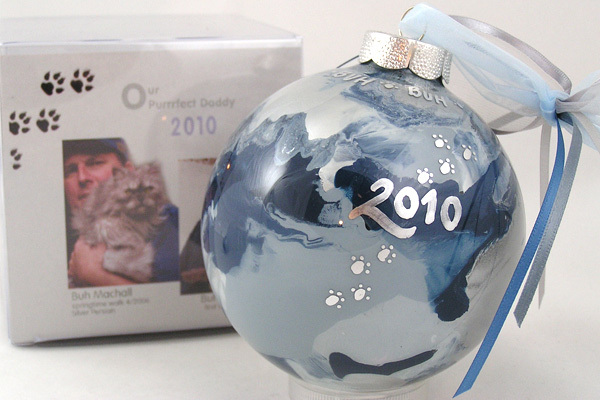 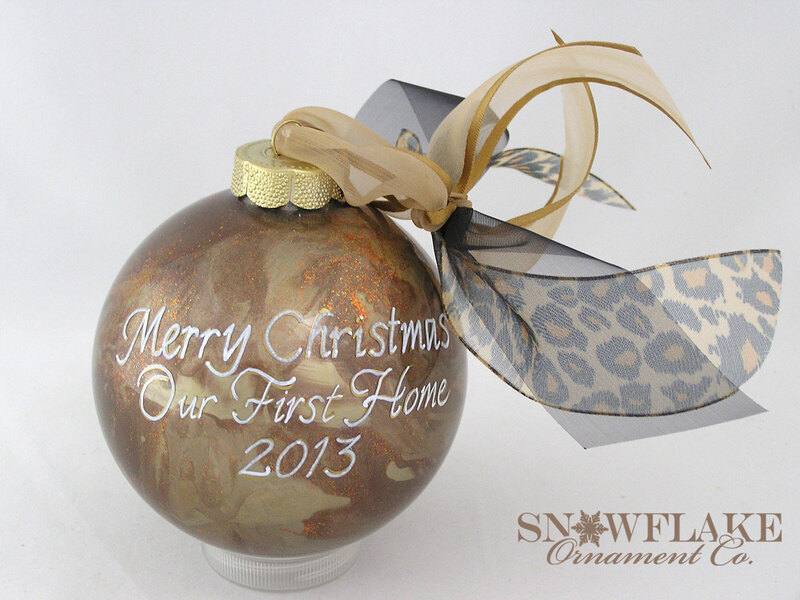 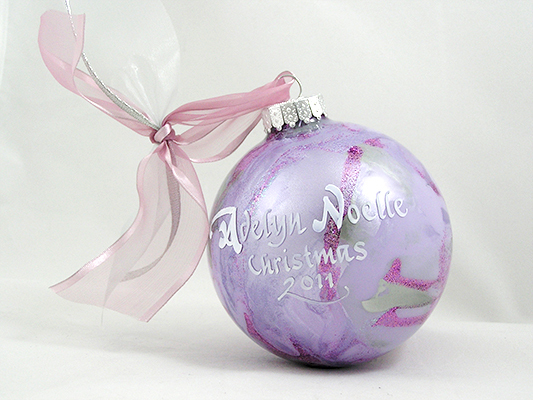 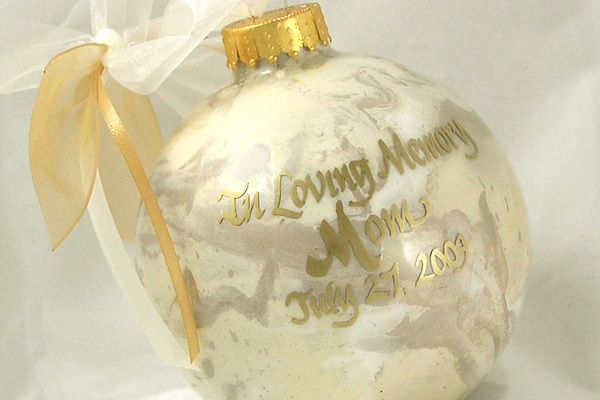 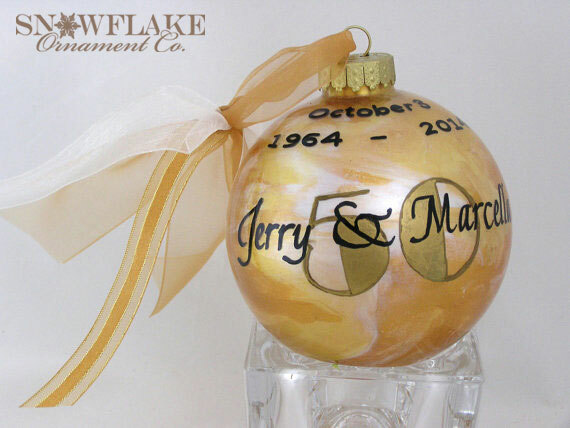 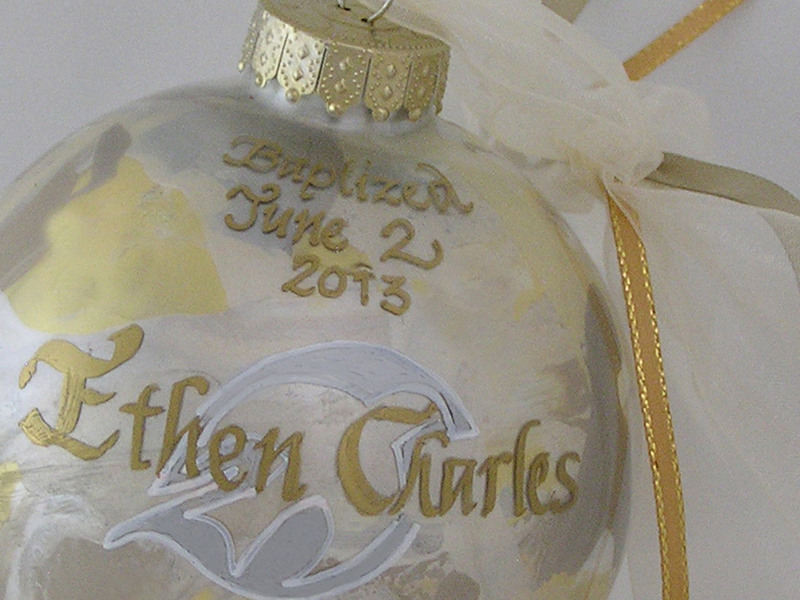 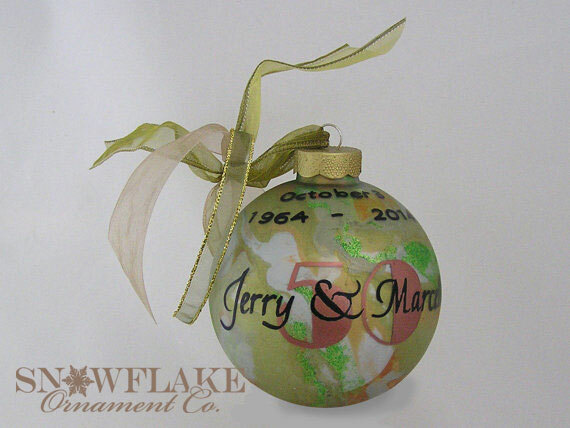 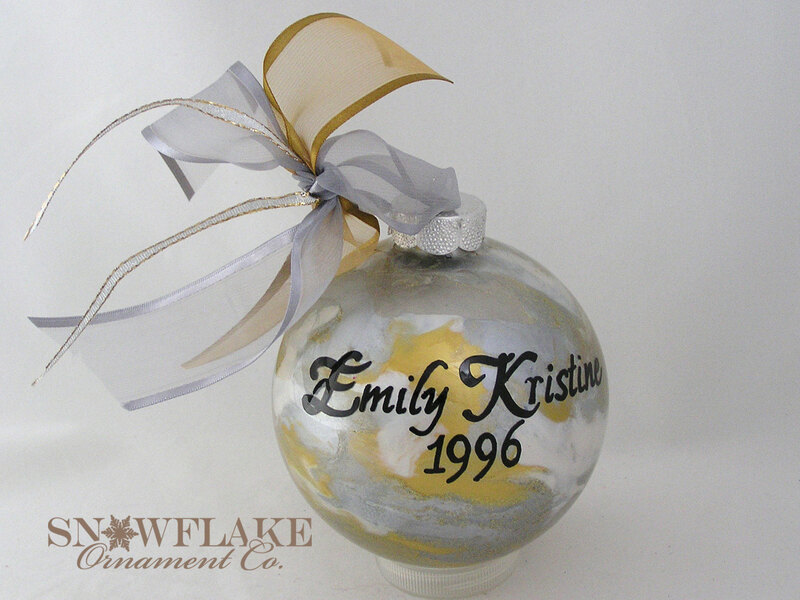 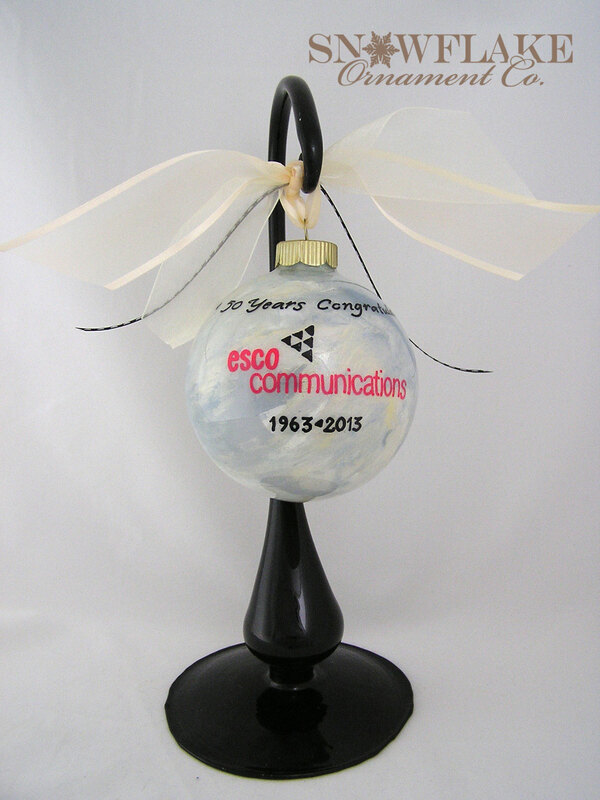 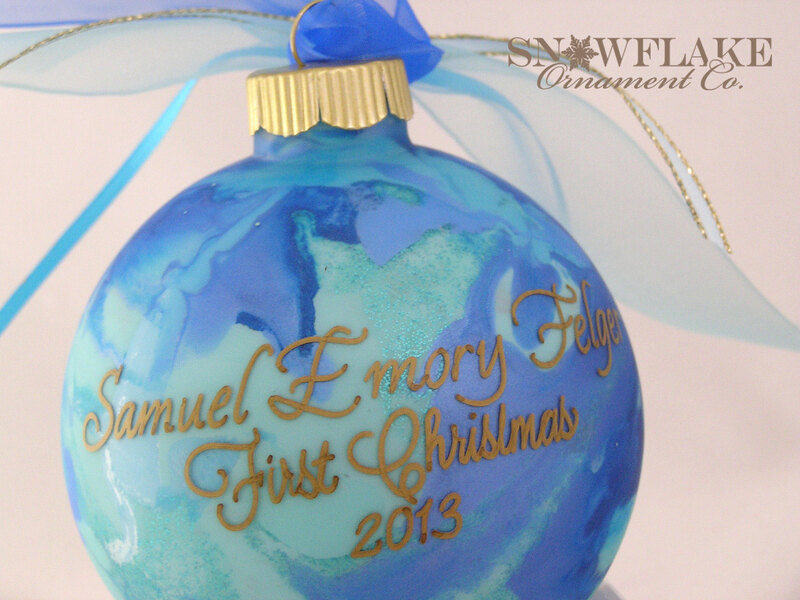 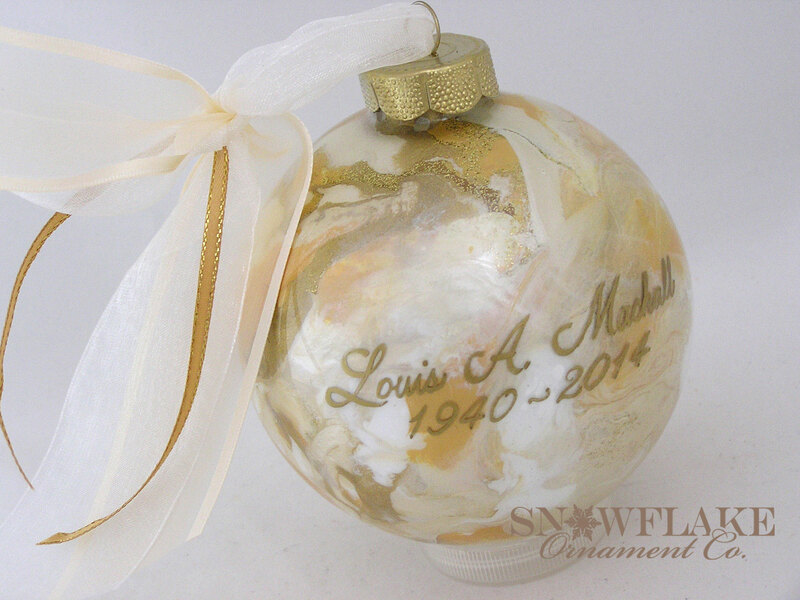 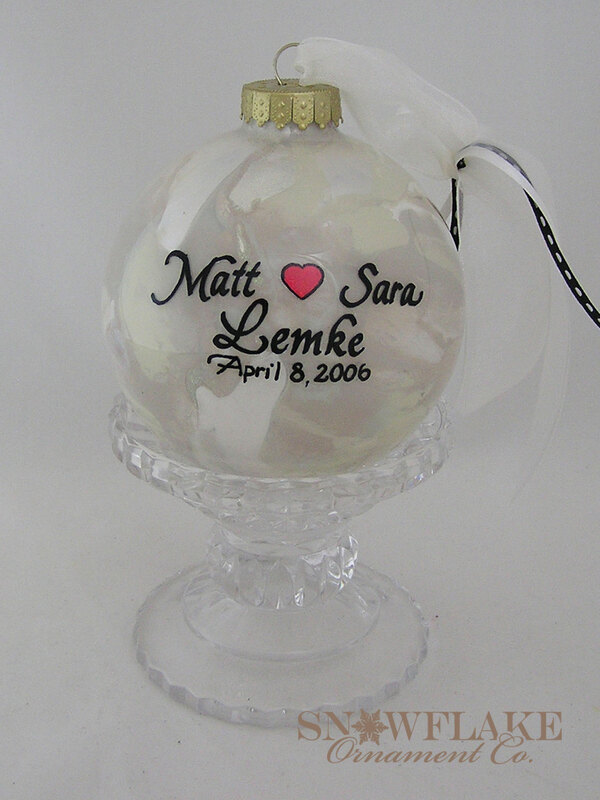 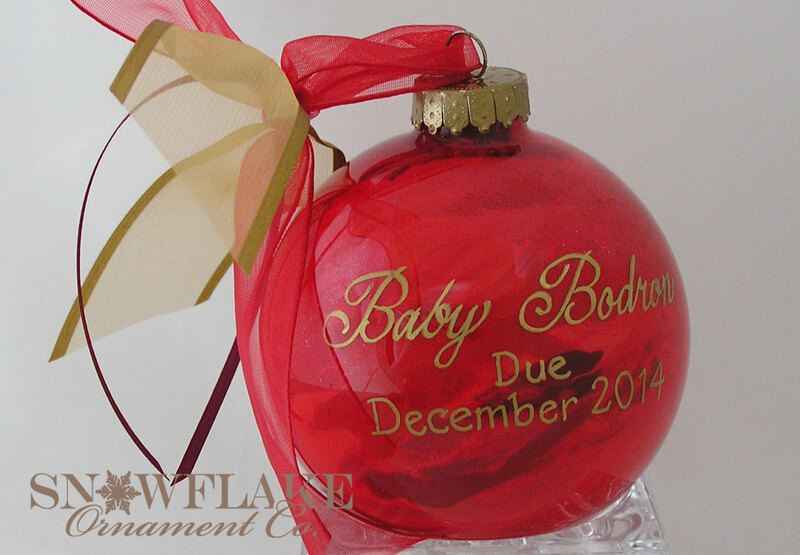 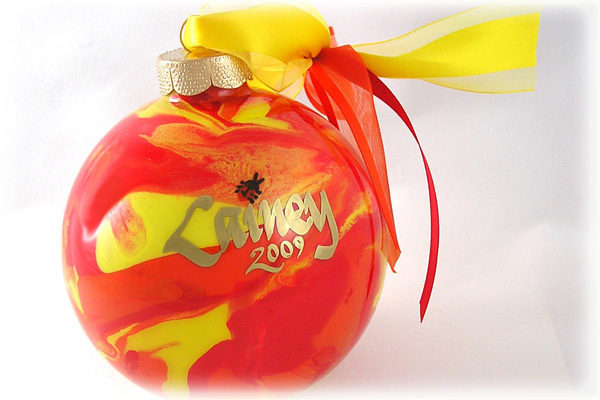 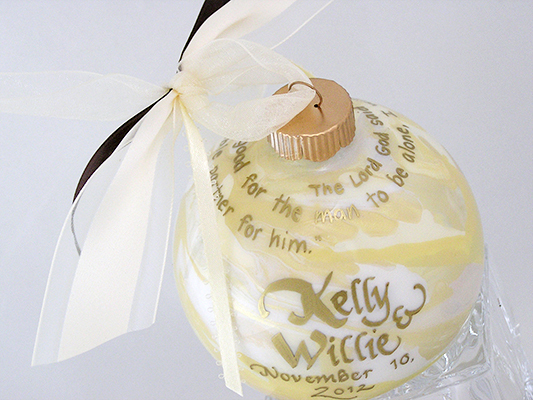 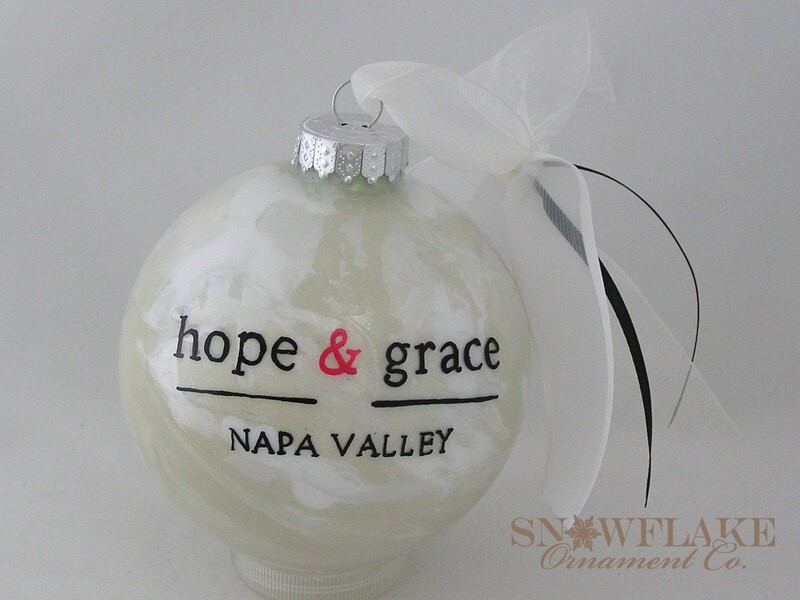 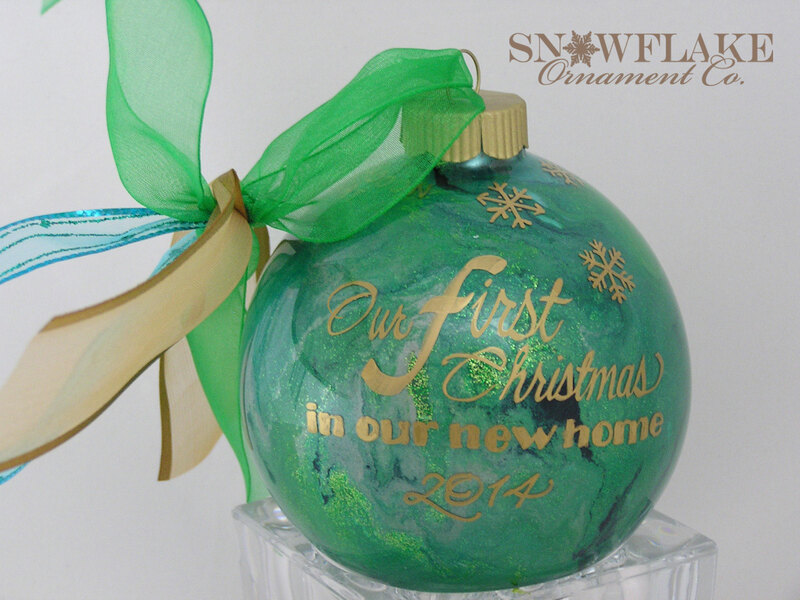 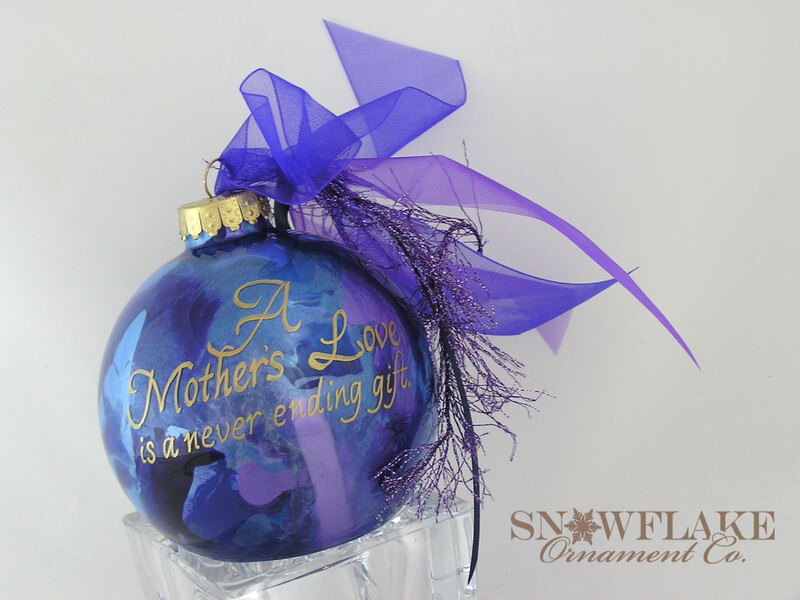 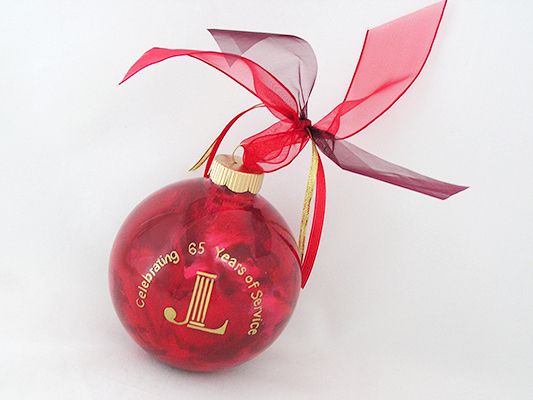 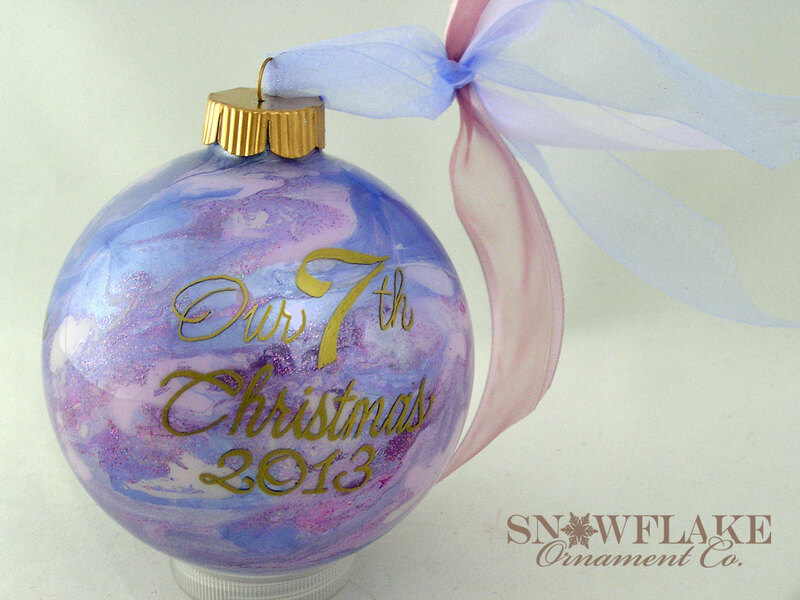 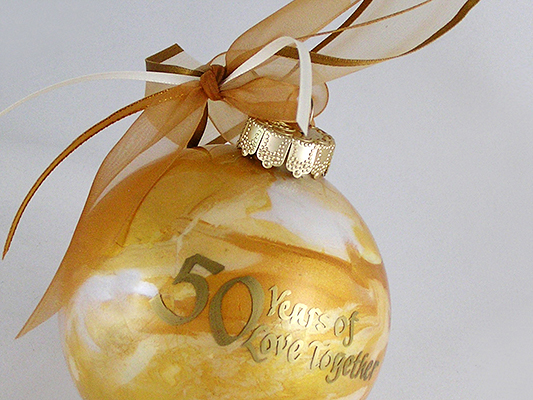 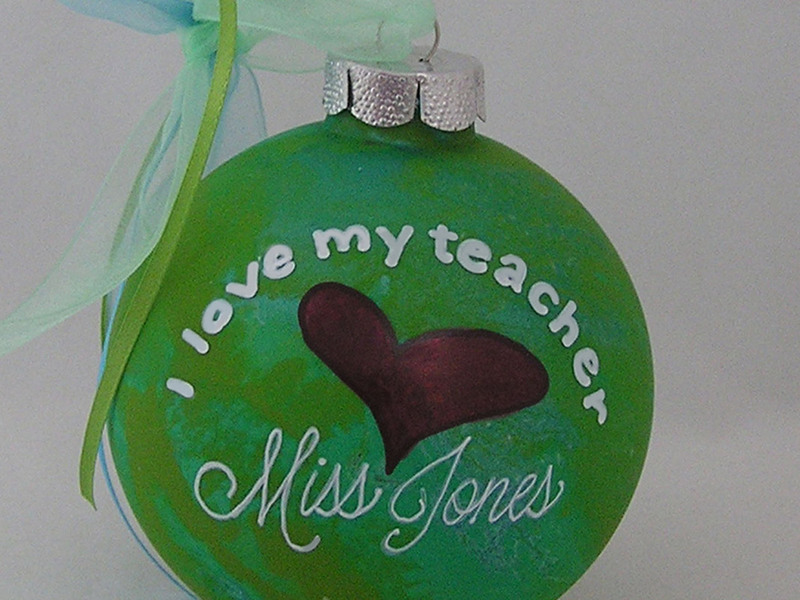 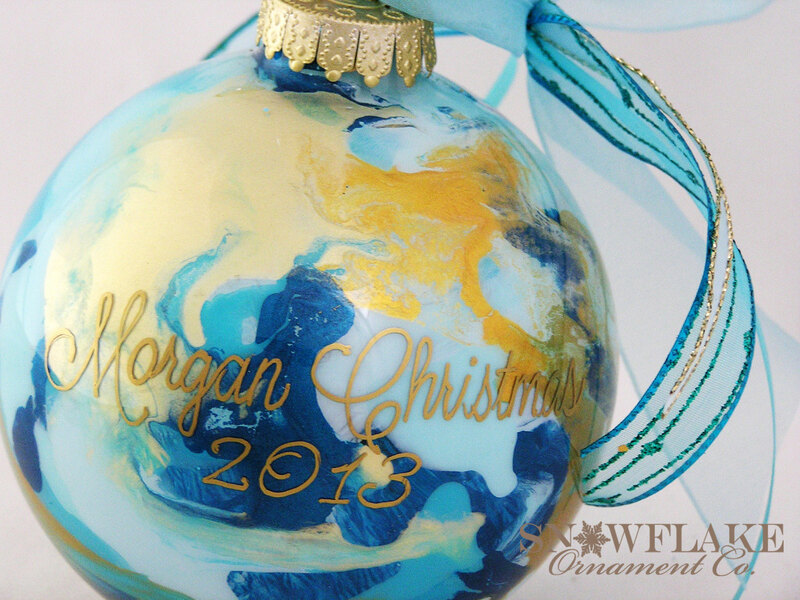 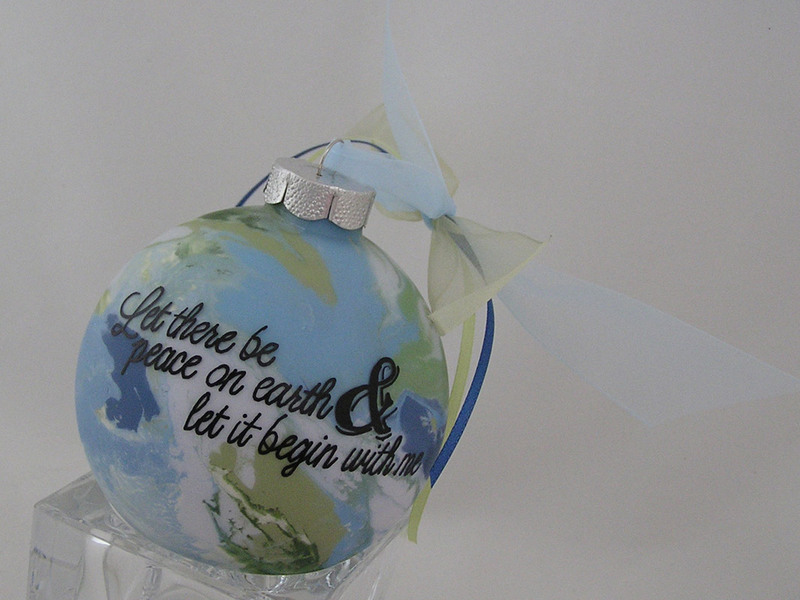 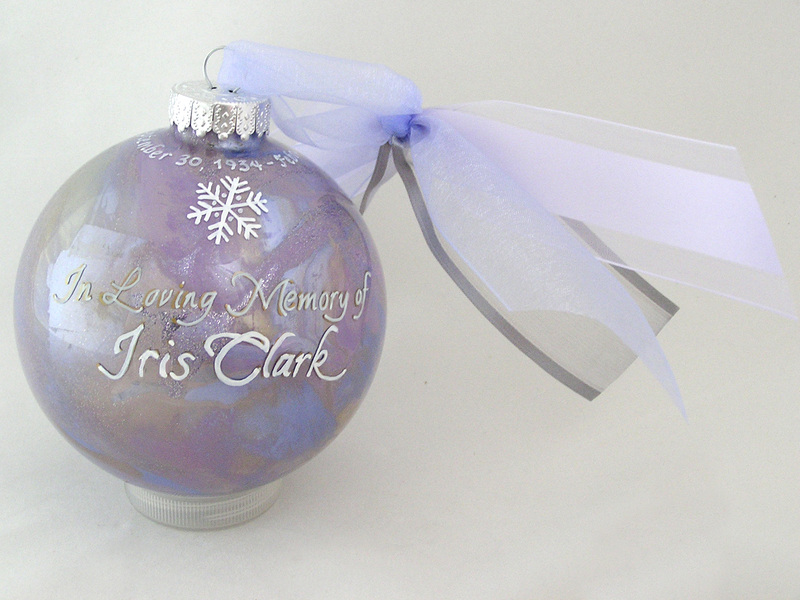 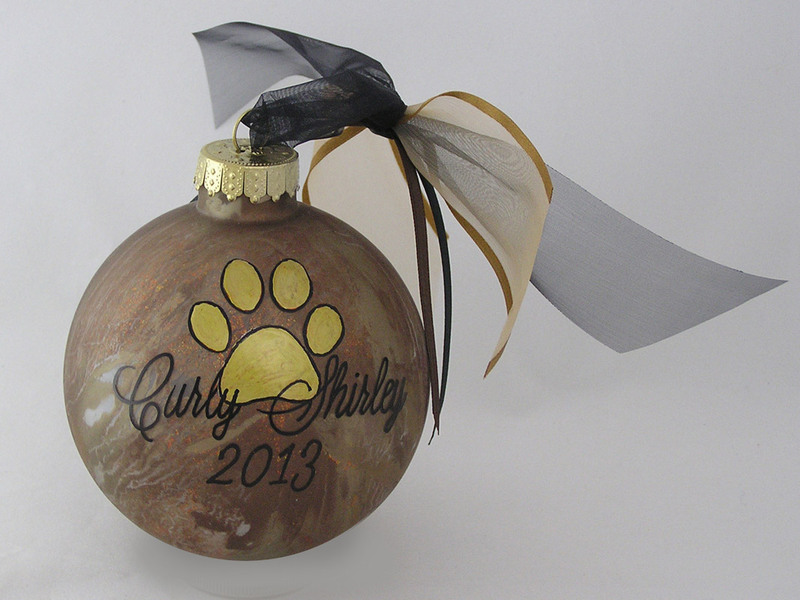 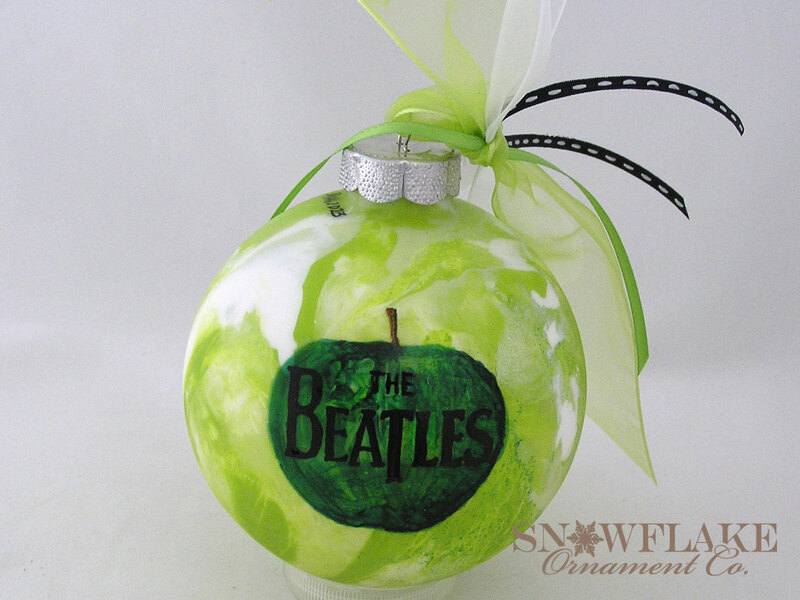 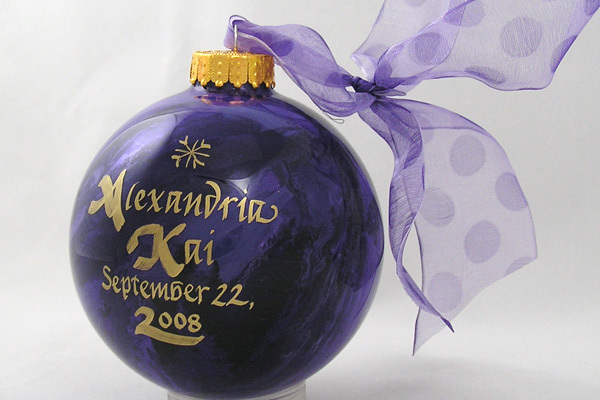 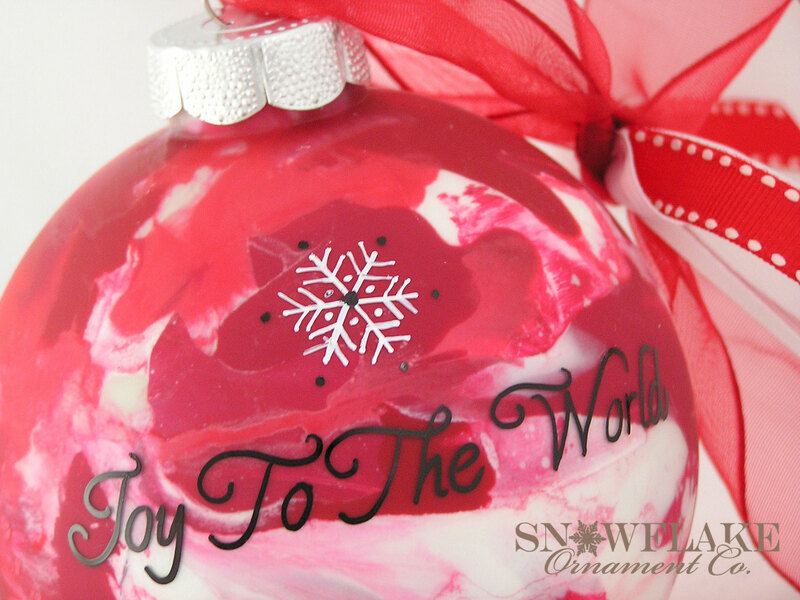 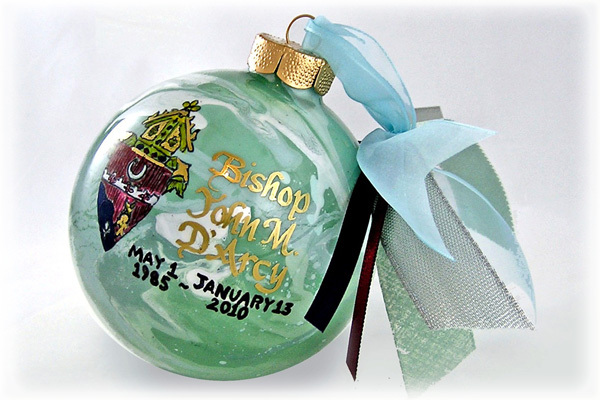 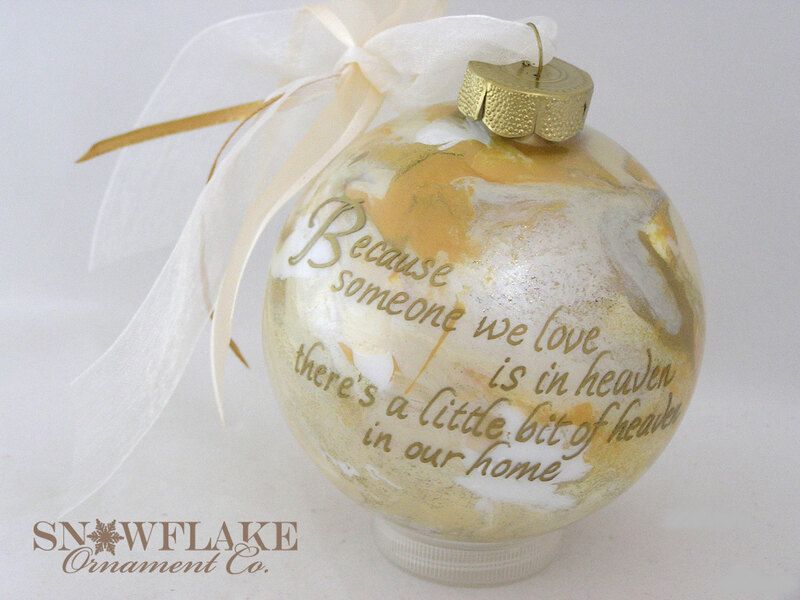 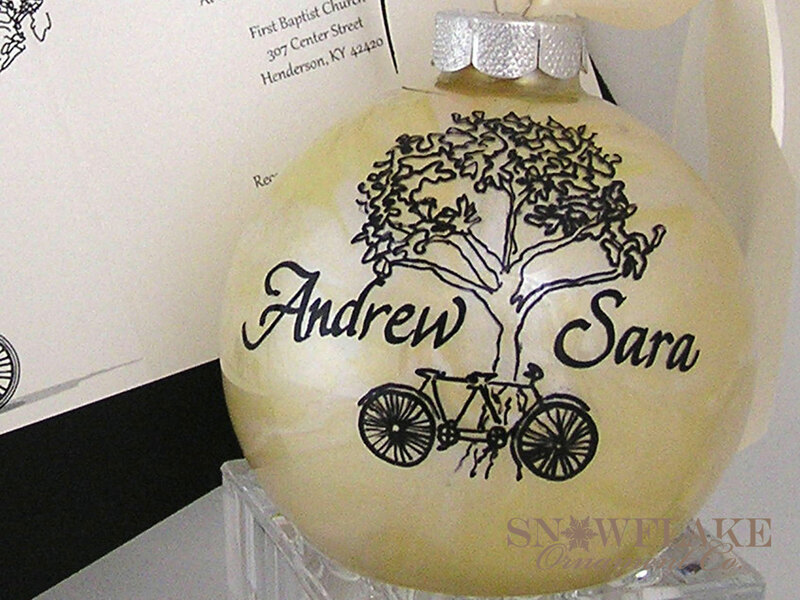 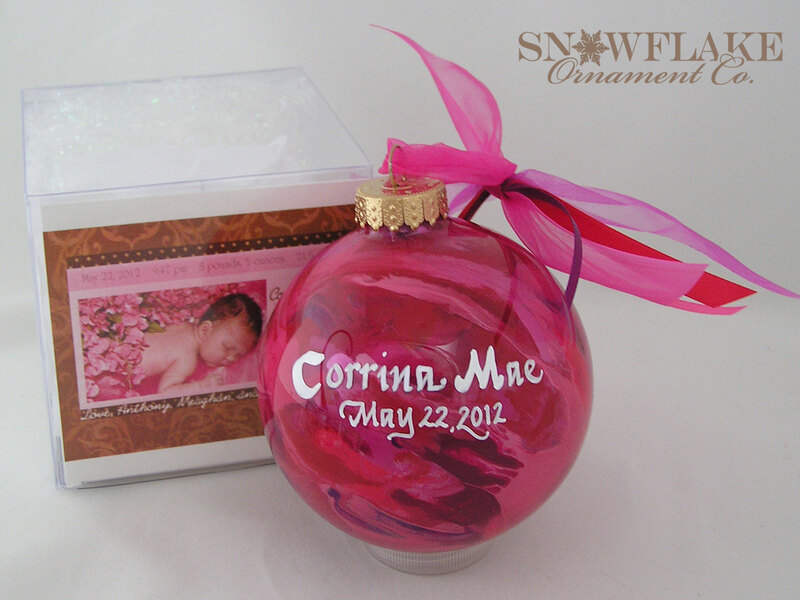 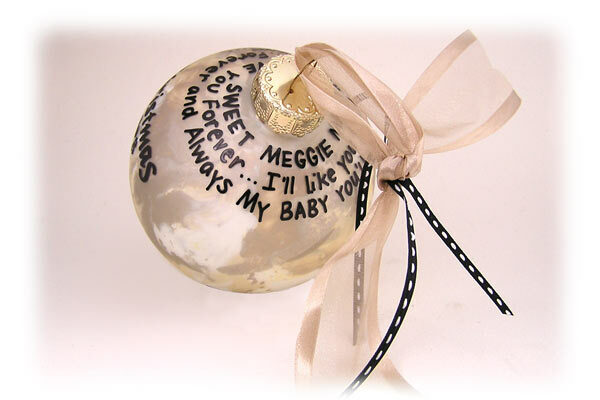 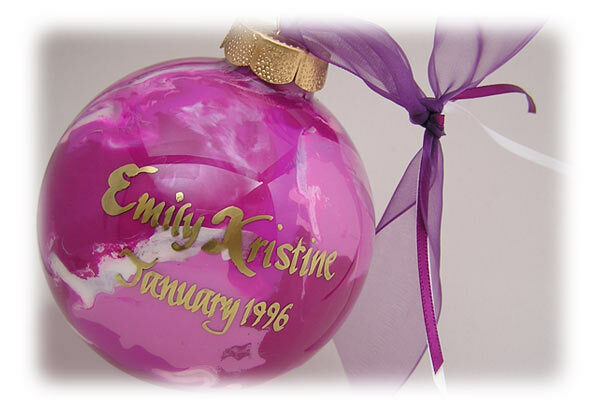 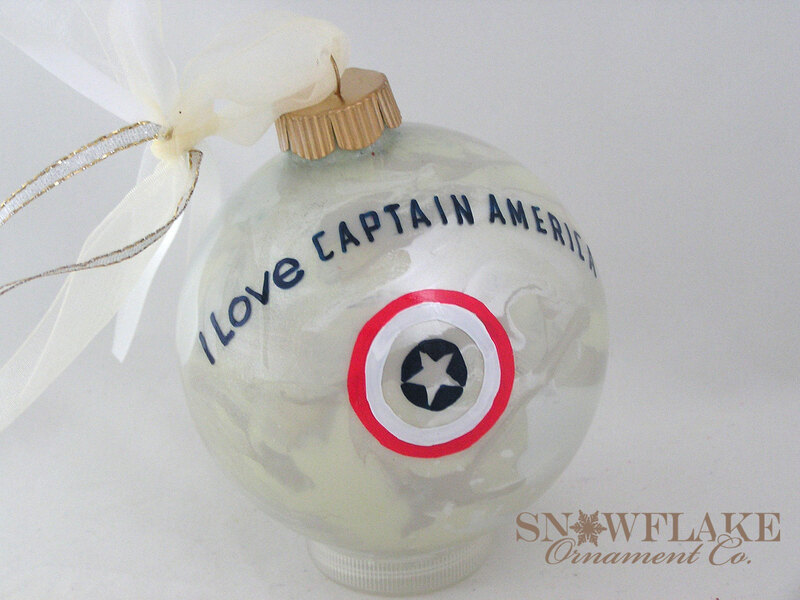 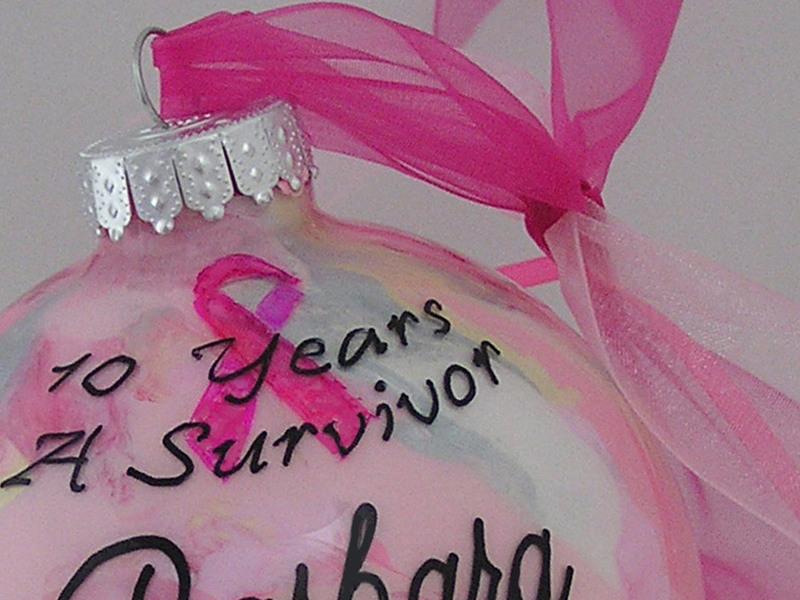 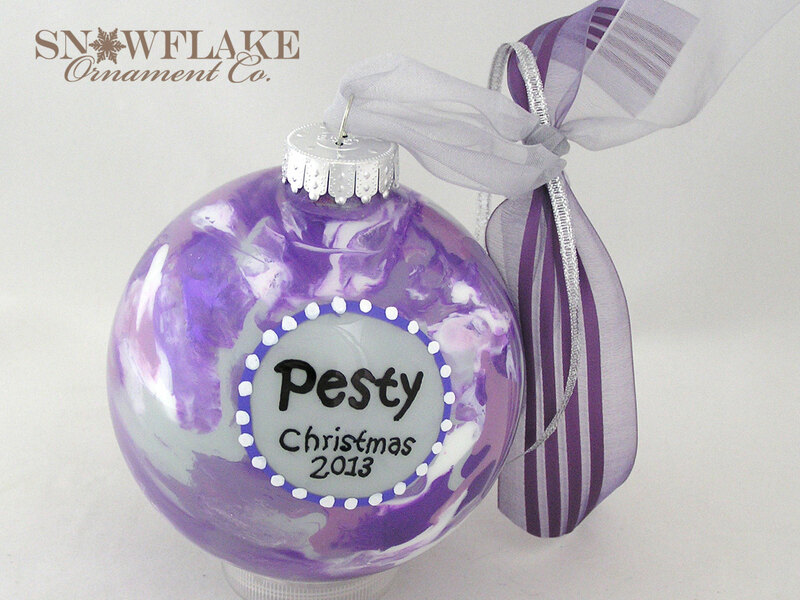 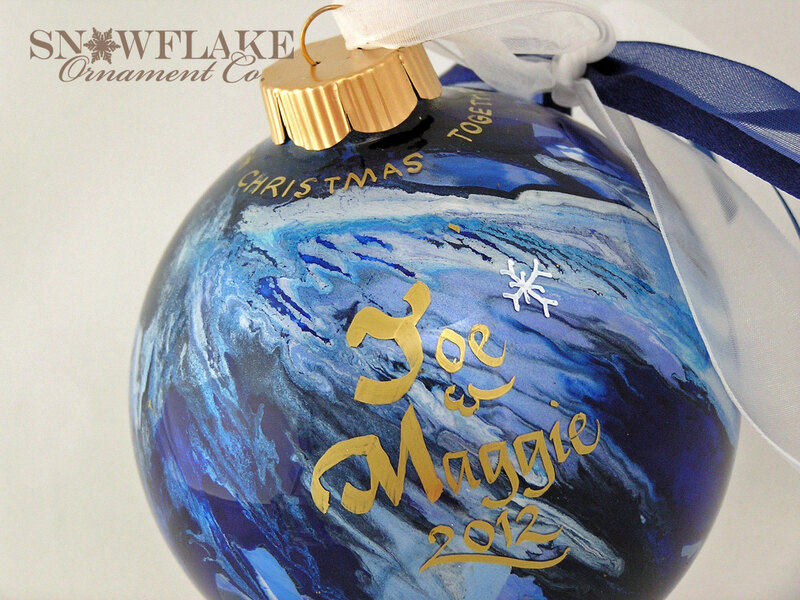 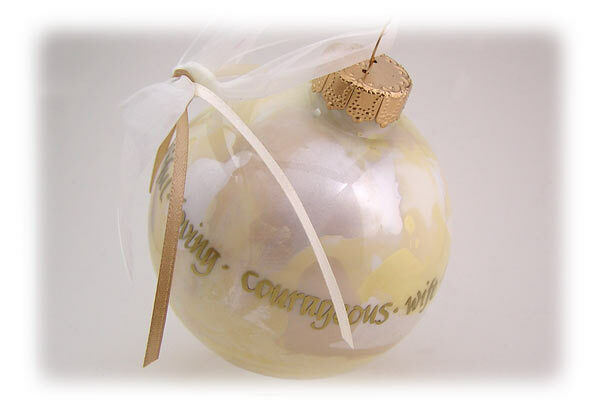 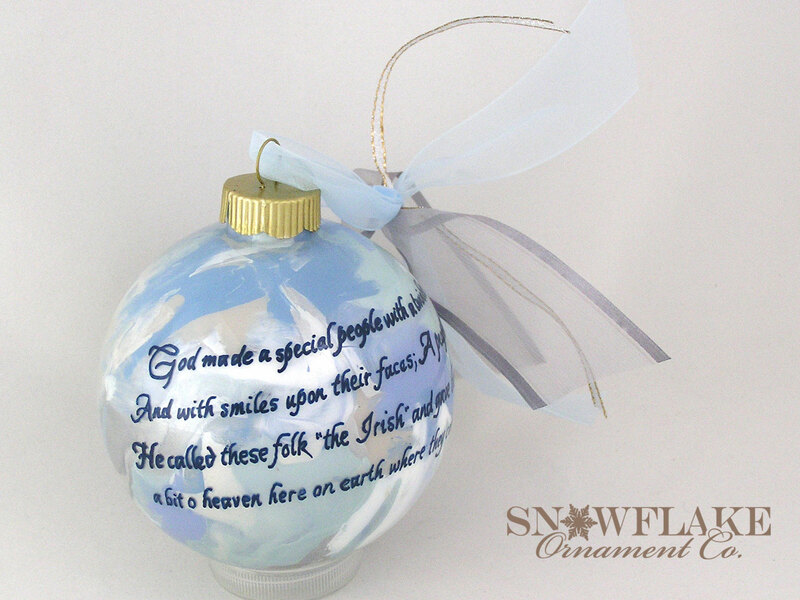 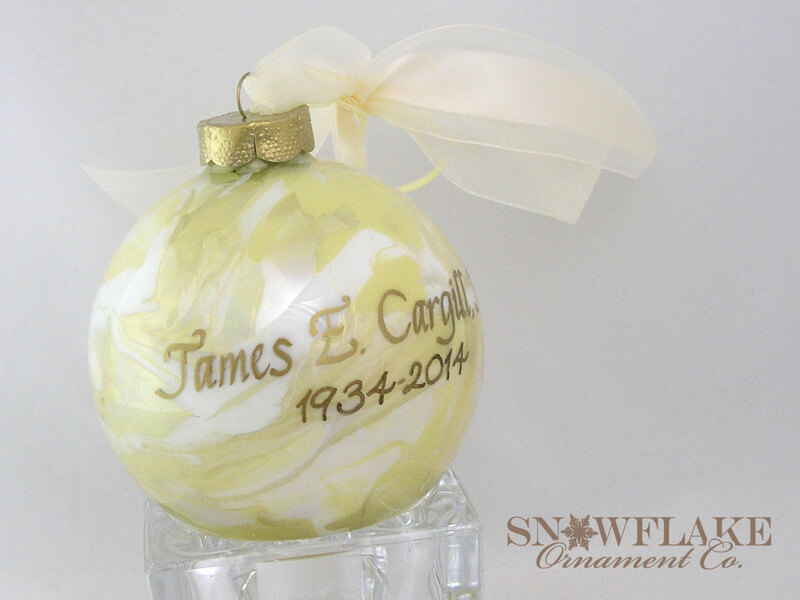 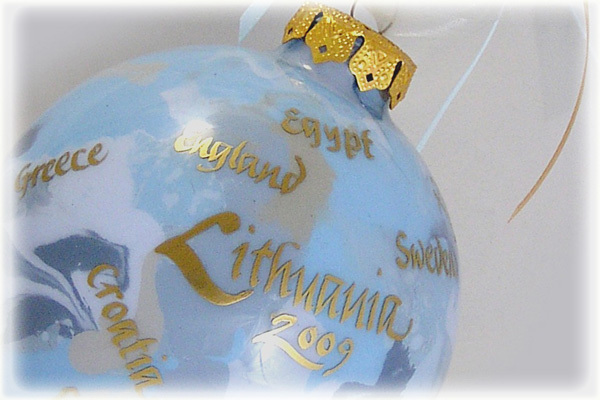 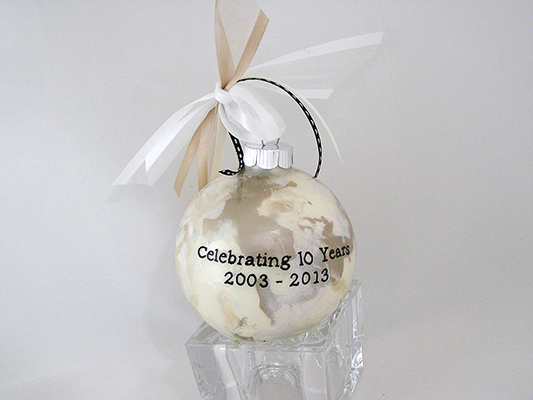 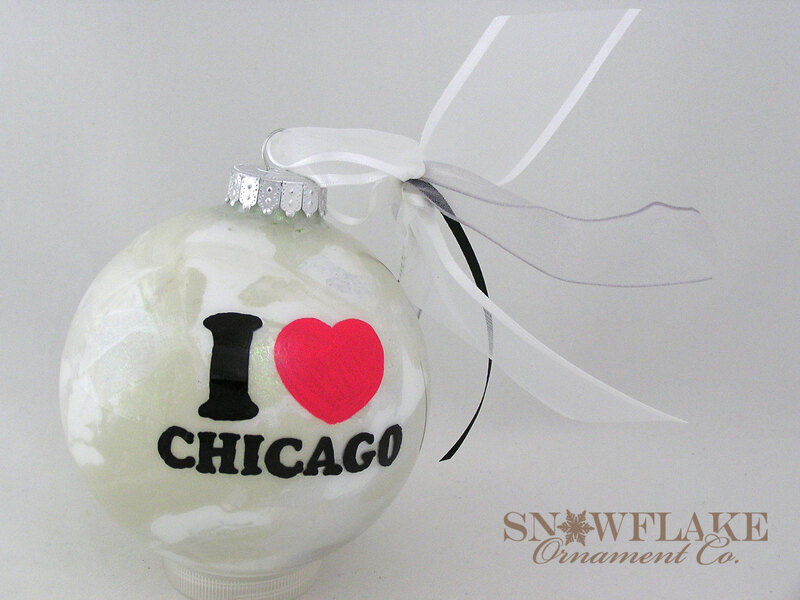 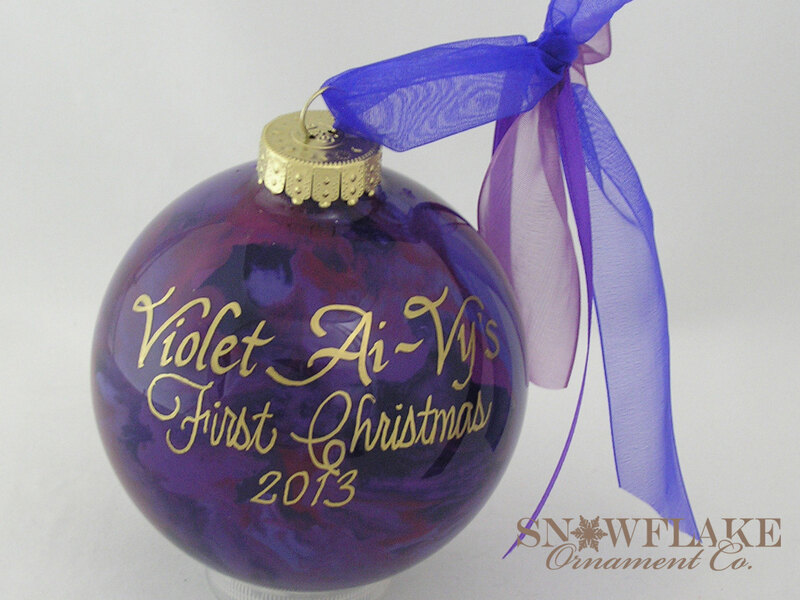 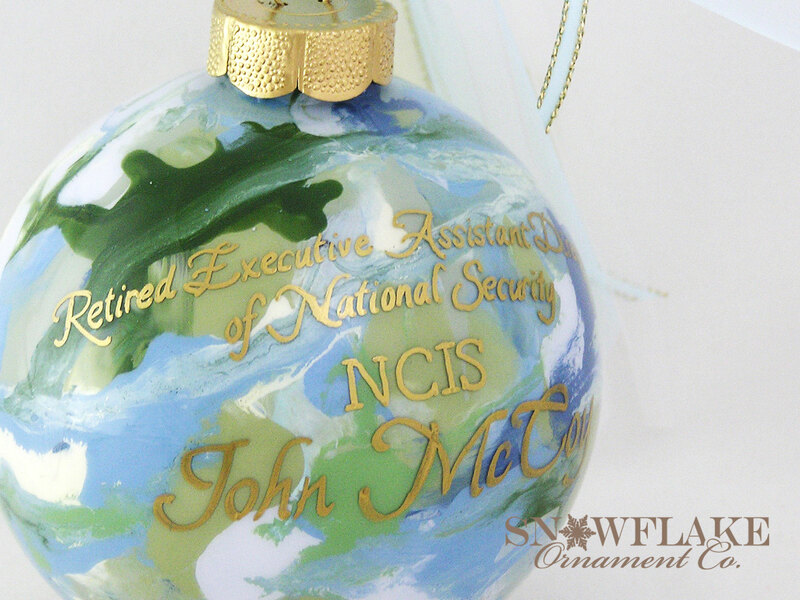 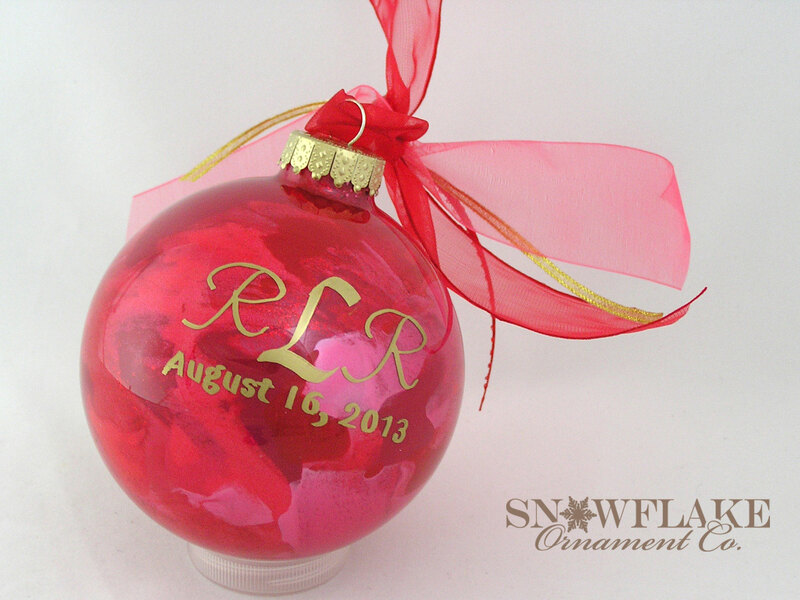 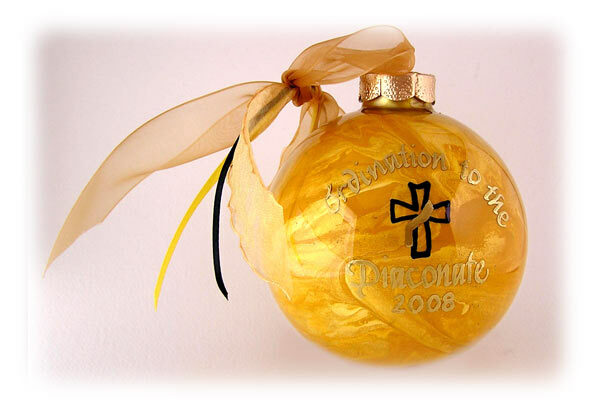 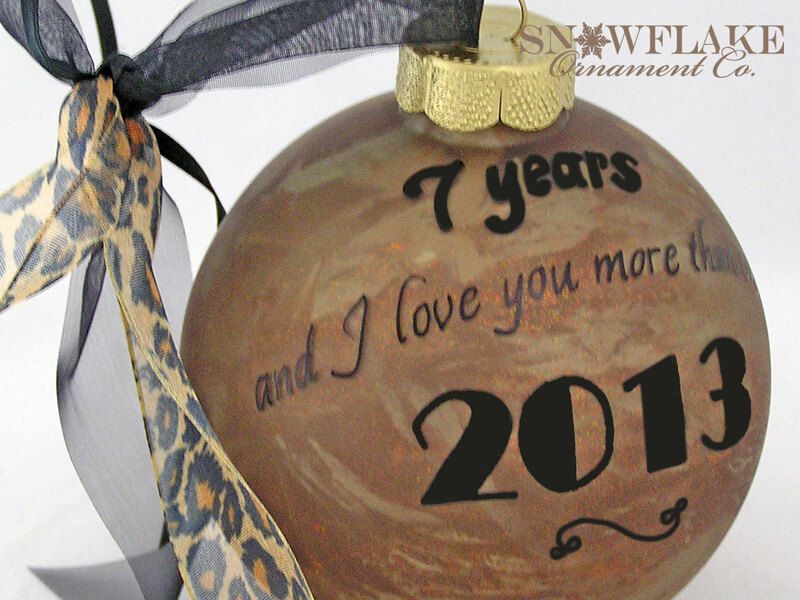 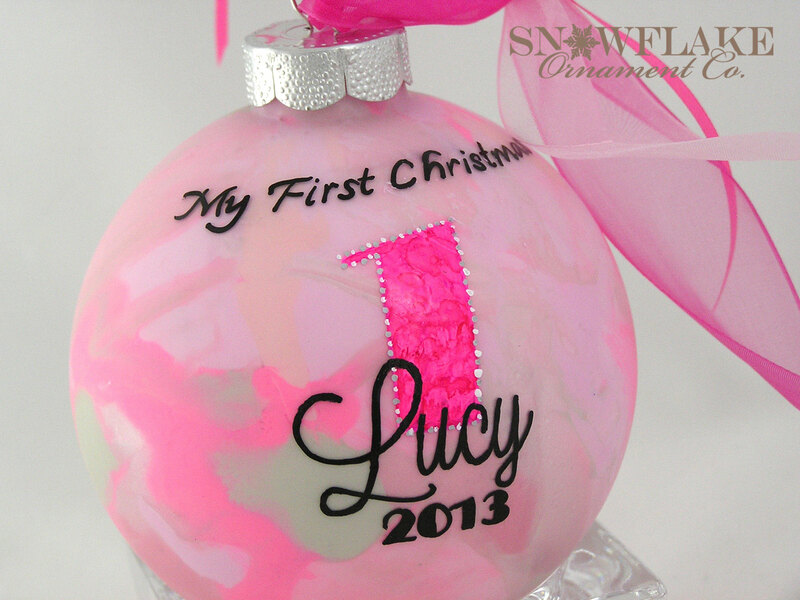 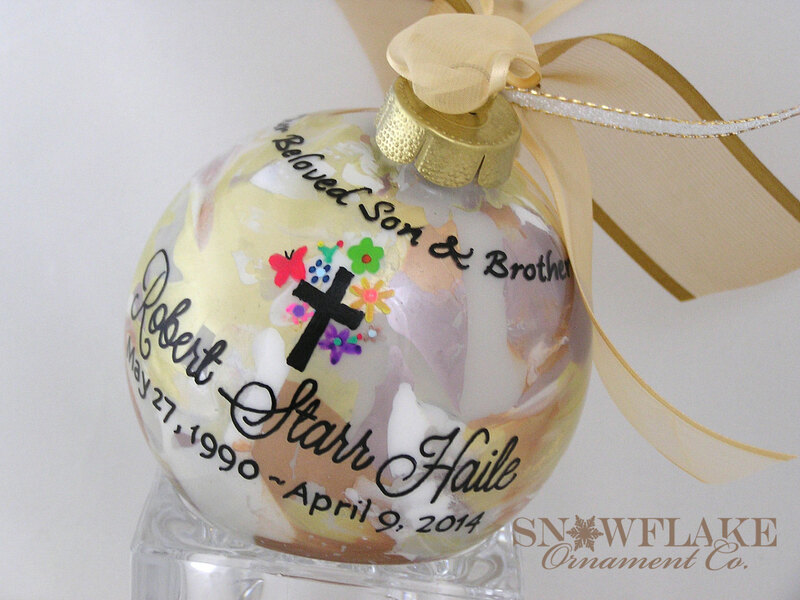 A tribute ornament commemorates a loved one. 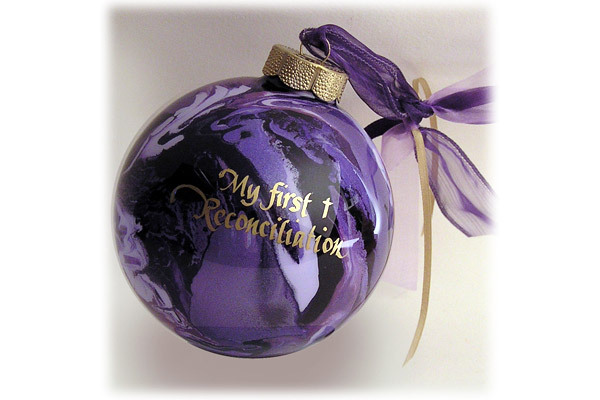 Start an annual tradition. 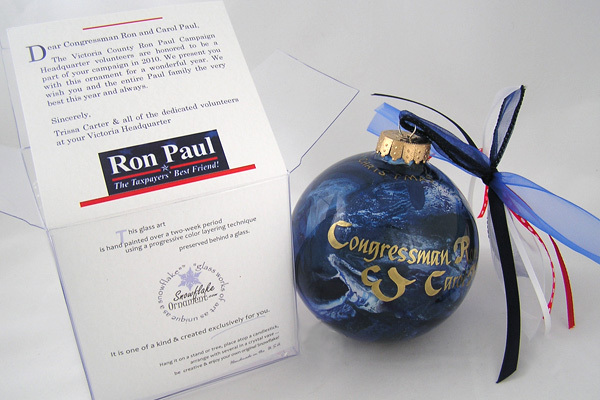 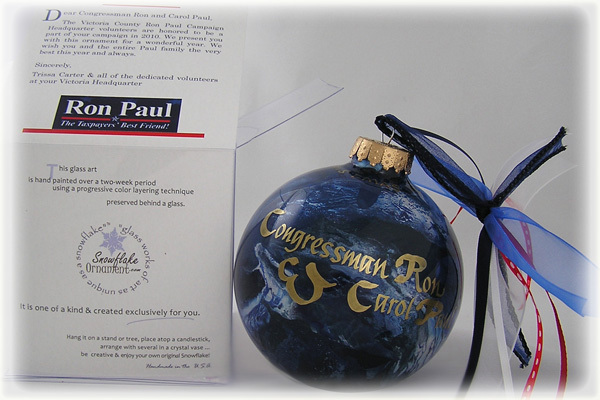 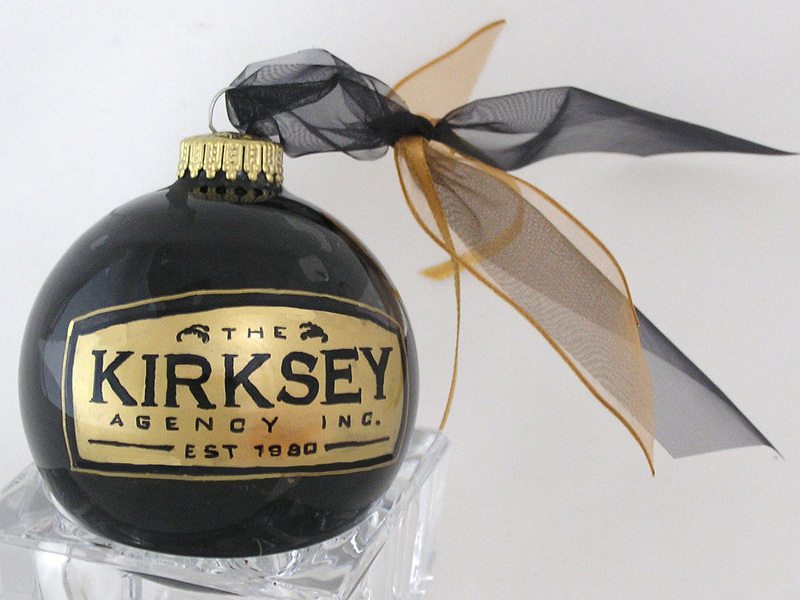 Offer your supporters a holiday ornament. 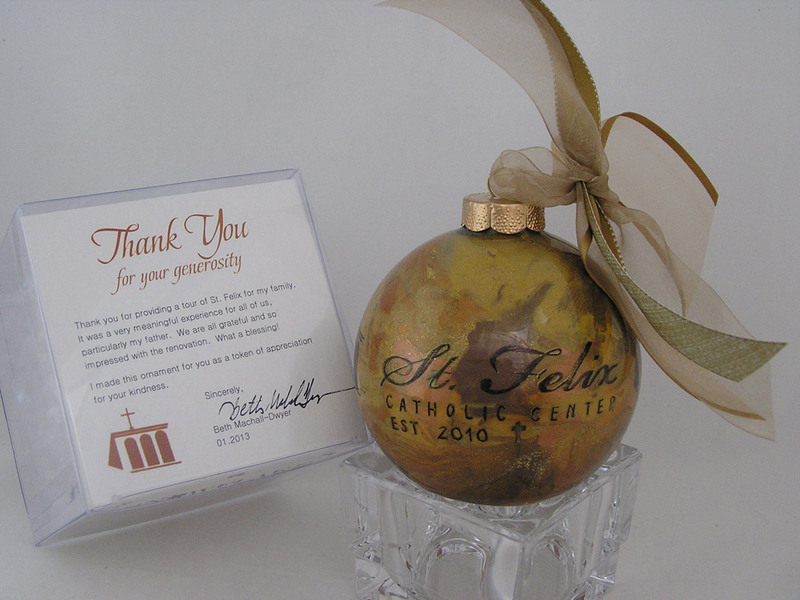 Our box card insert with your logo and message of thanks makes a great fundraiser or gift of thanks. 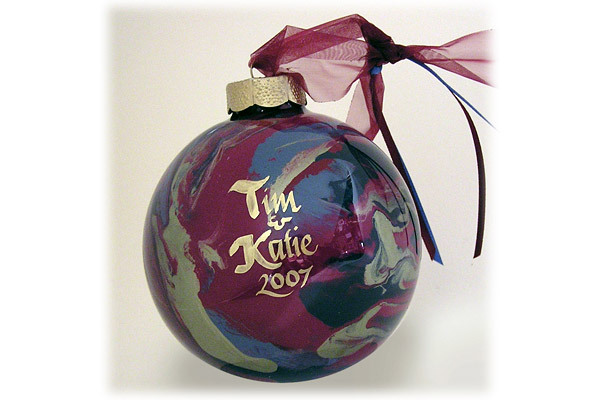 Standardize on your organization's own colors or choose a different color combination each year. 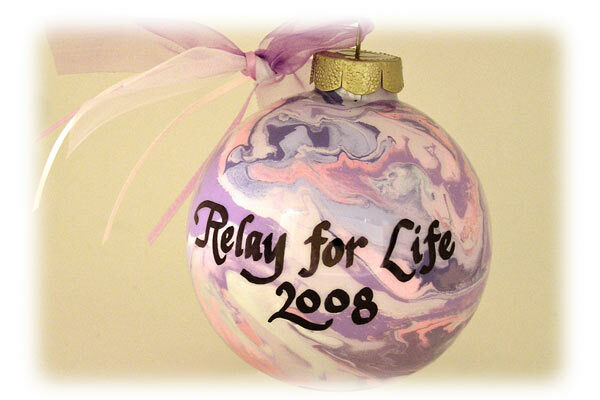 View our fundraisers page. 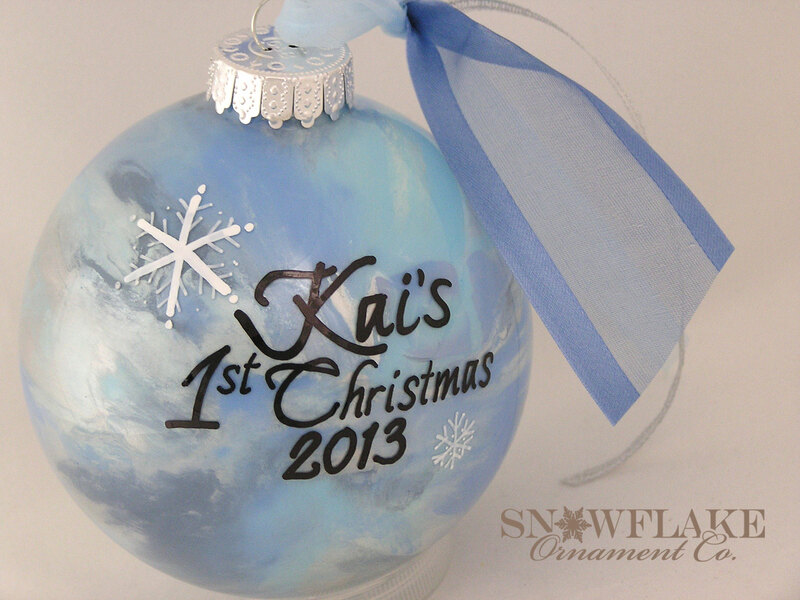 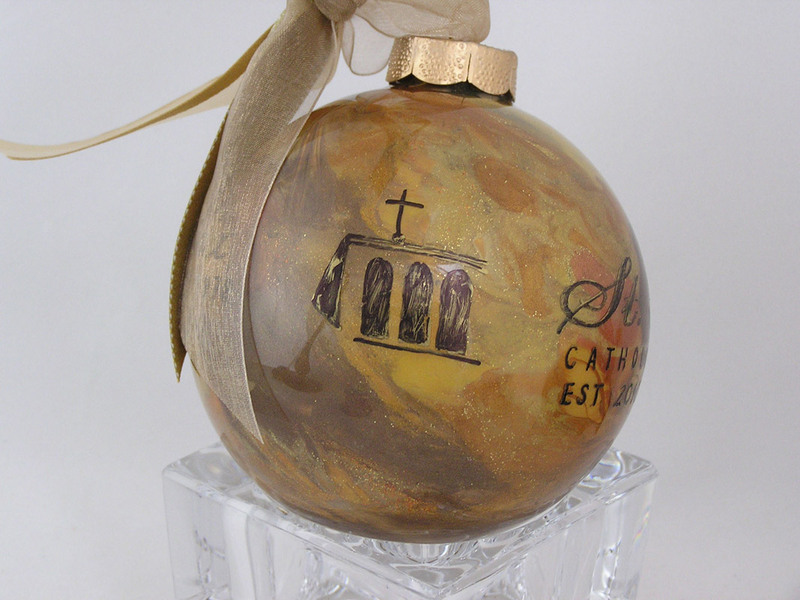 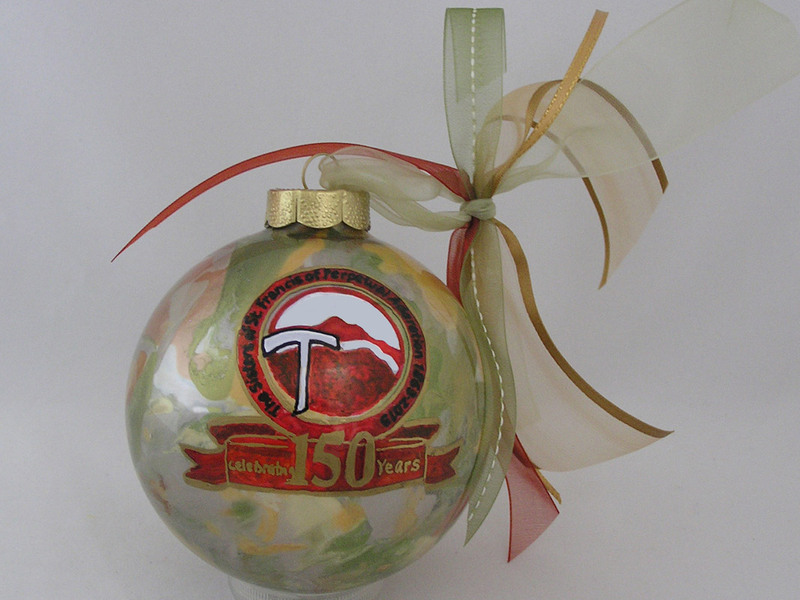 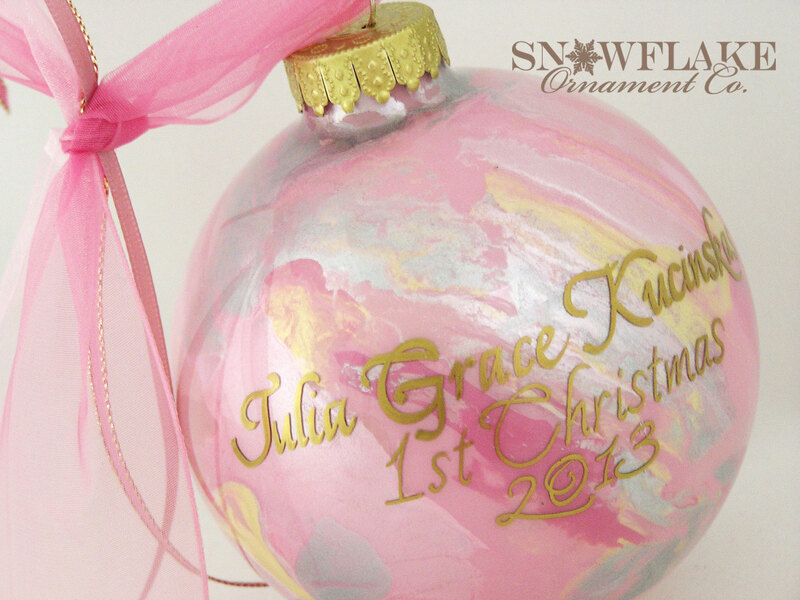 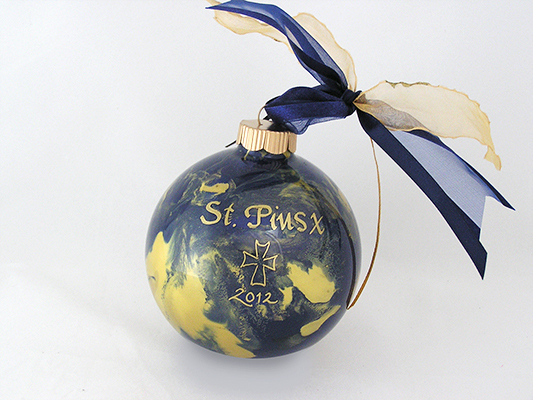 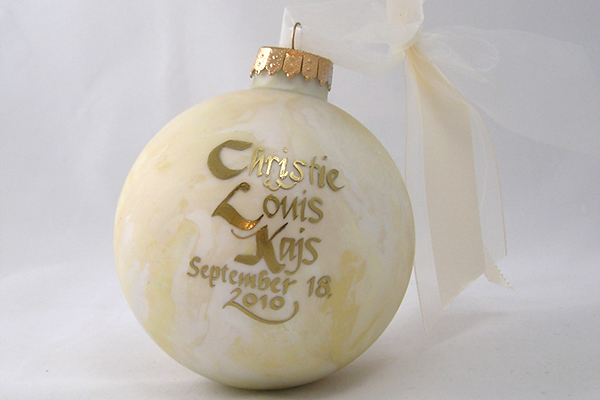 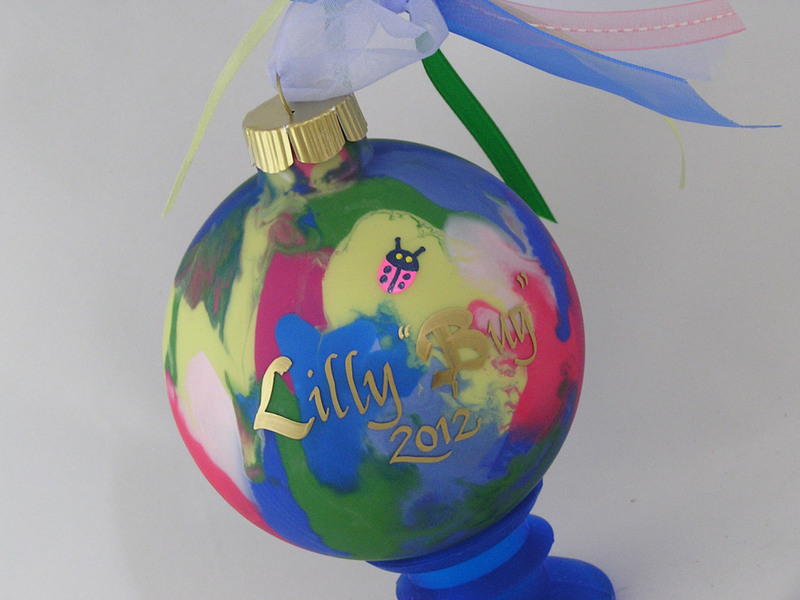 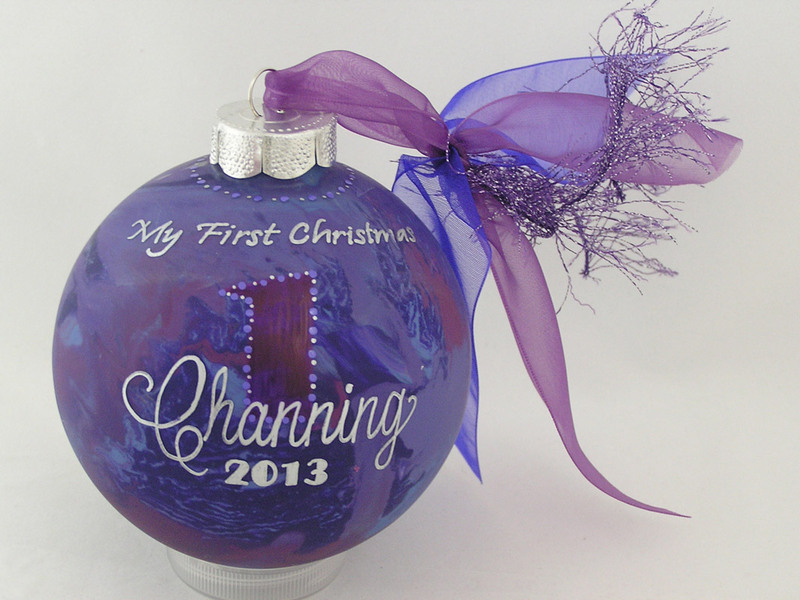 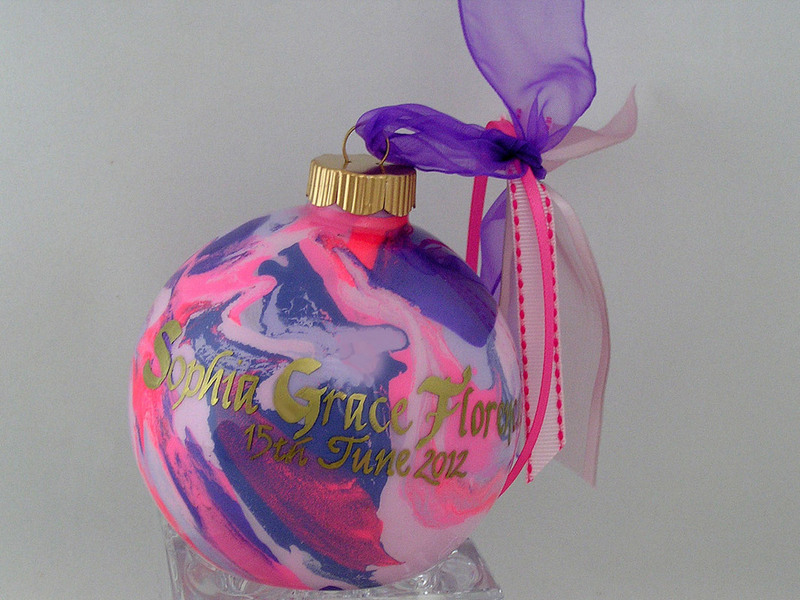 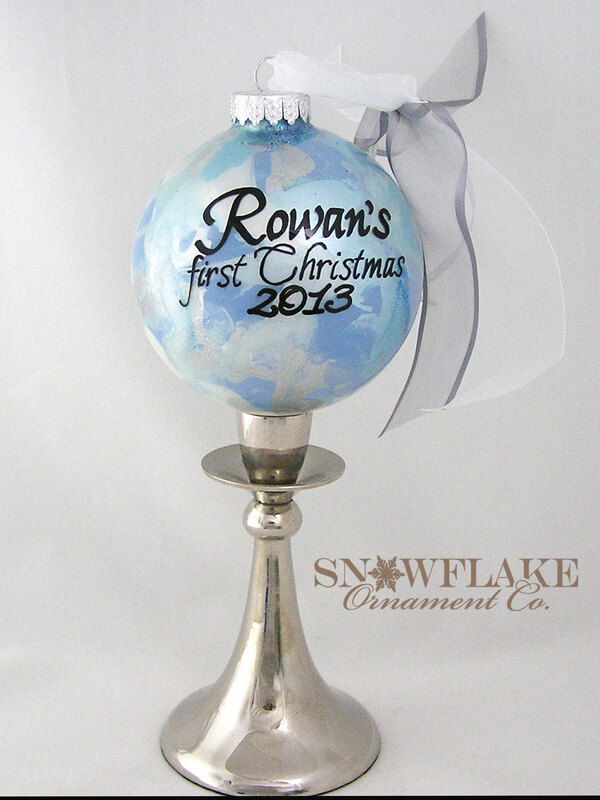 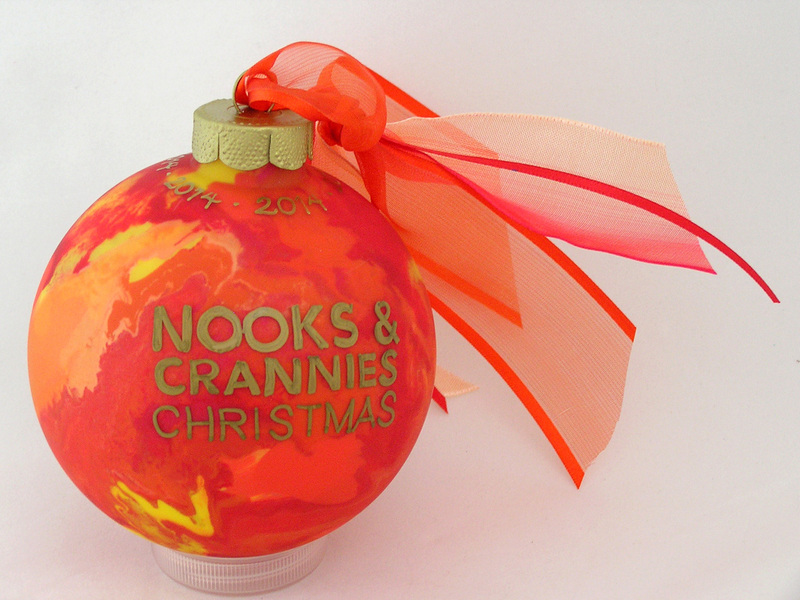 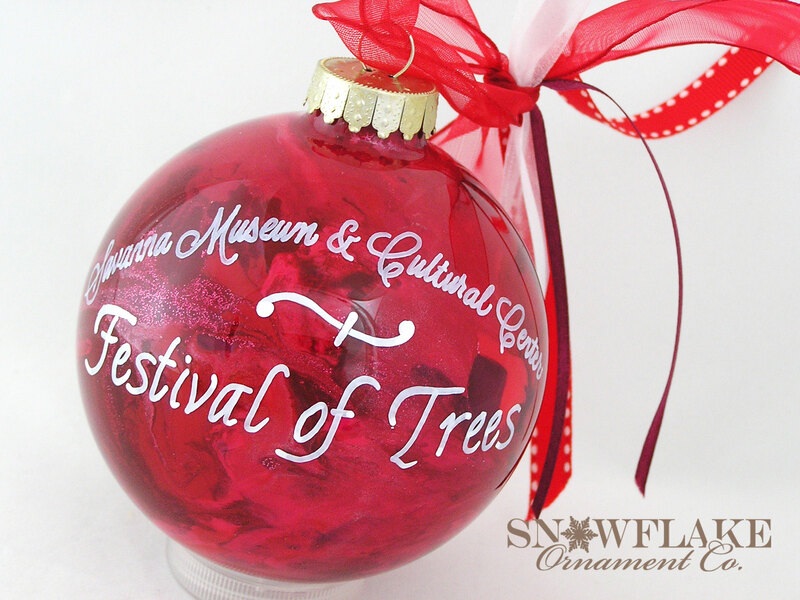 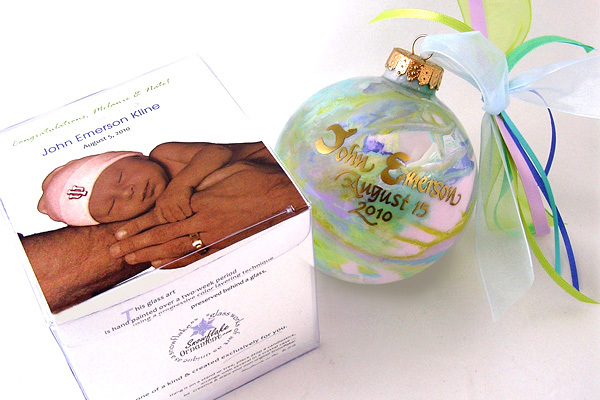 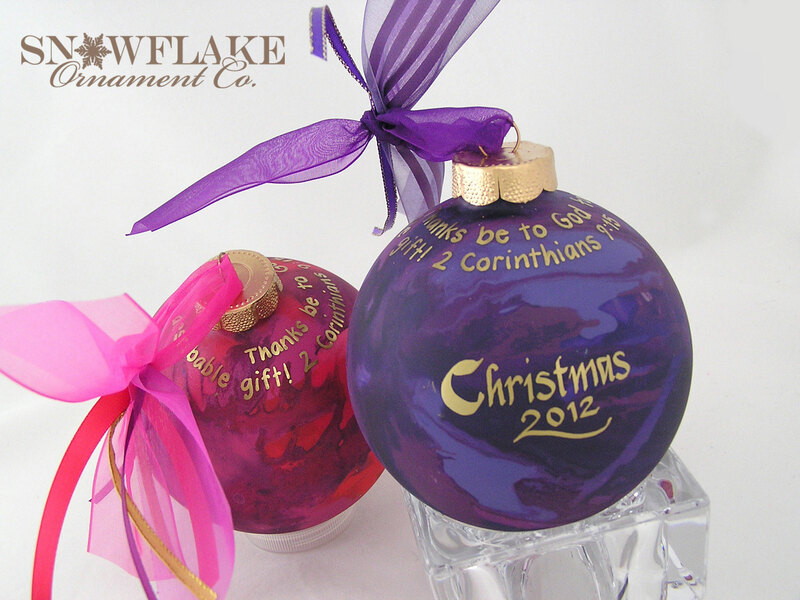 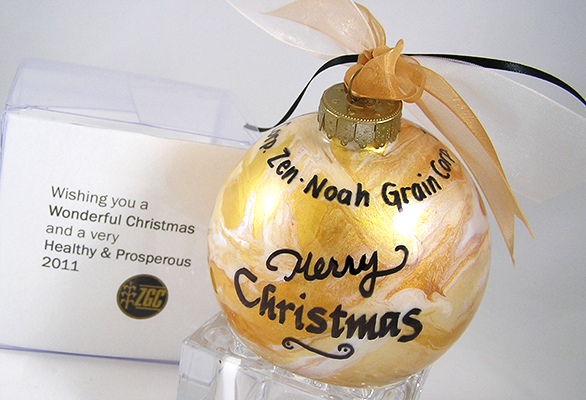 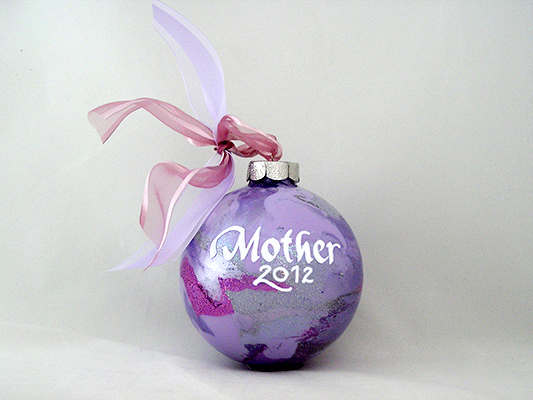 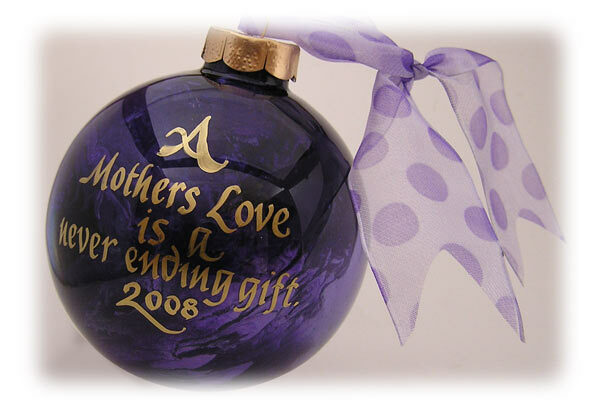 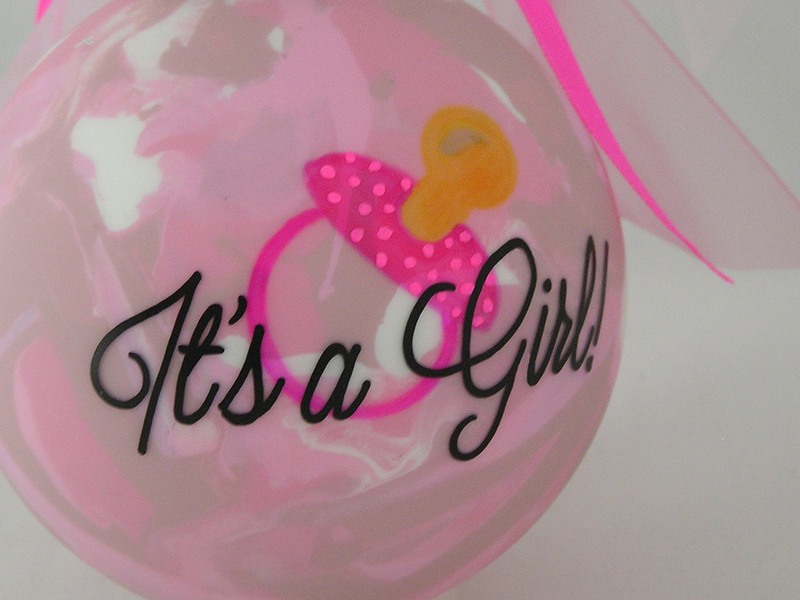 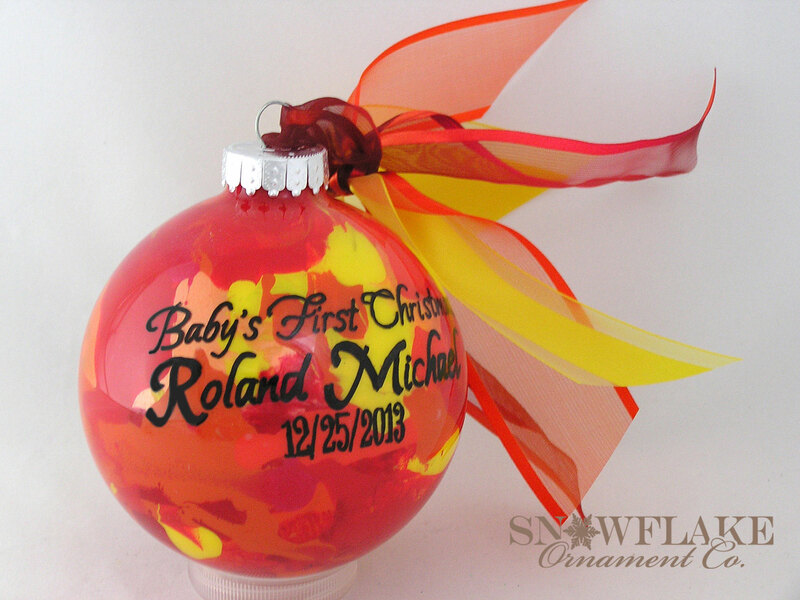 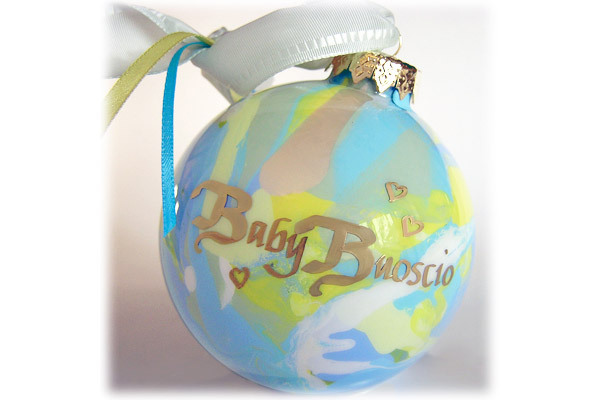 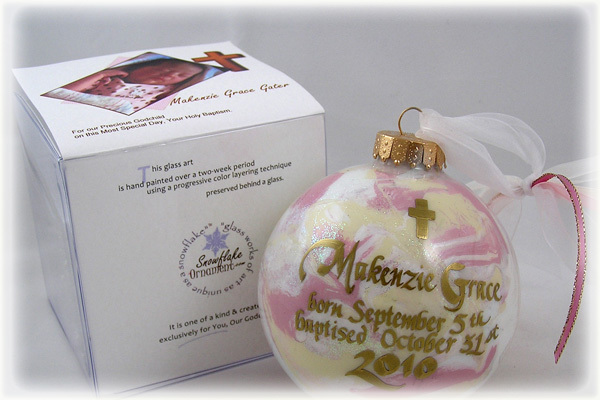 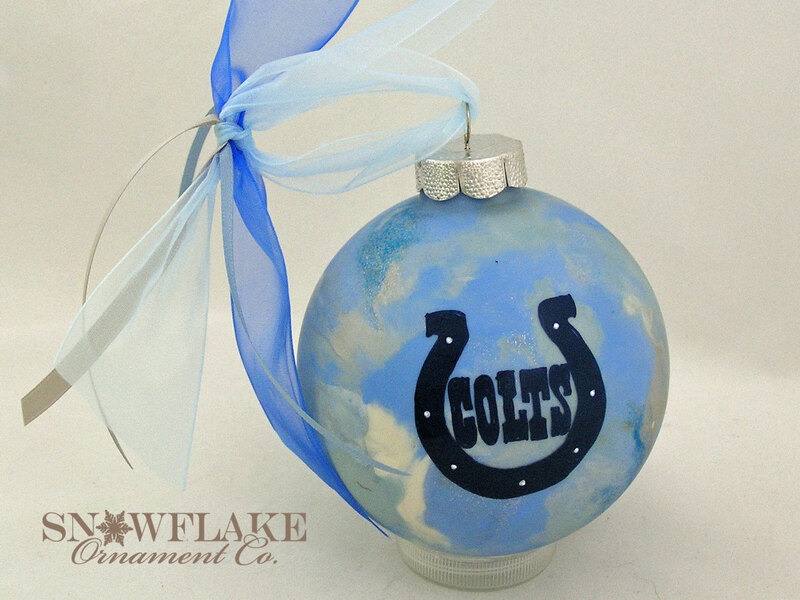 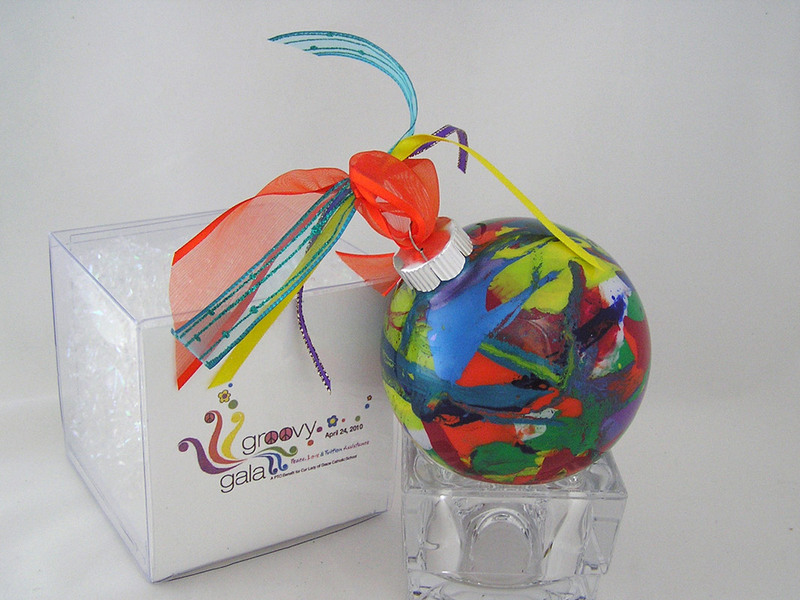 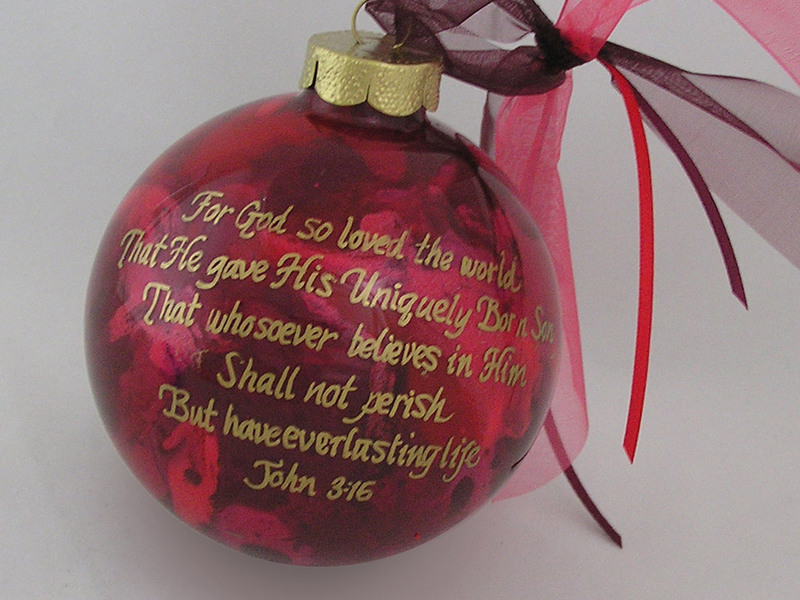 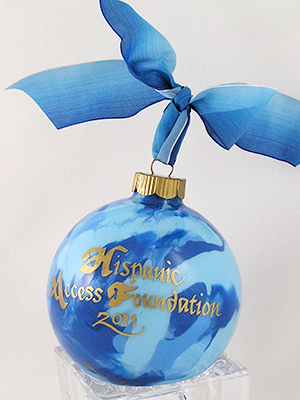 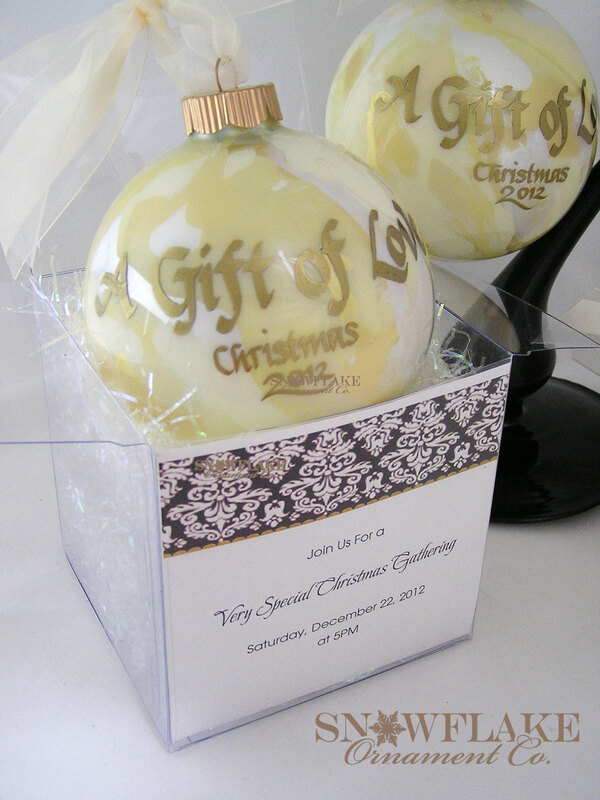 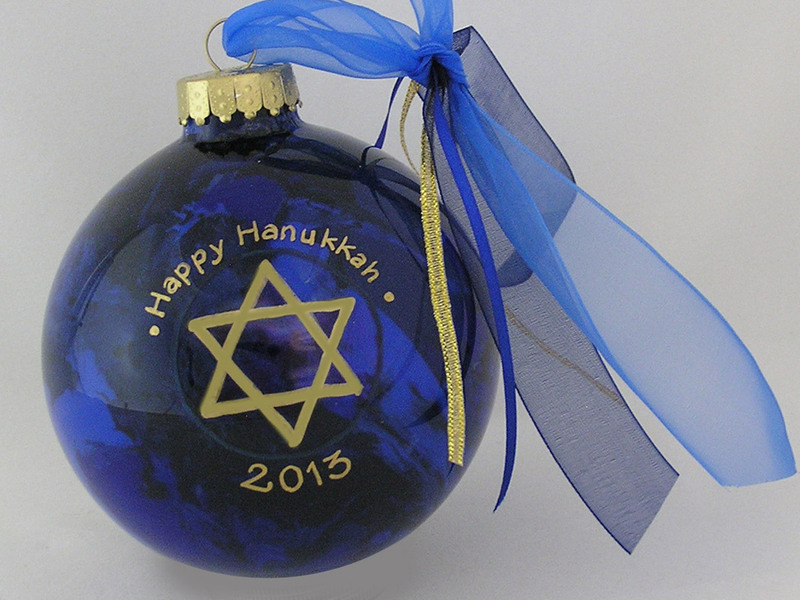 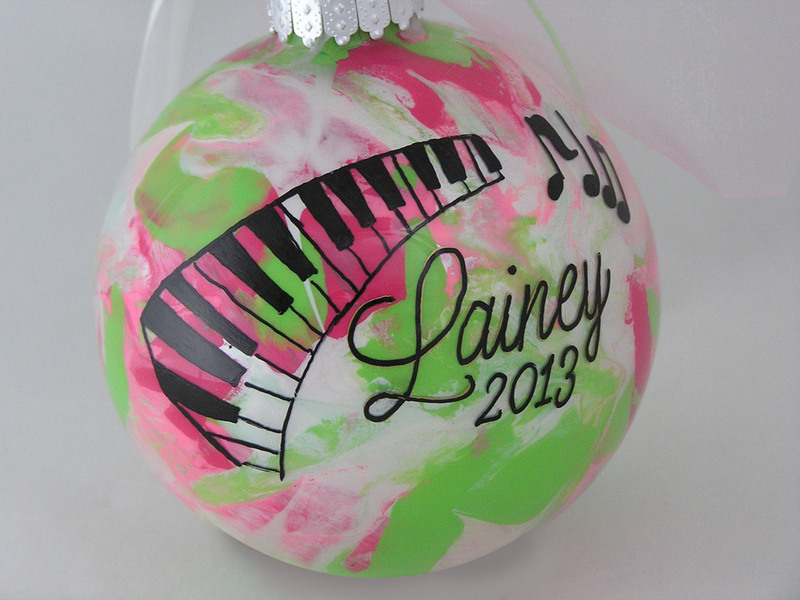 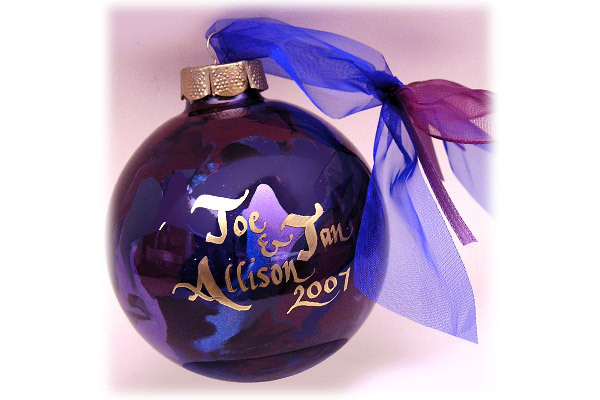 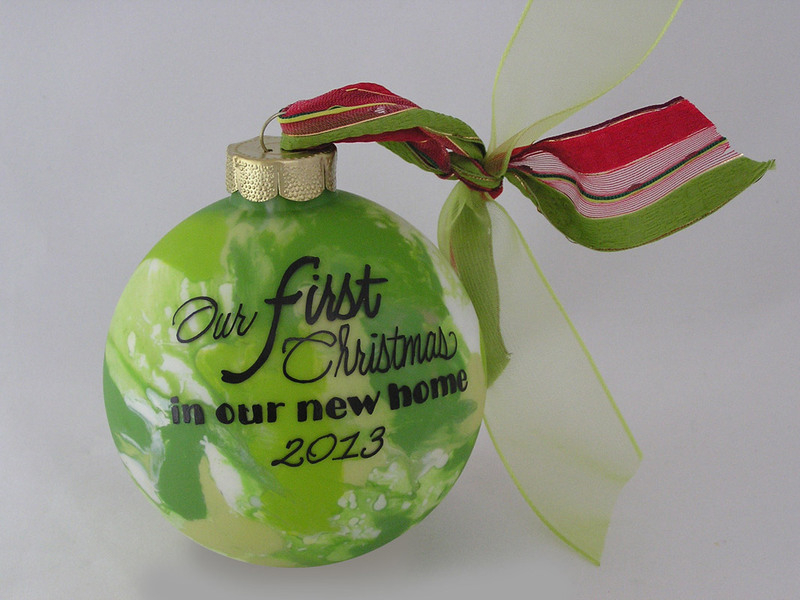 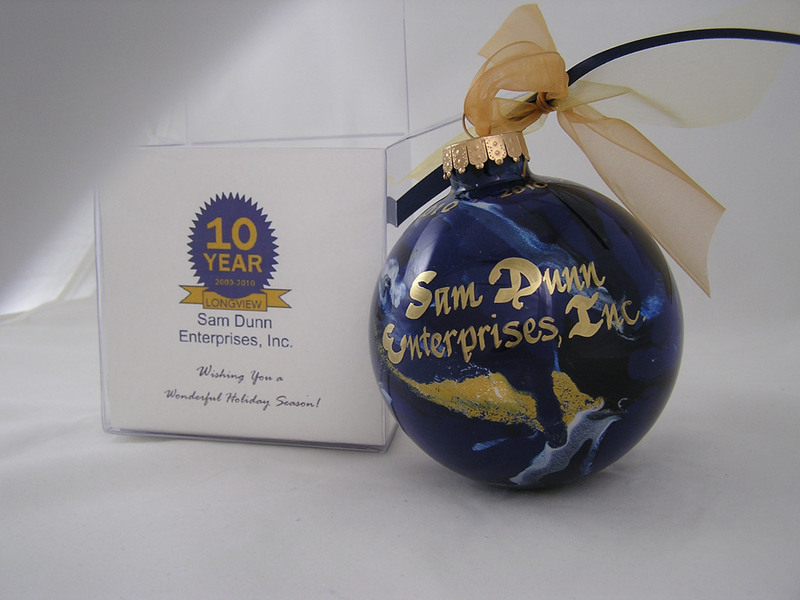 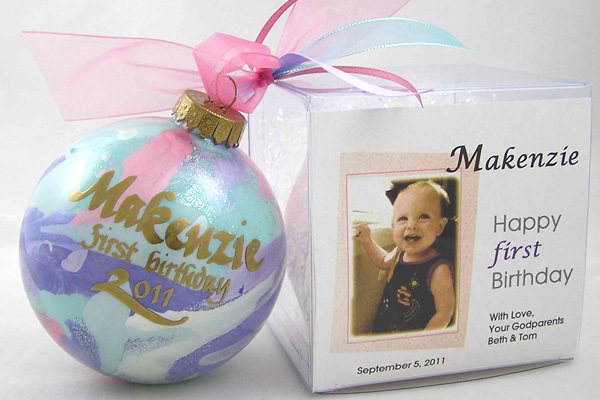 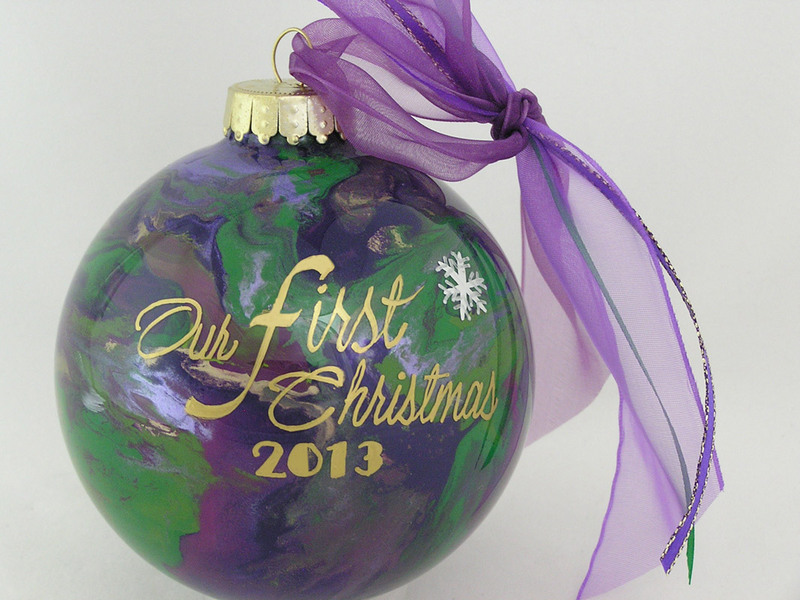 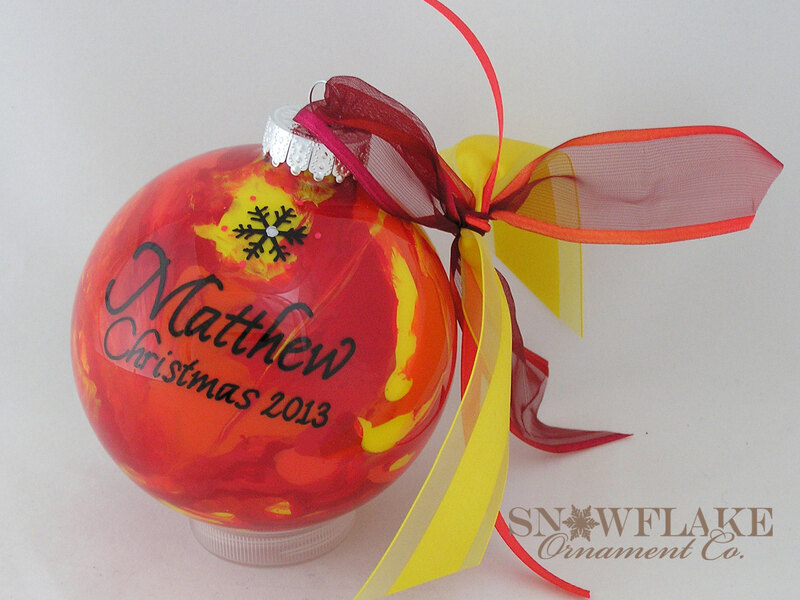 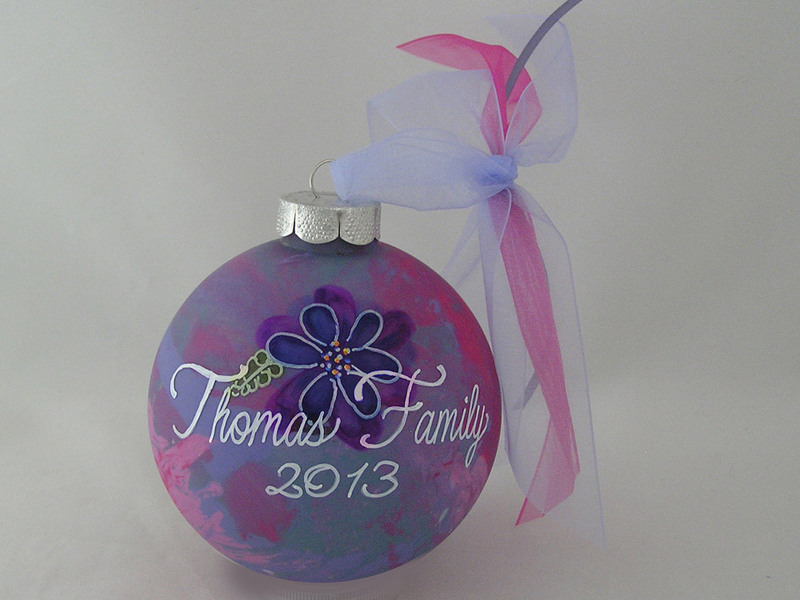 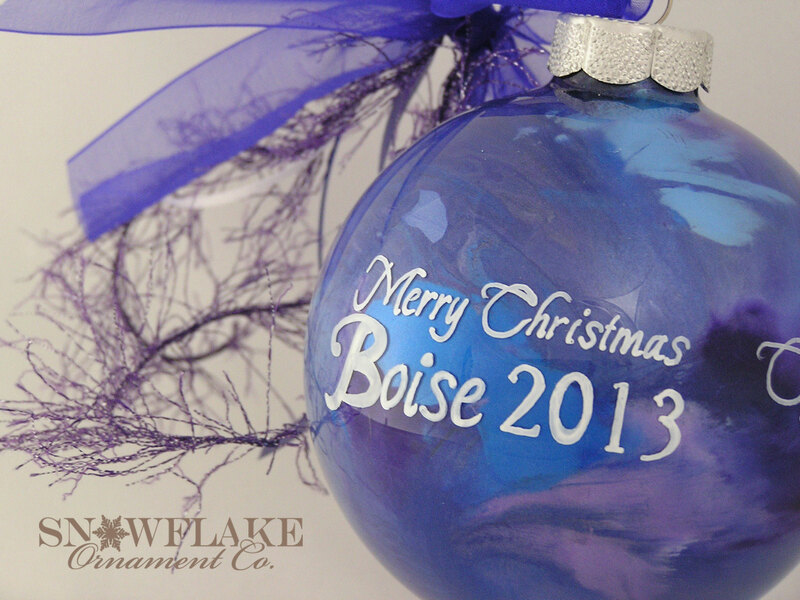 Give a grandchild, a Godchild or any special child an ornament every holiday season! 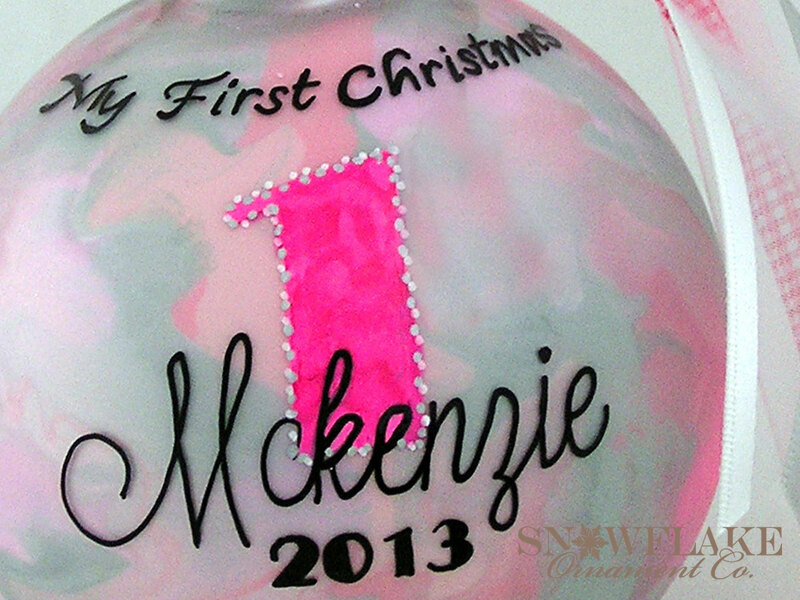 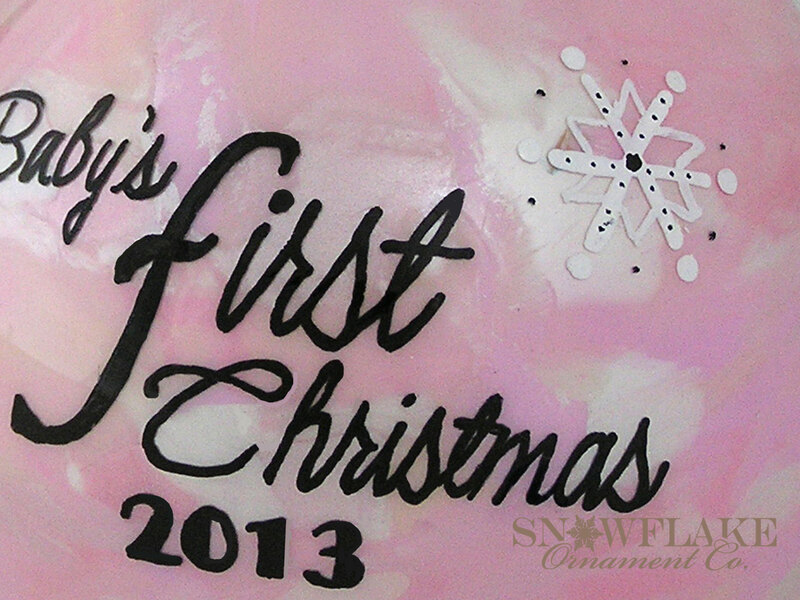 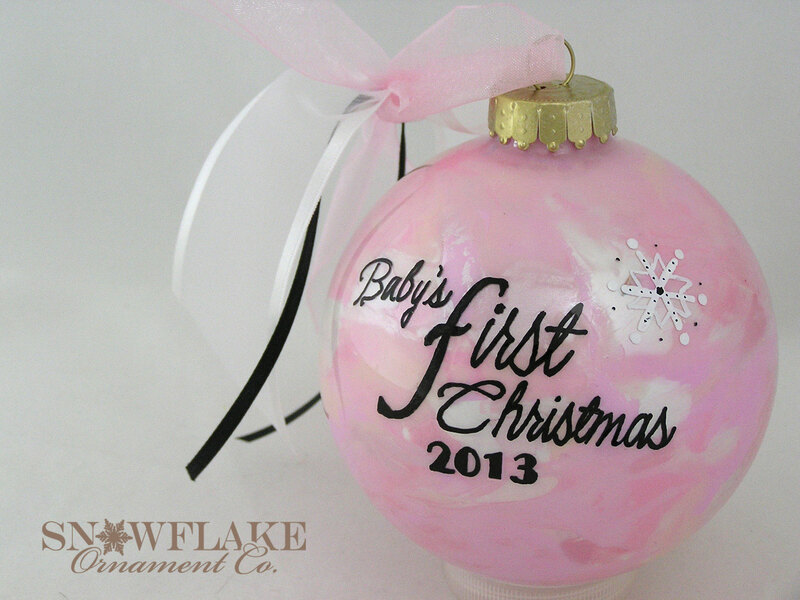 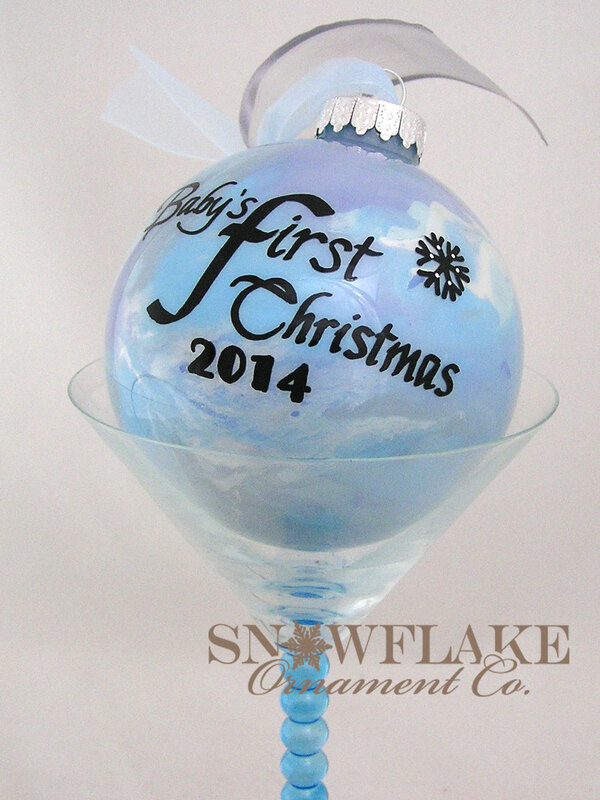 Start with a "Baby's First Christmas" ornament with the year on one side of the ornament and the baby's name on the other. 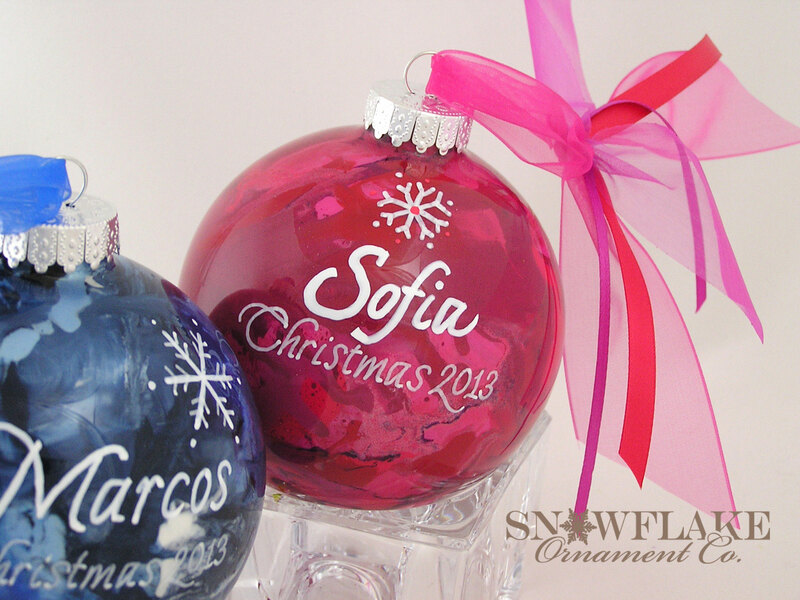 Choose pinks, blues, or pastels of your choice. 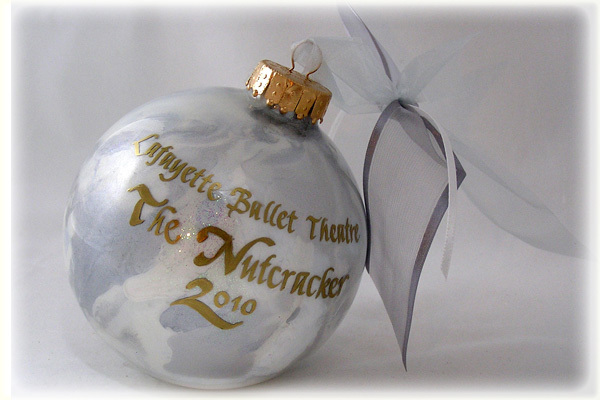 A thoughtful holiday tradition! 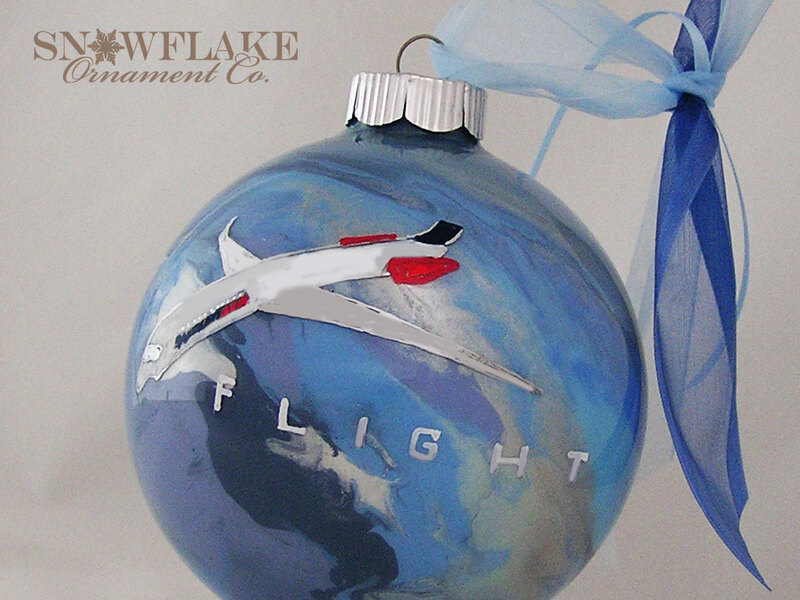 Distinguish yourself during the holidays with a gift they'll remember year round. 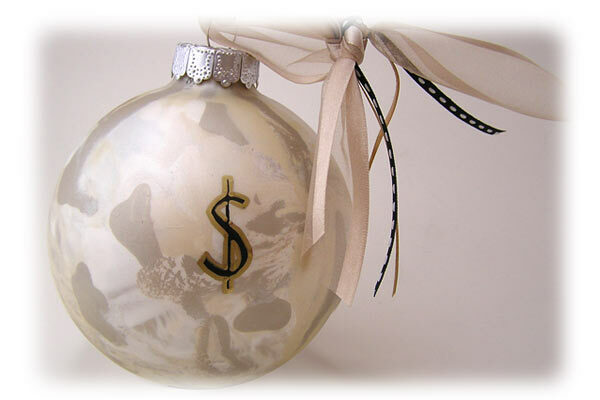 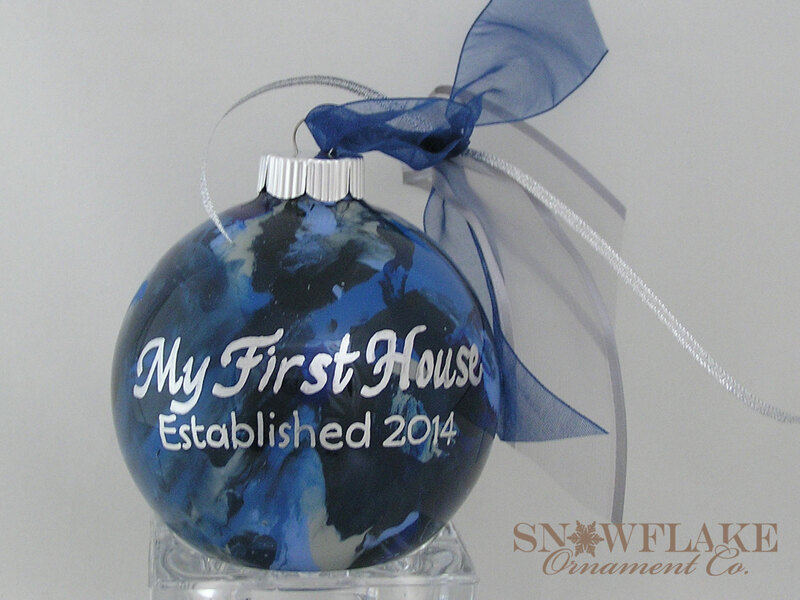 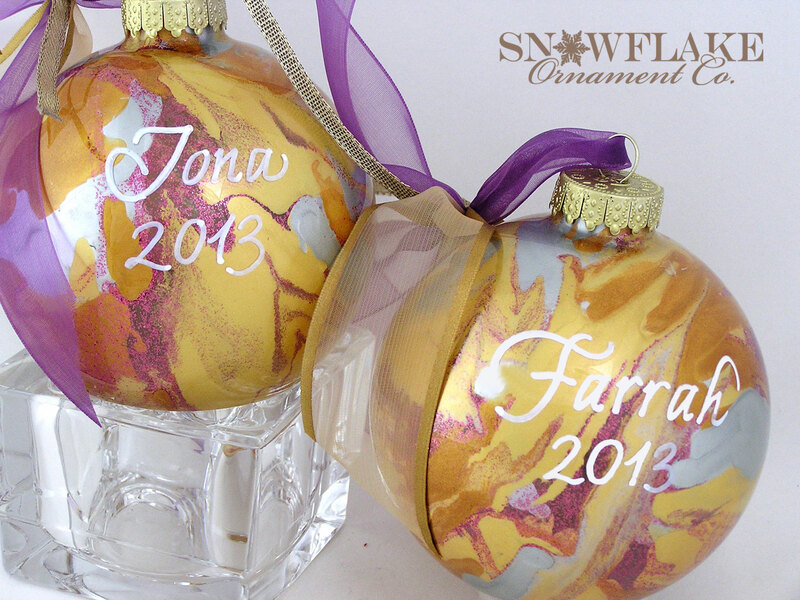 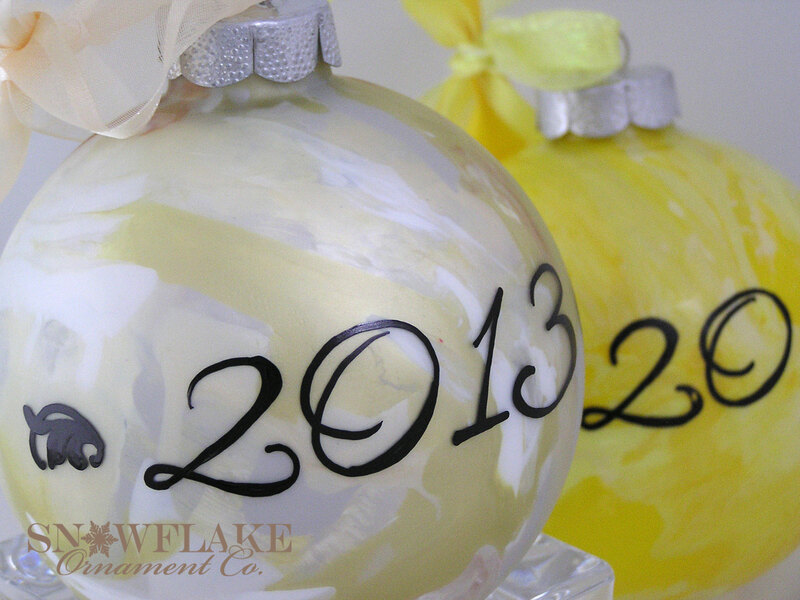 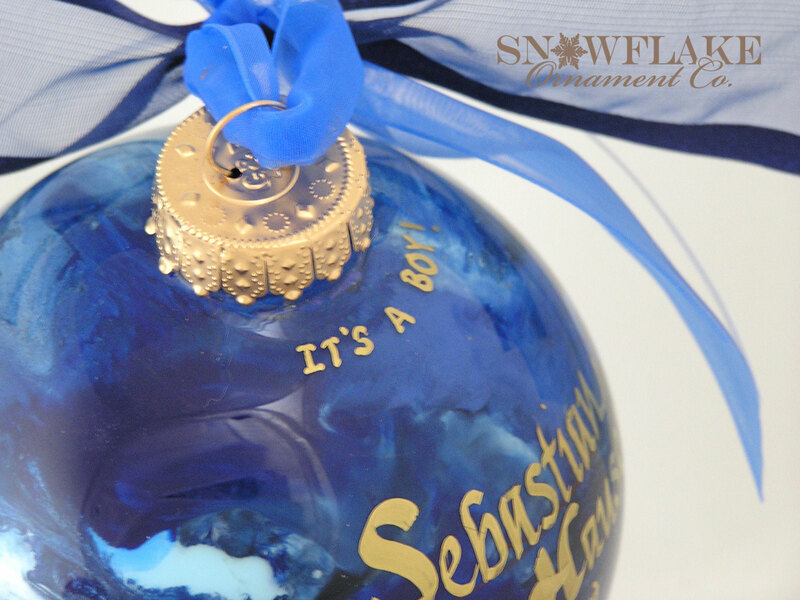 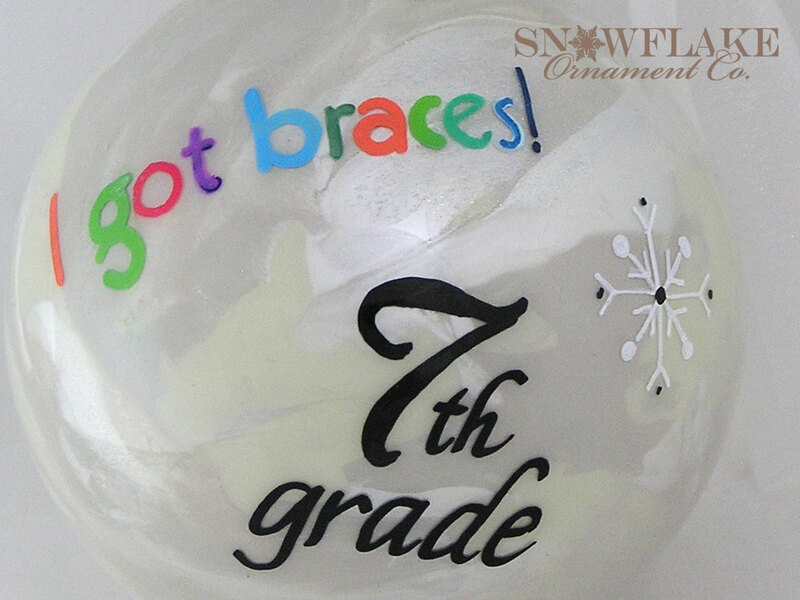 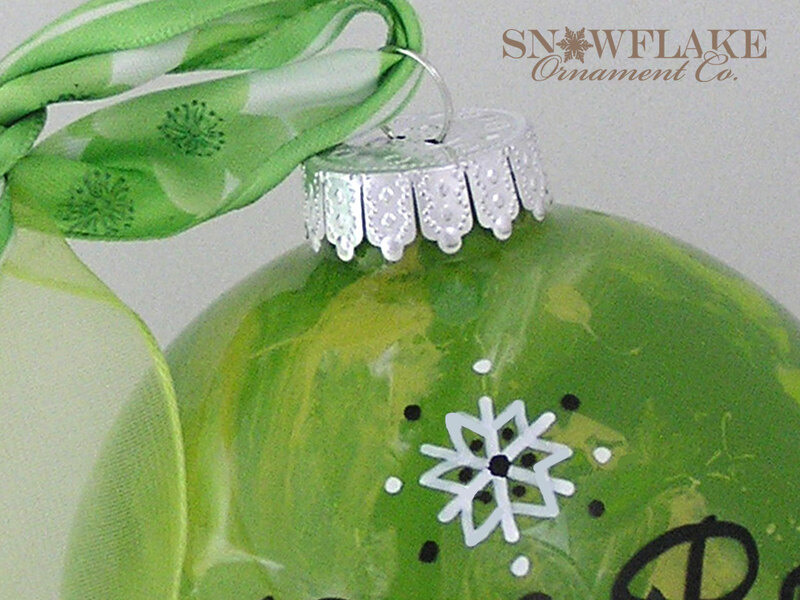 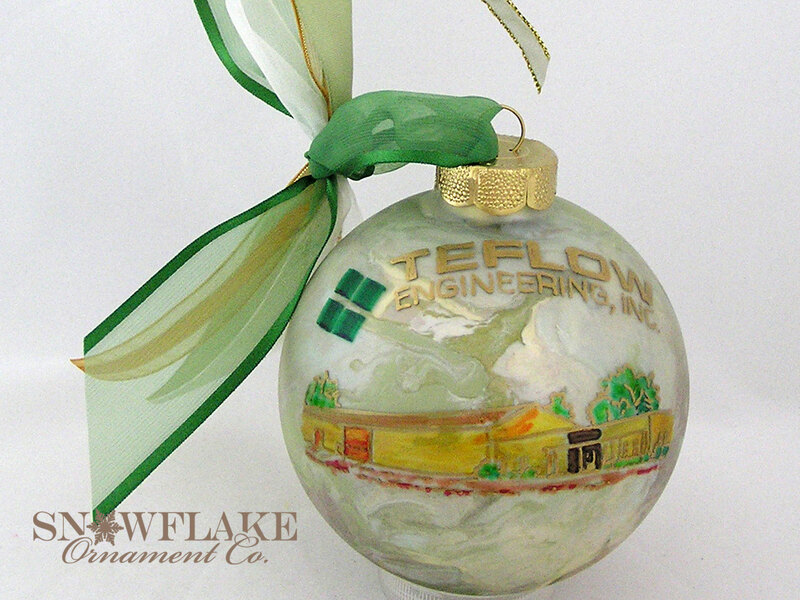 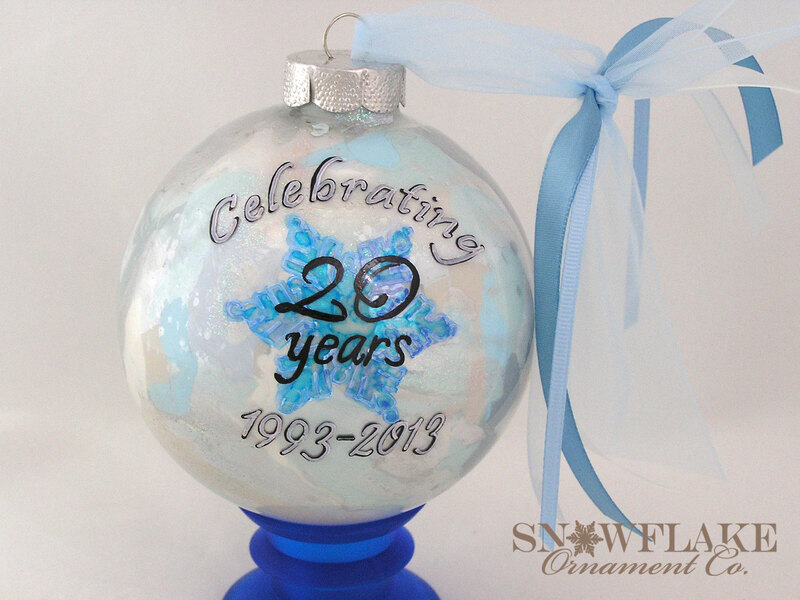 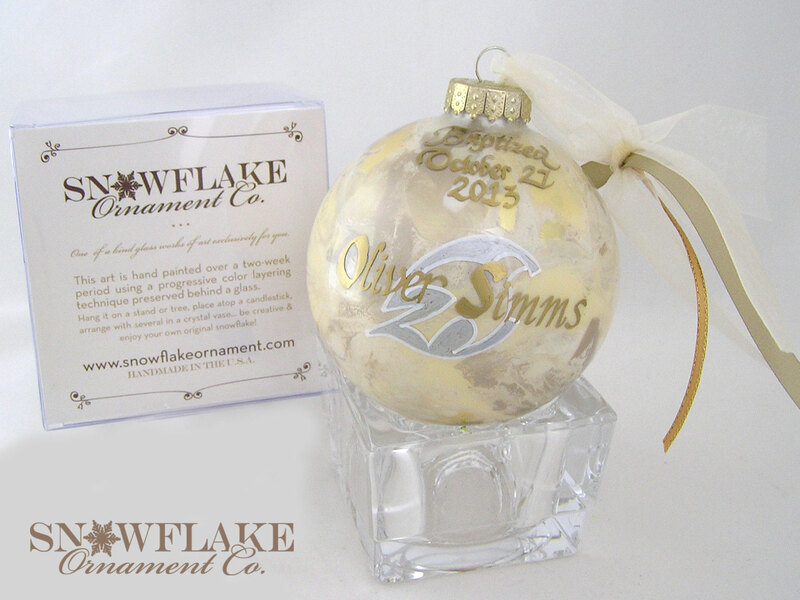 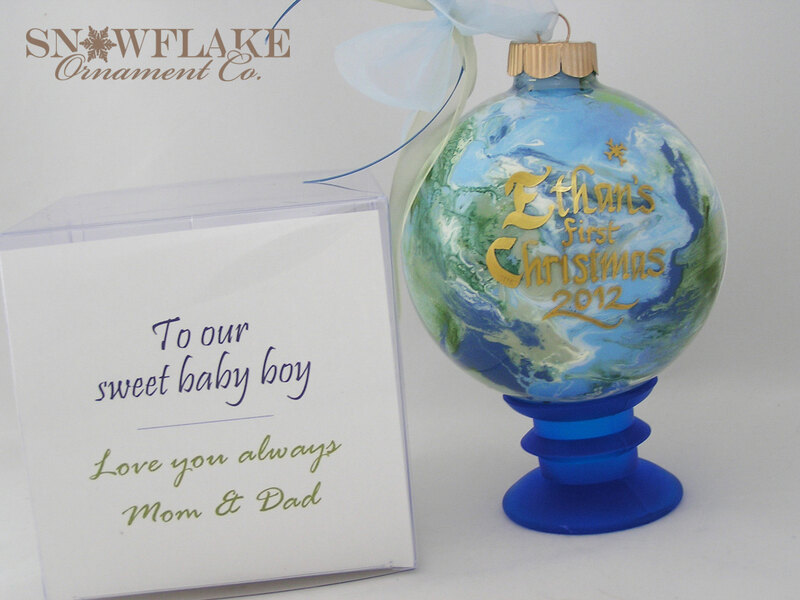 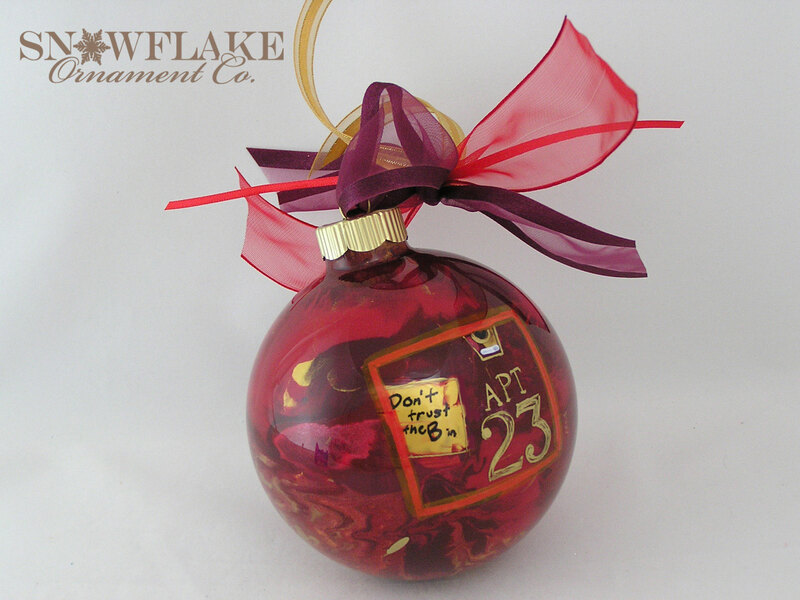 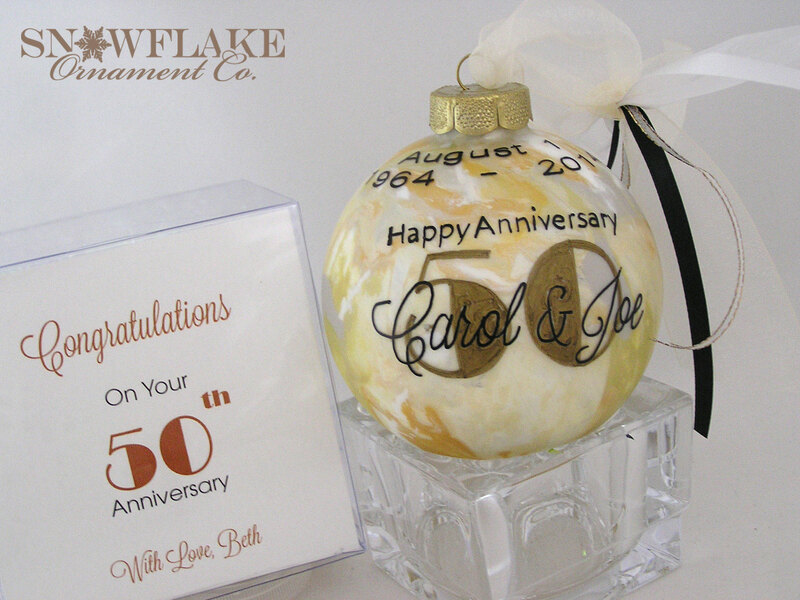 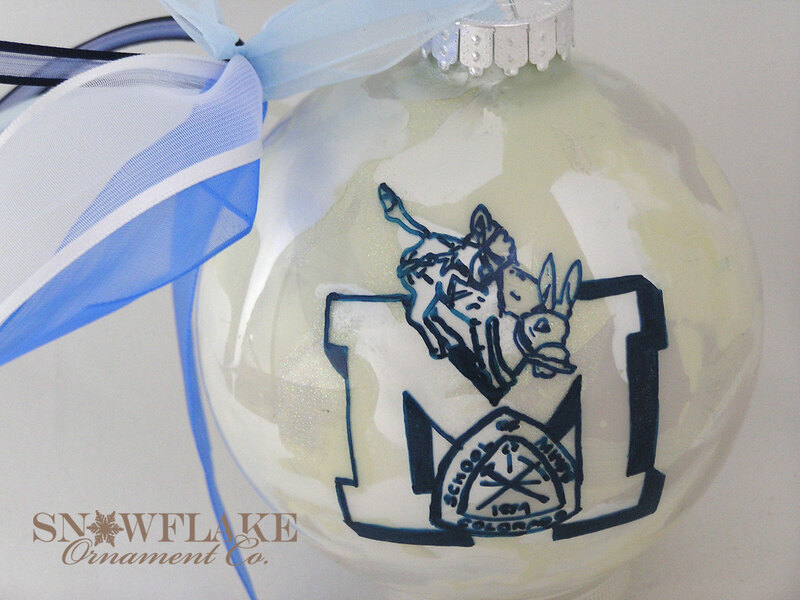 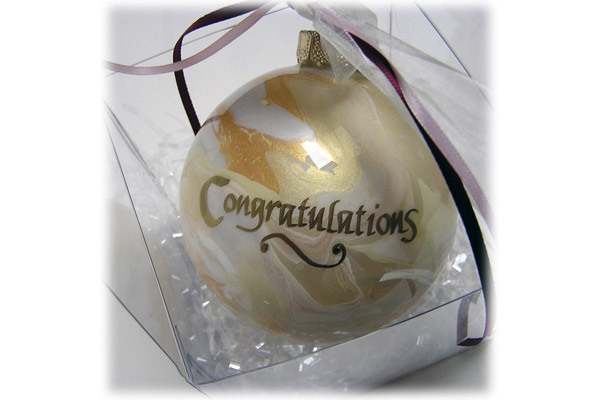 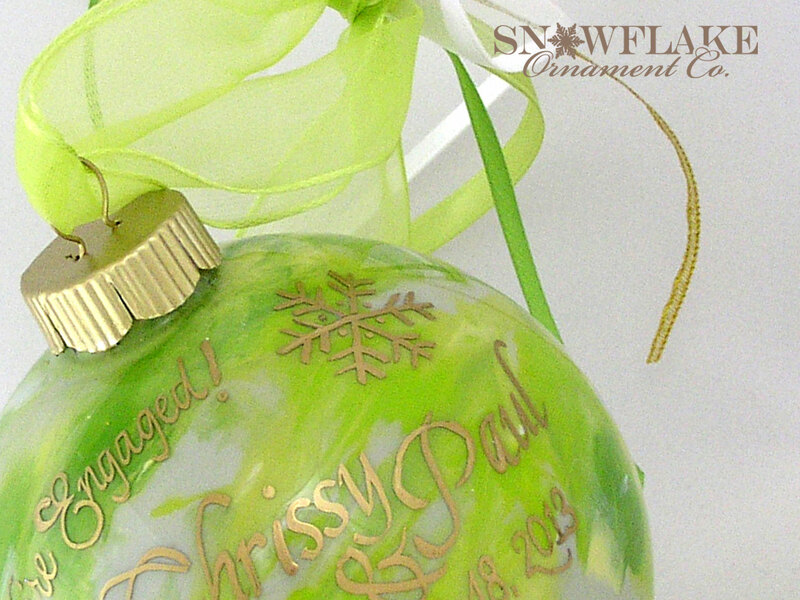 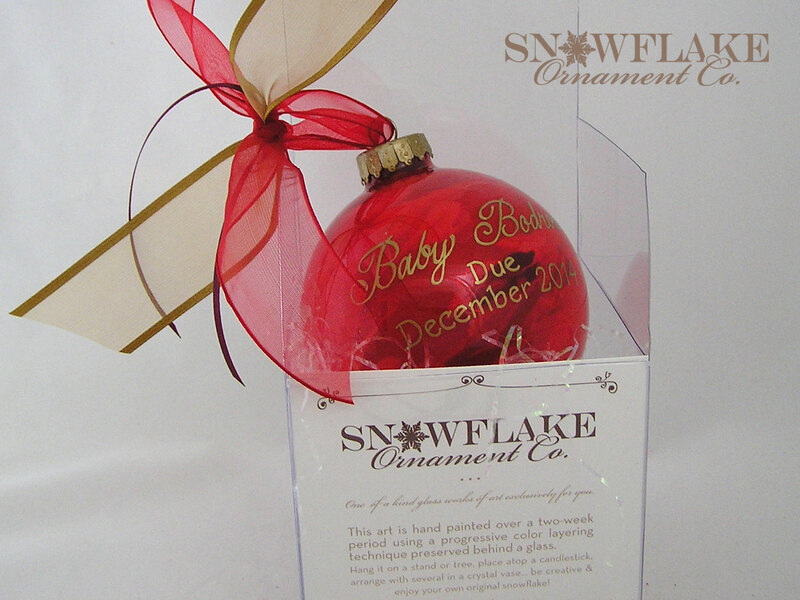 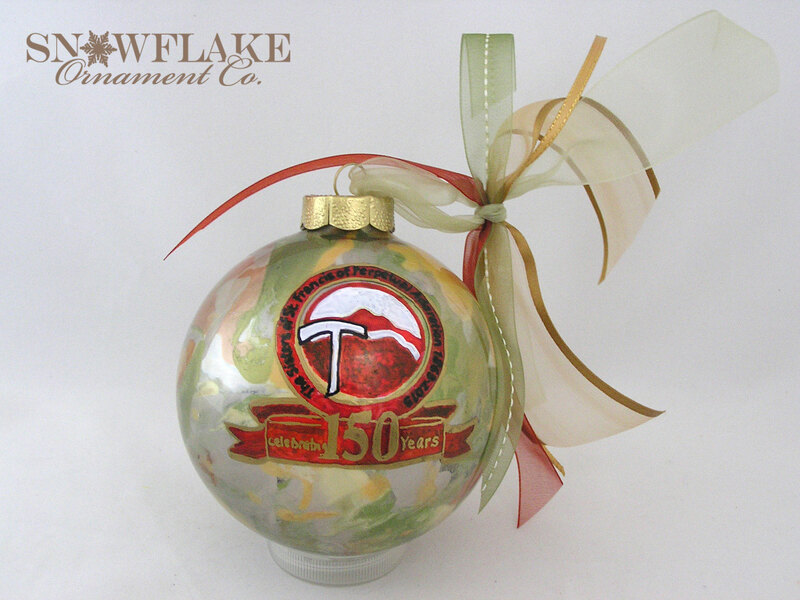 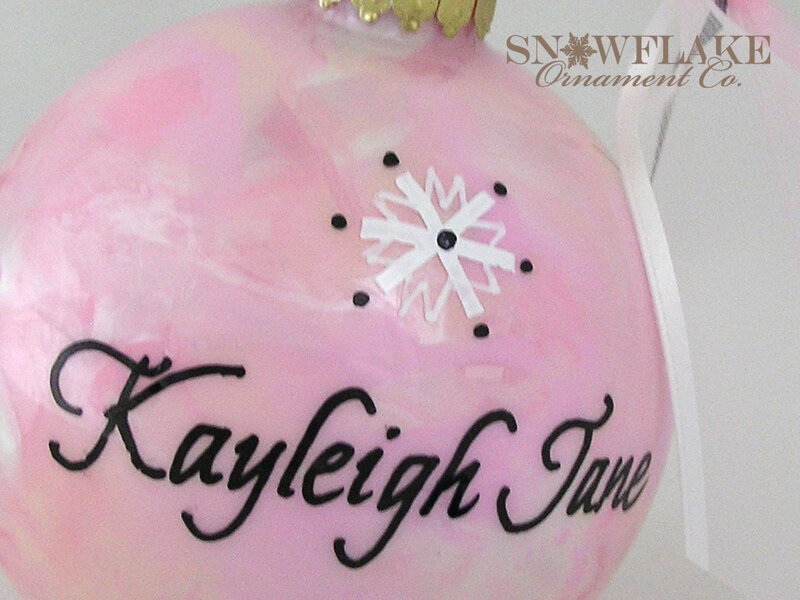 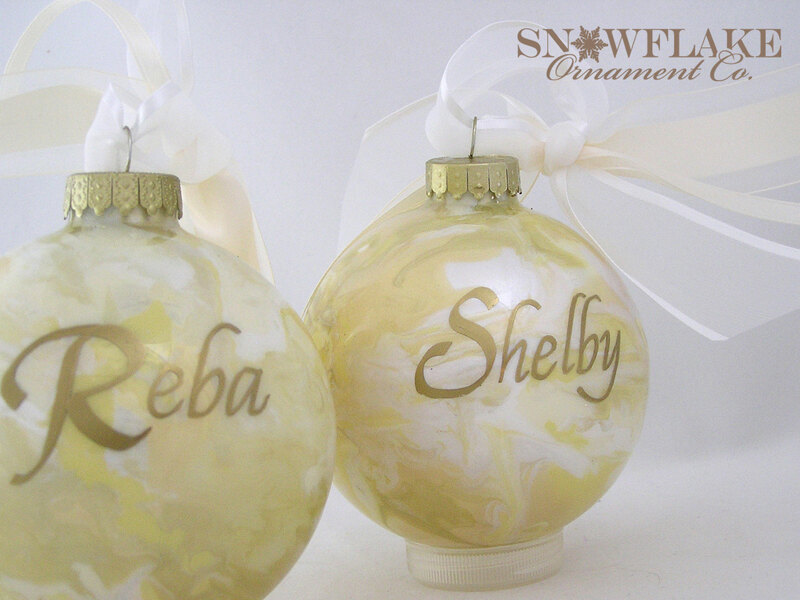 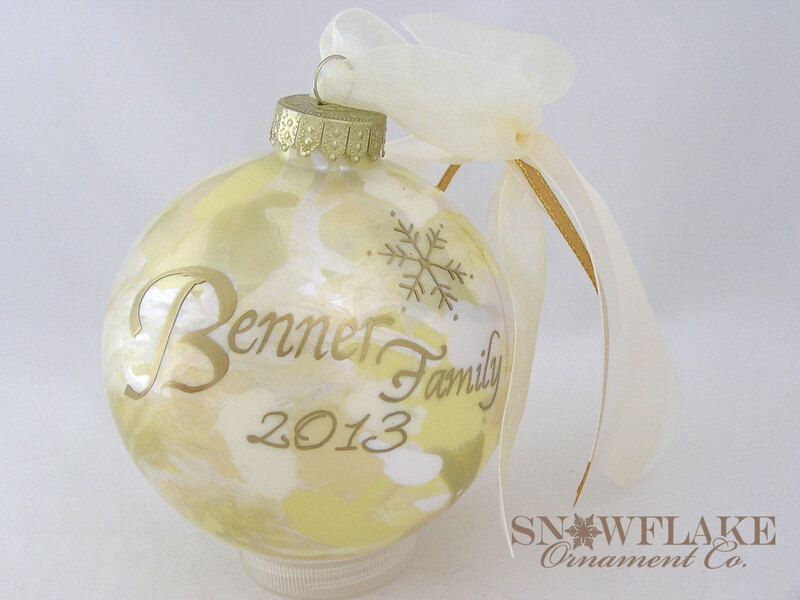 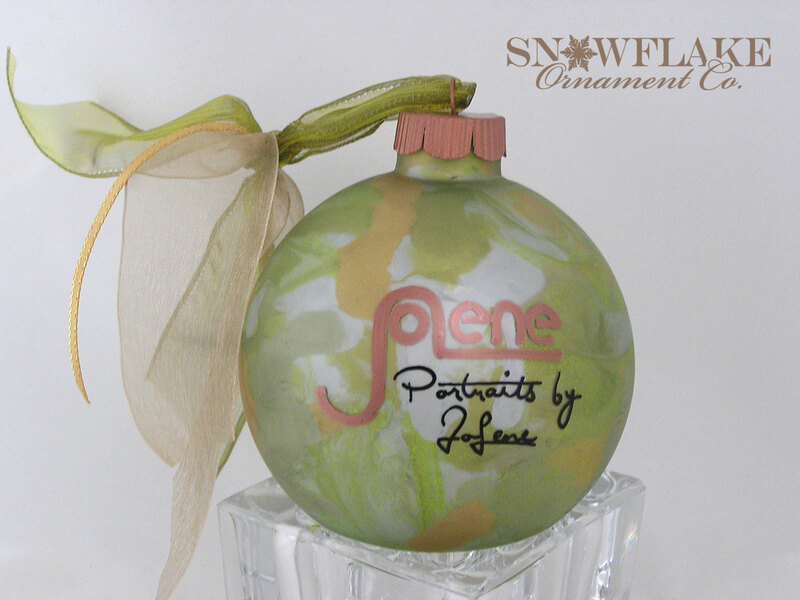 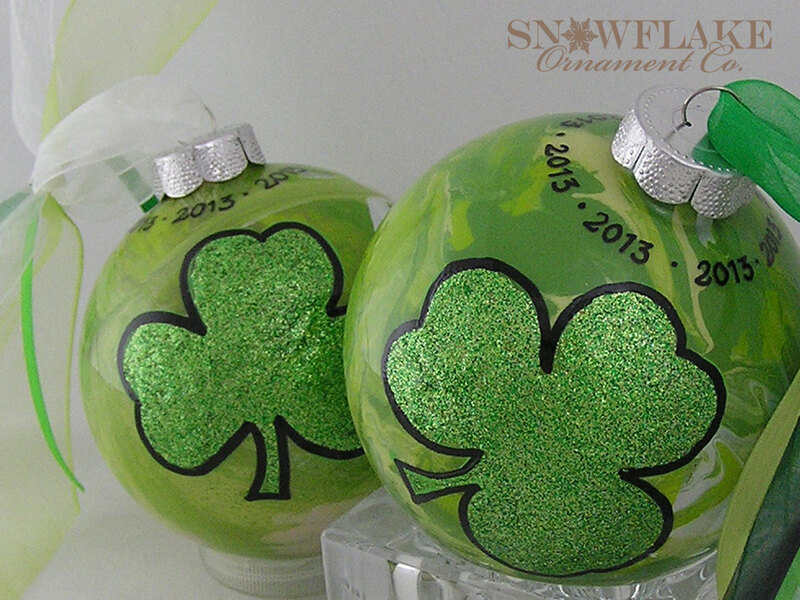 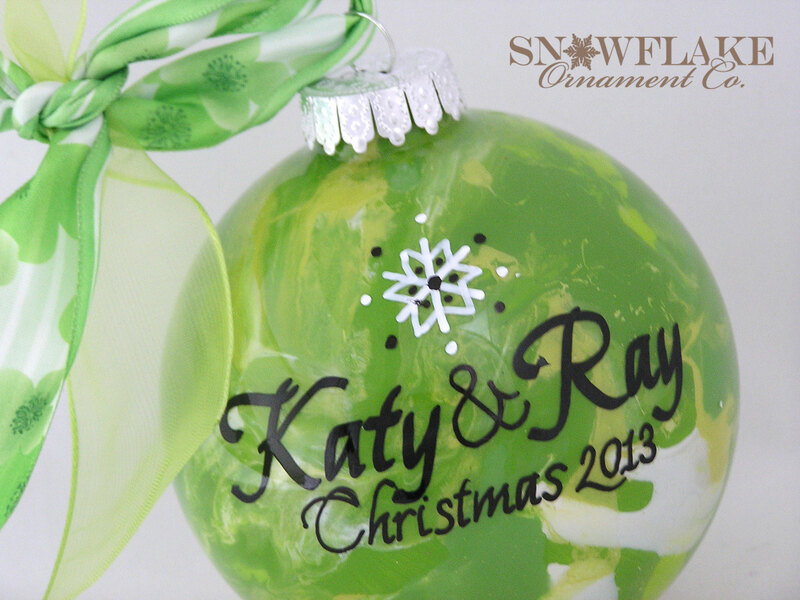 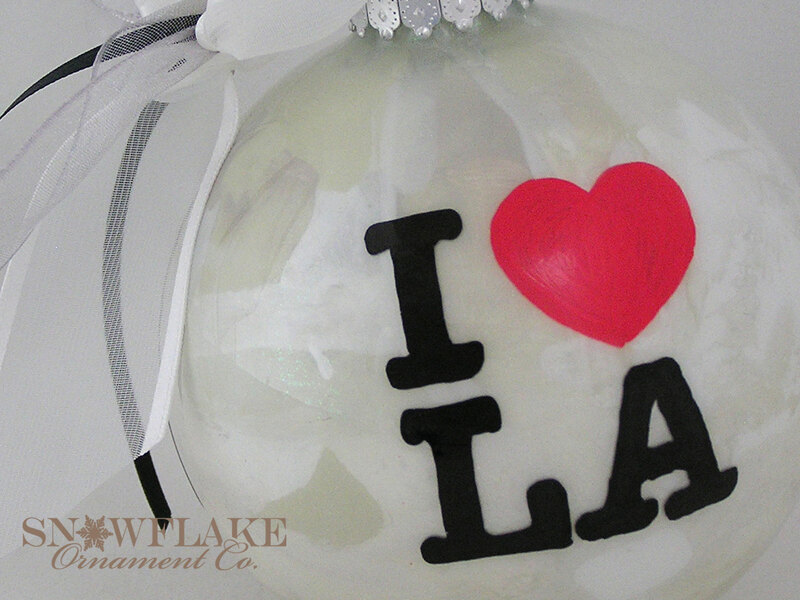 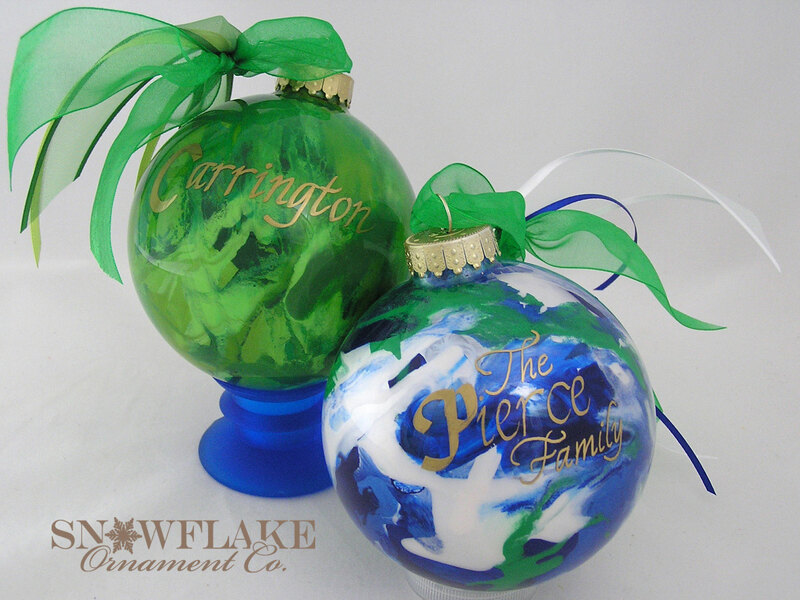 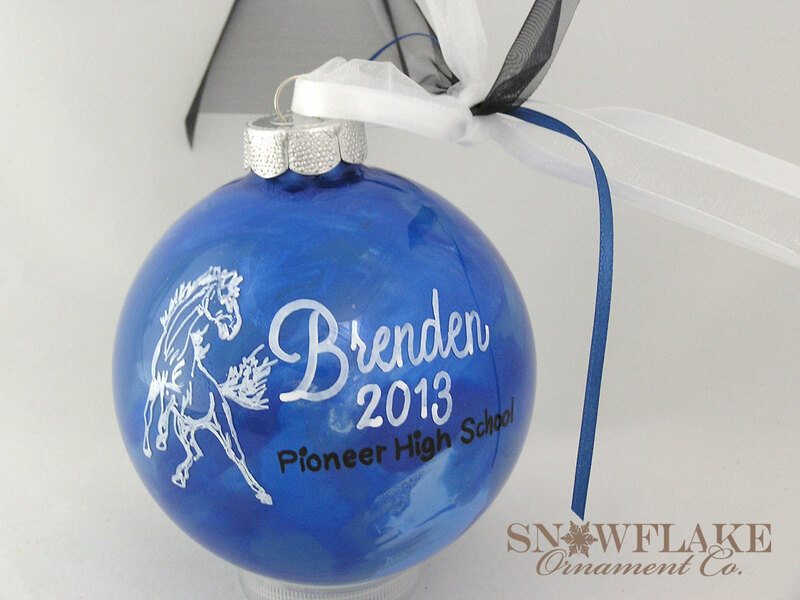 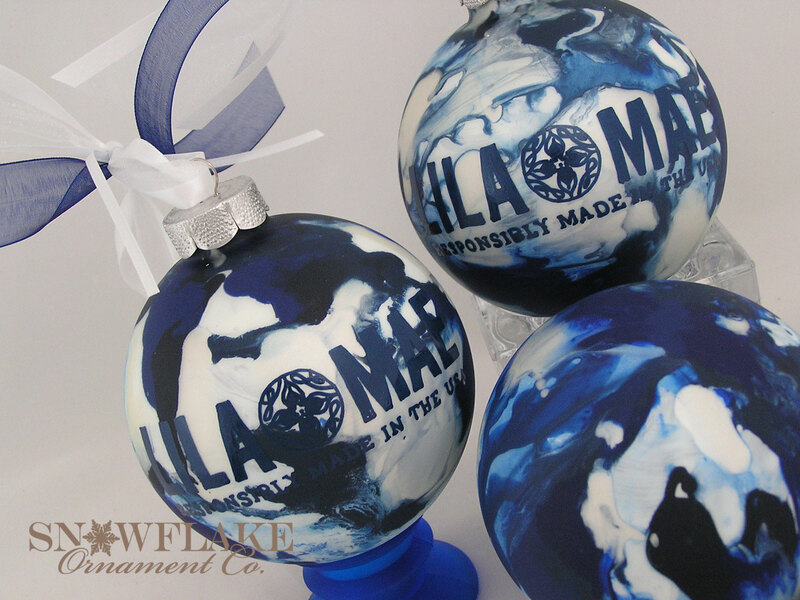 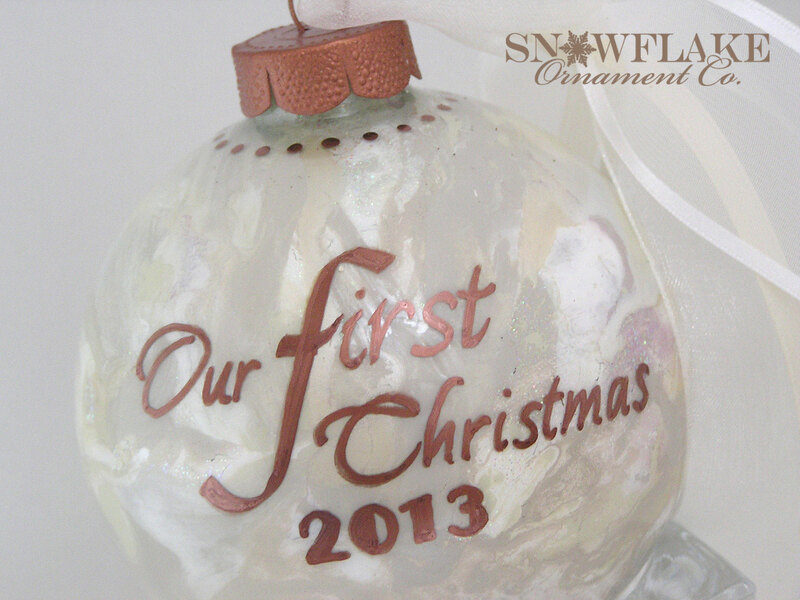 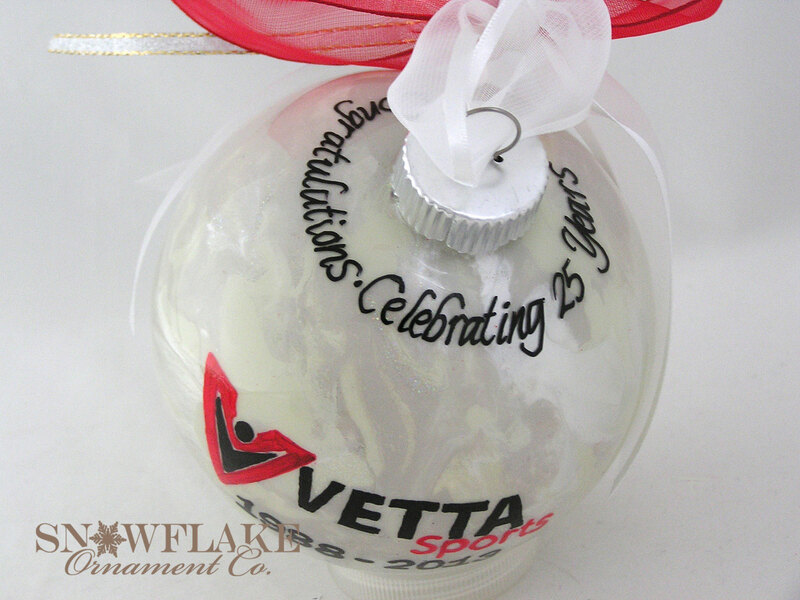 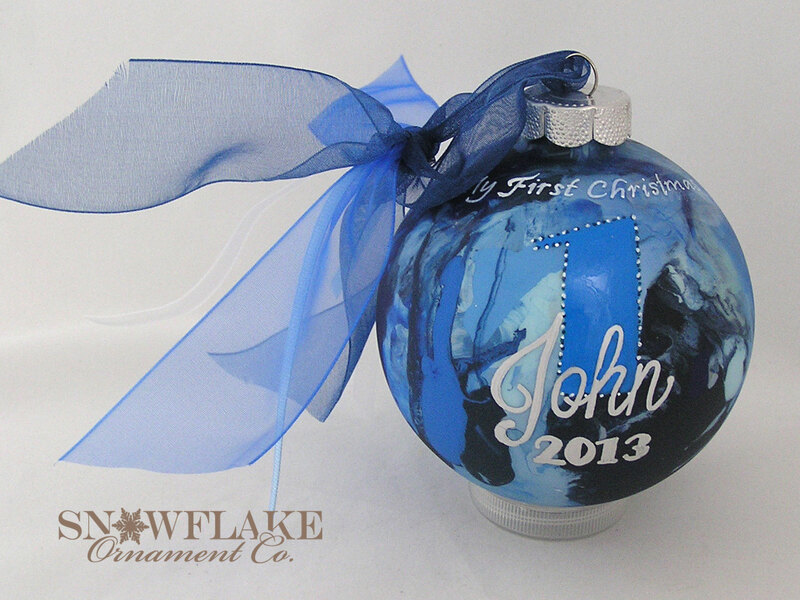 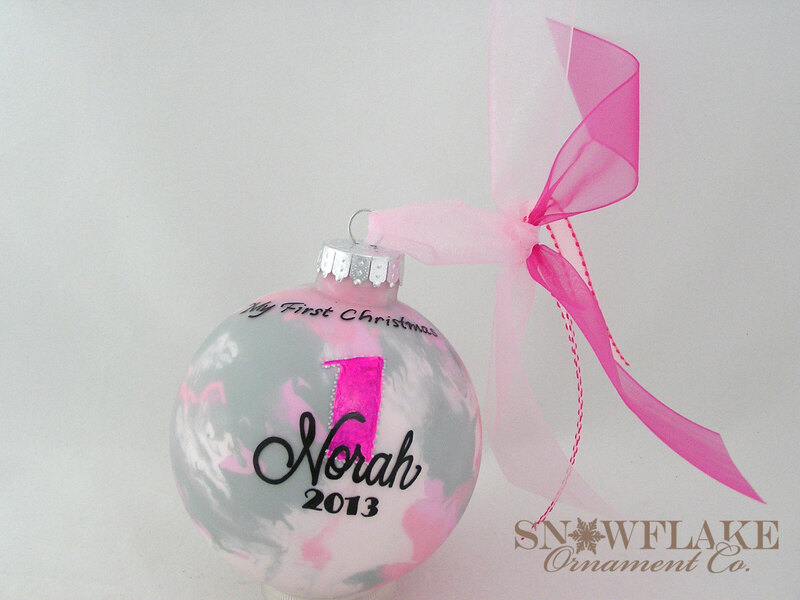 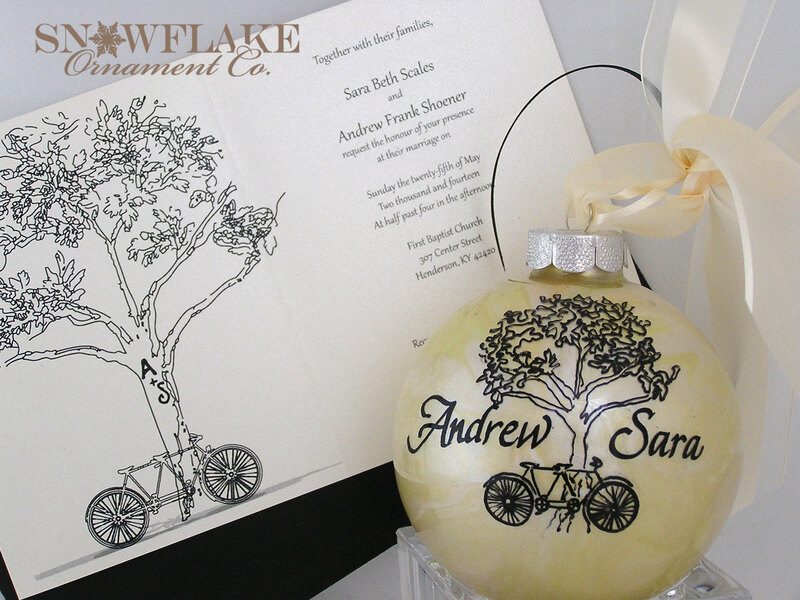 Special clients and your own staff will remember you every holiday with a custom Snowflake Ornament. 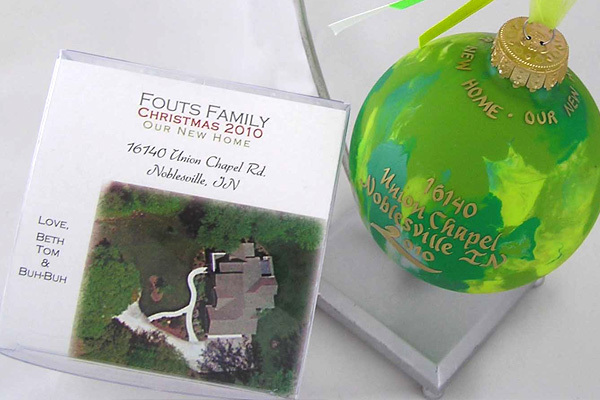 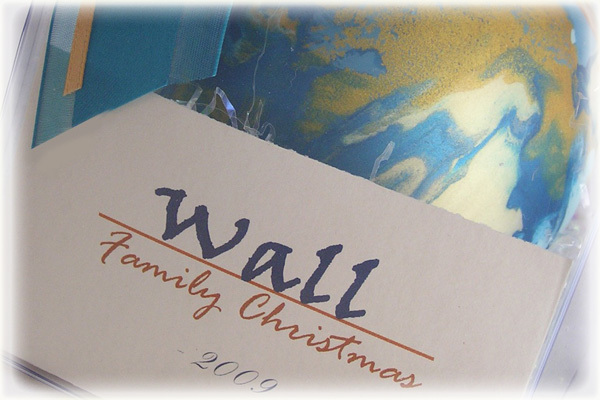 We'll create and insert a custom message card into each box with your own signature, holiday message and/or company logo. 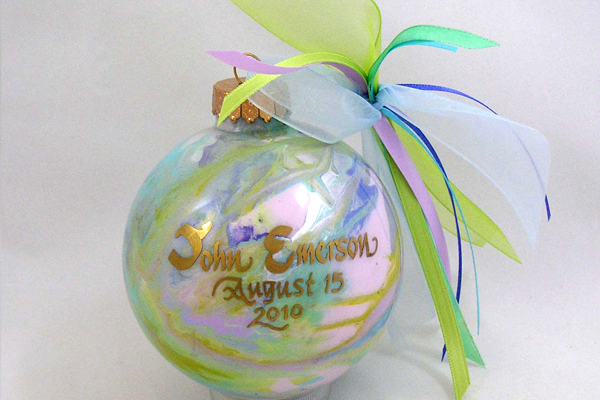 This is popular with sales representatives and businesses looking for a unique staff gift that is classy yet reasonably priced. 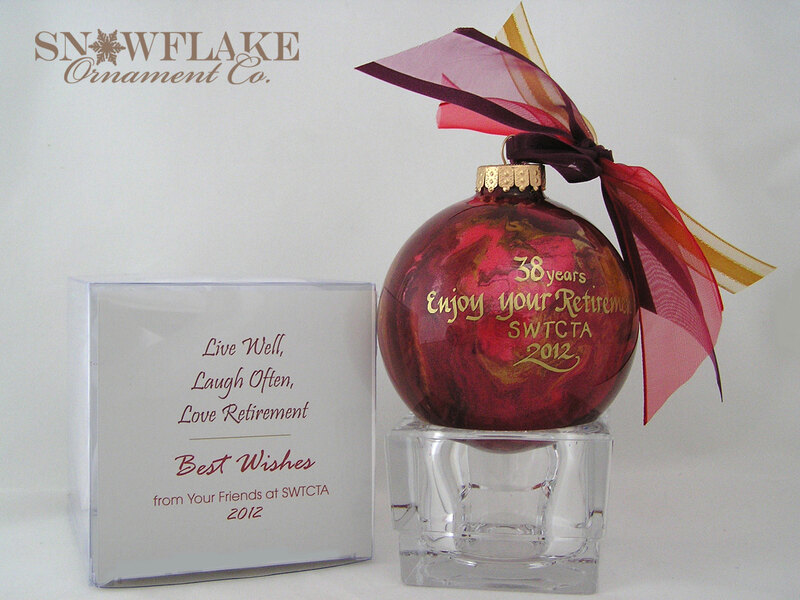 View our business gifts page for details.